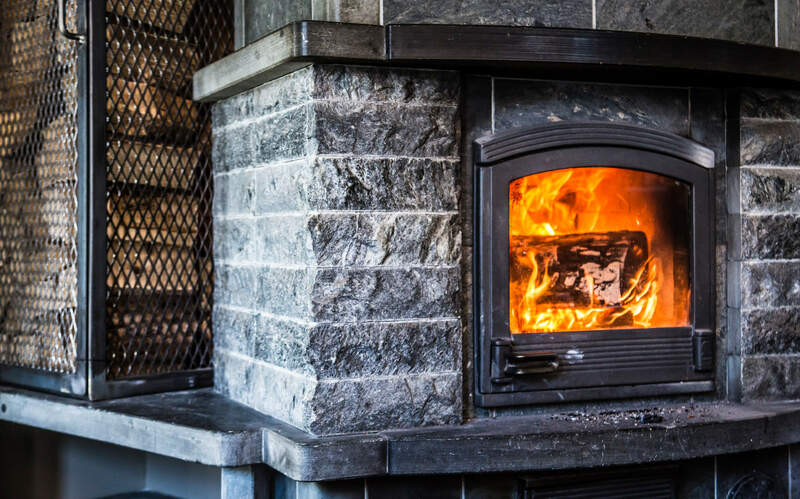 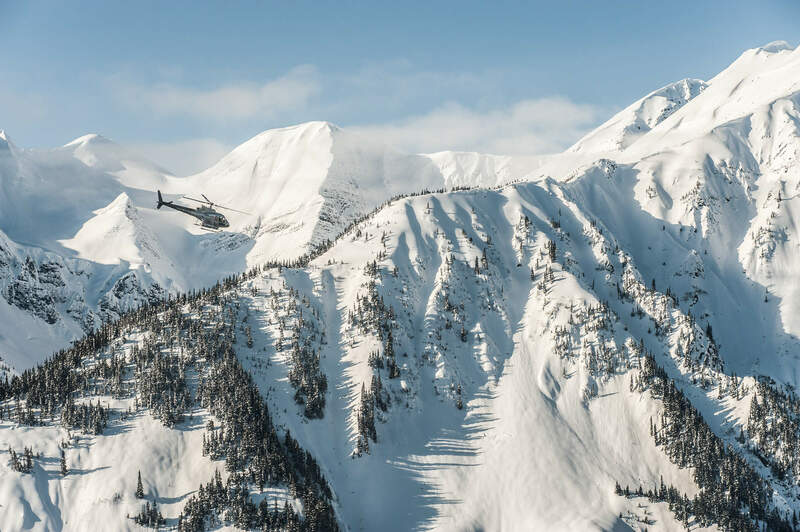 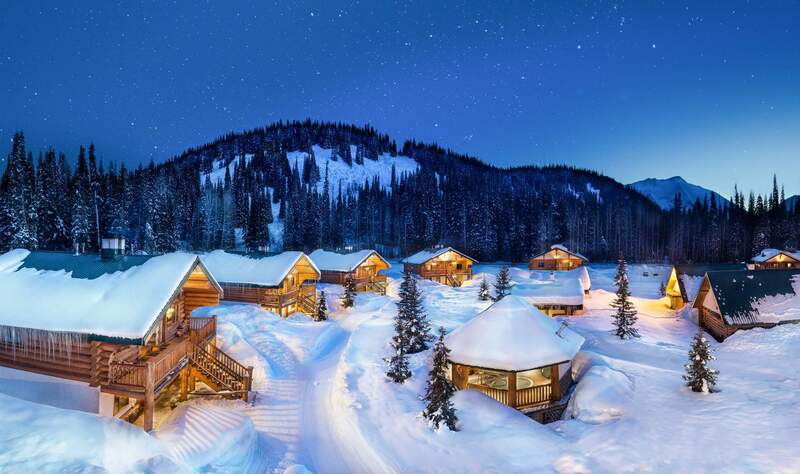 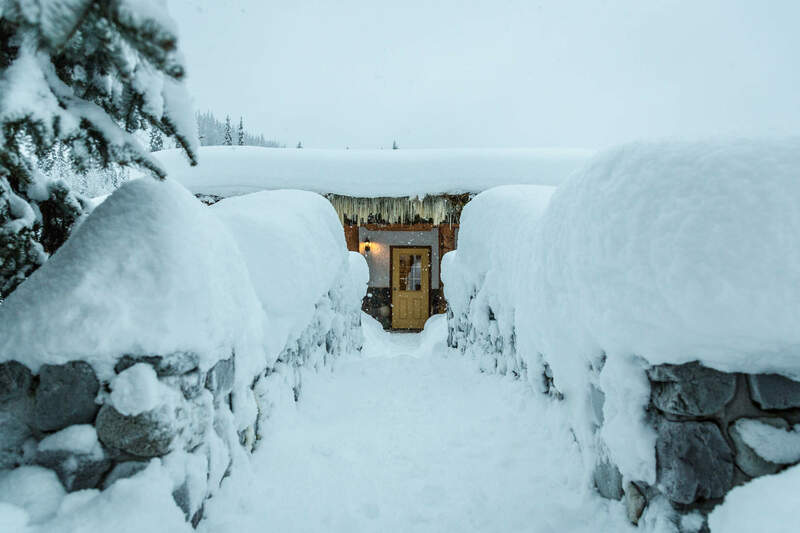 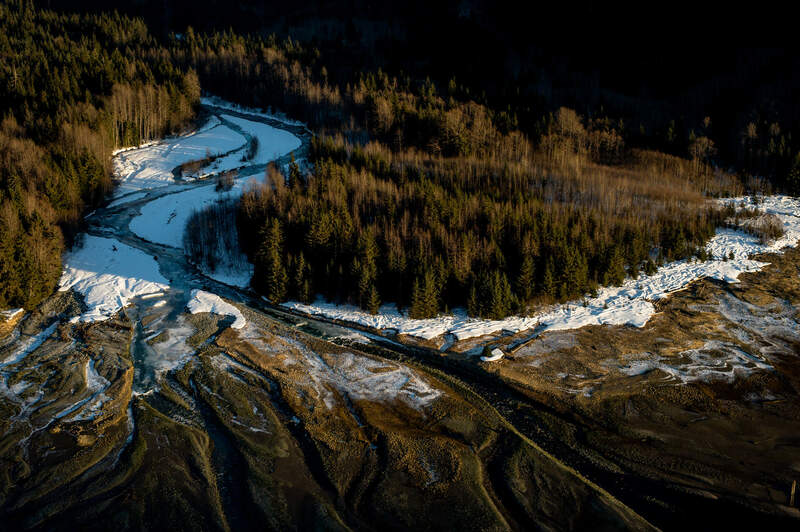 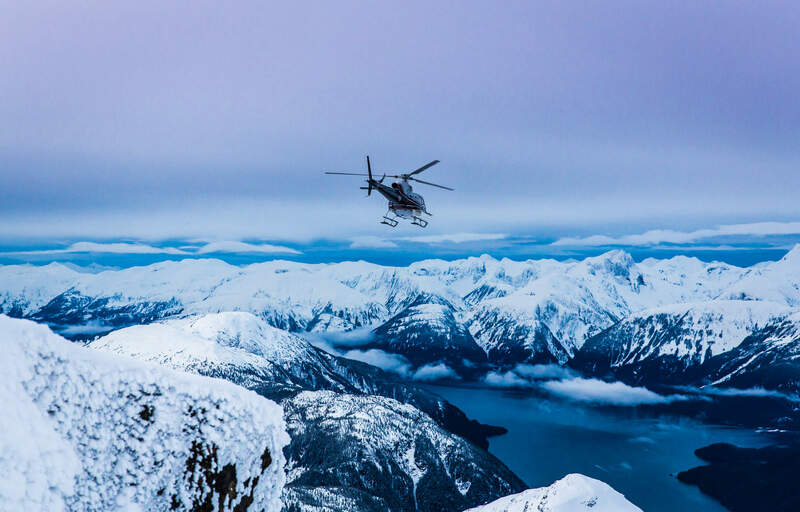 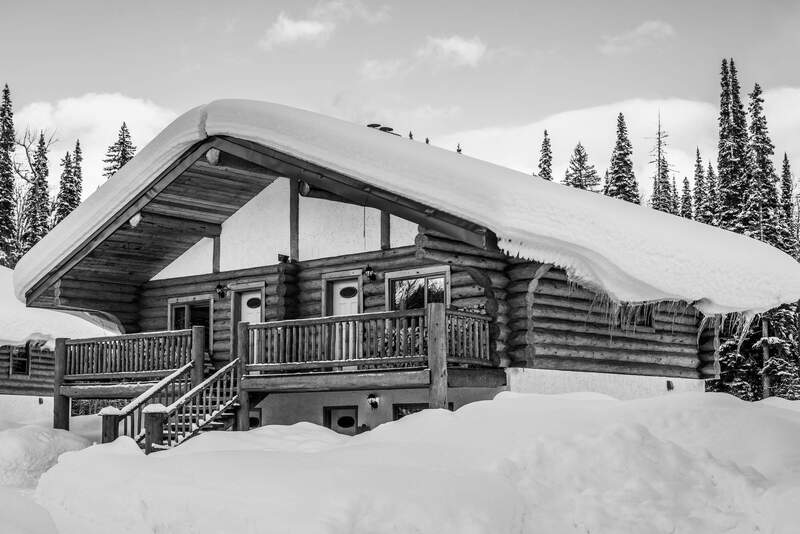 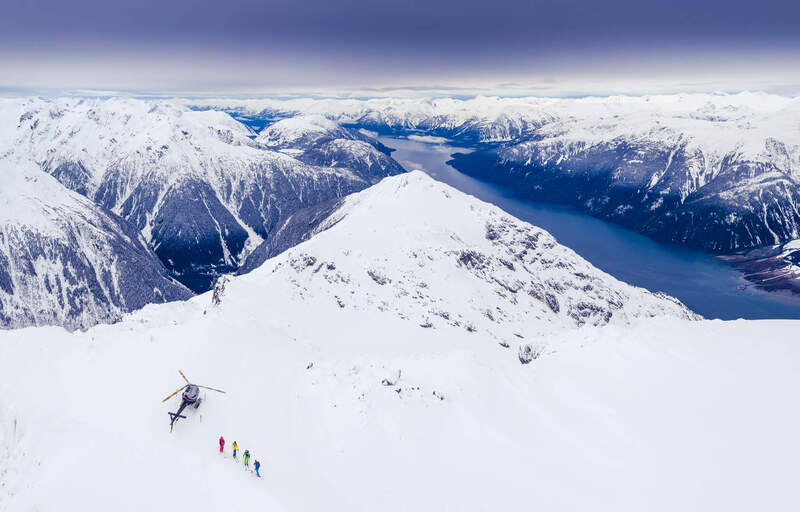 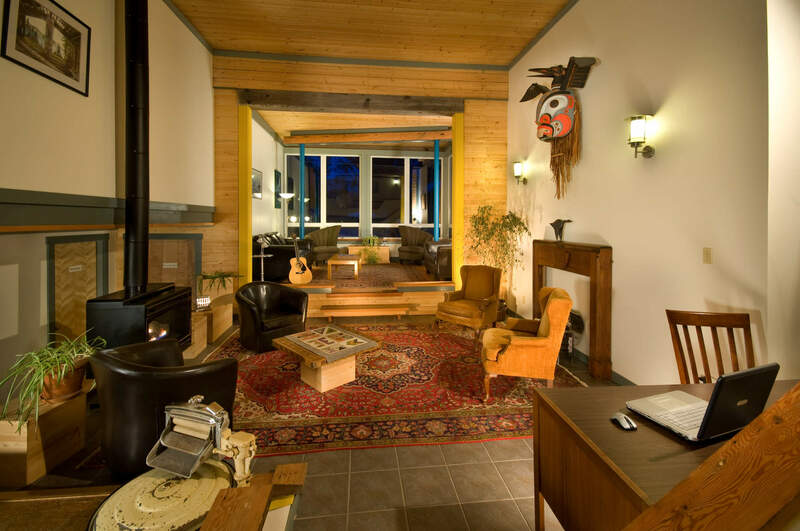 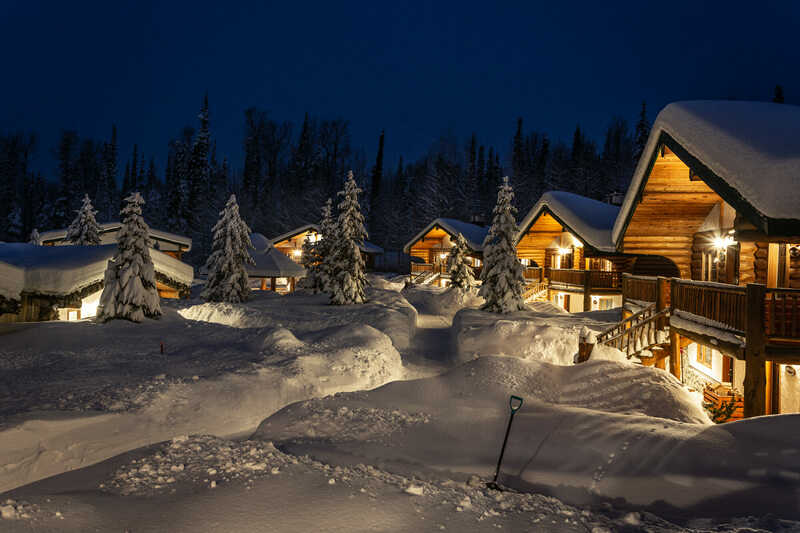 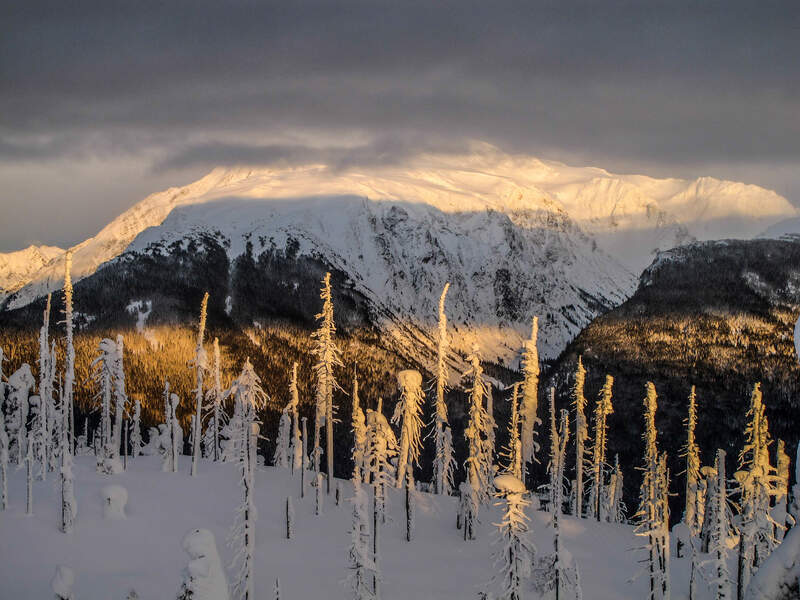 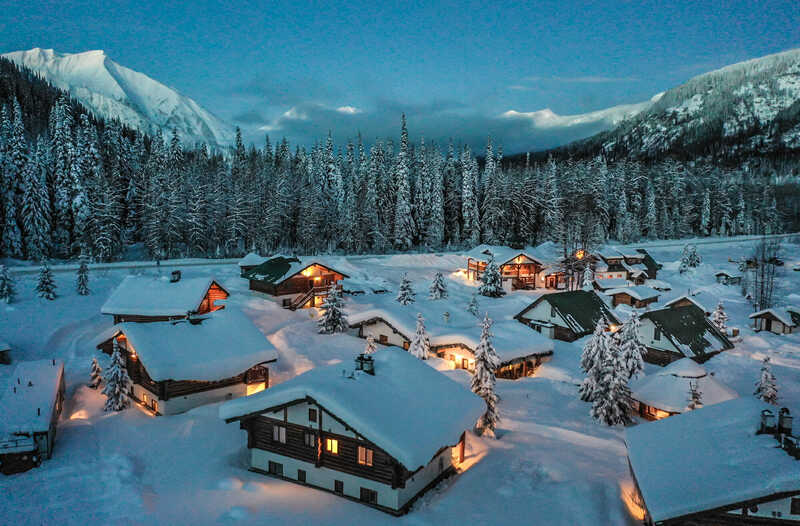 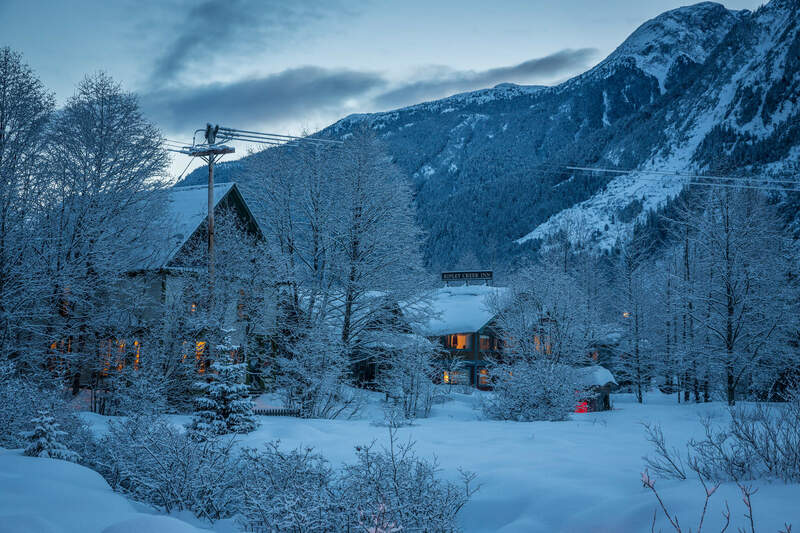 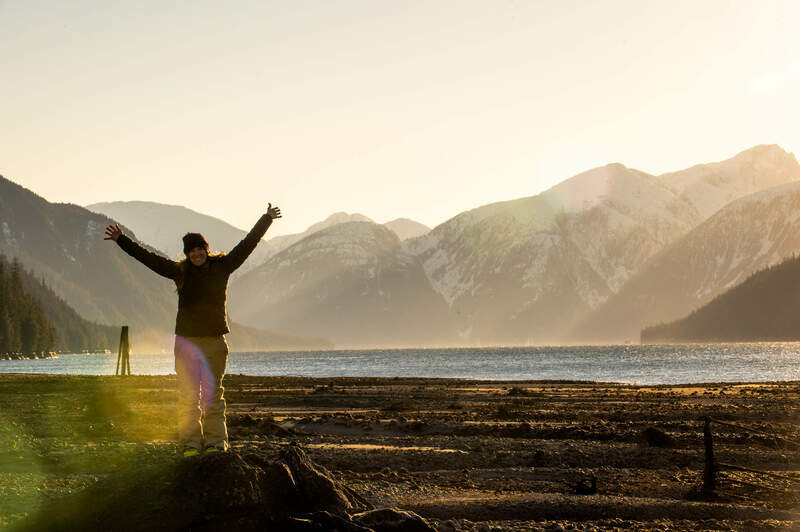 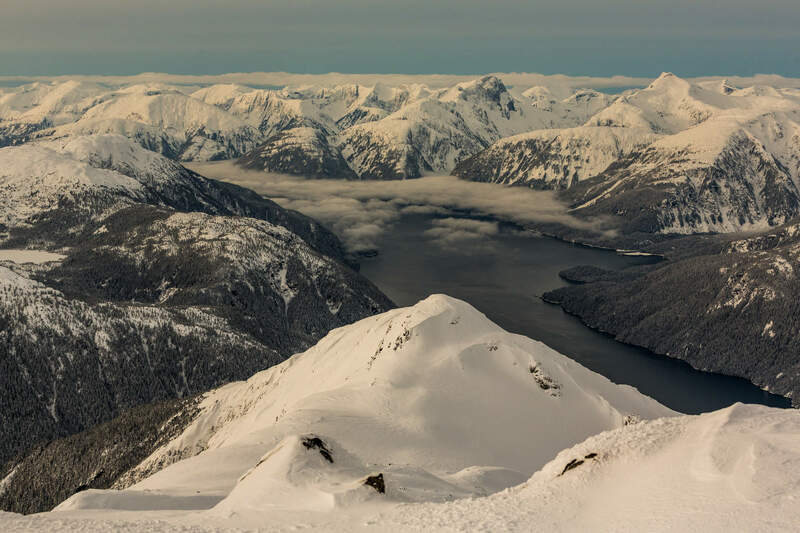 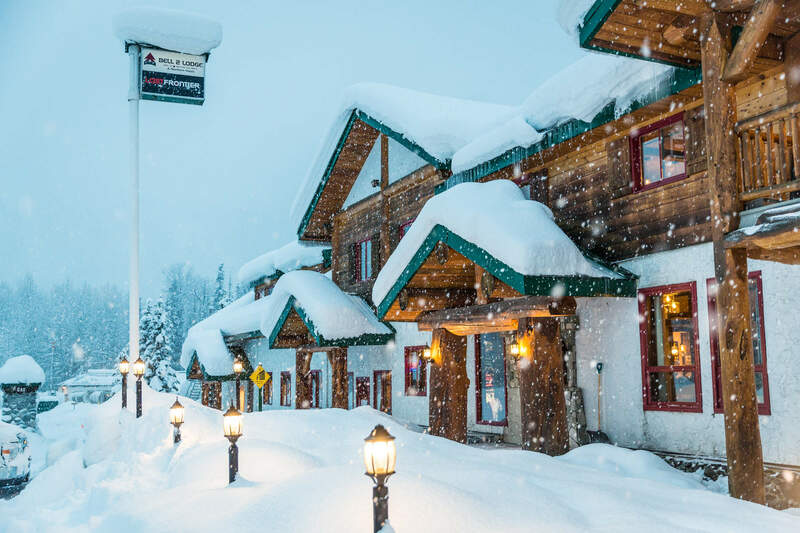 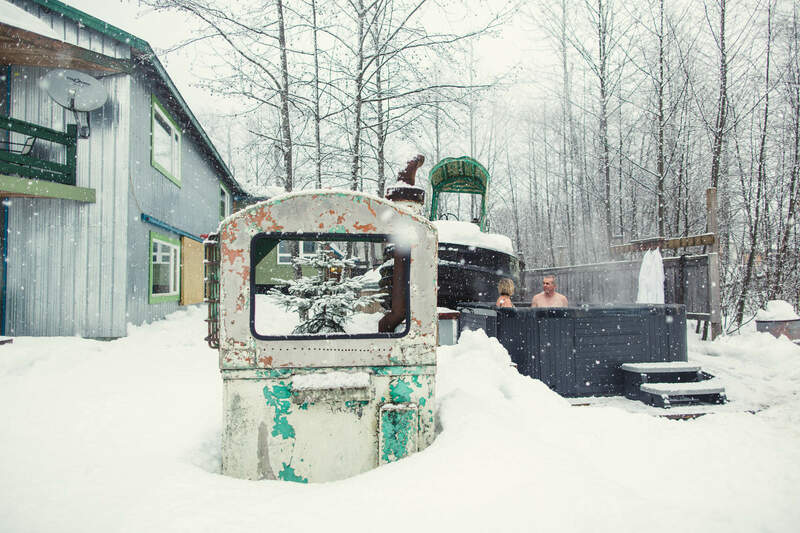 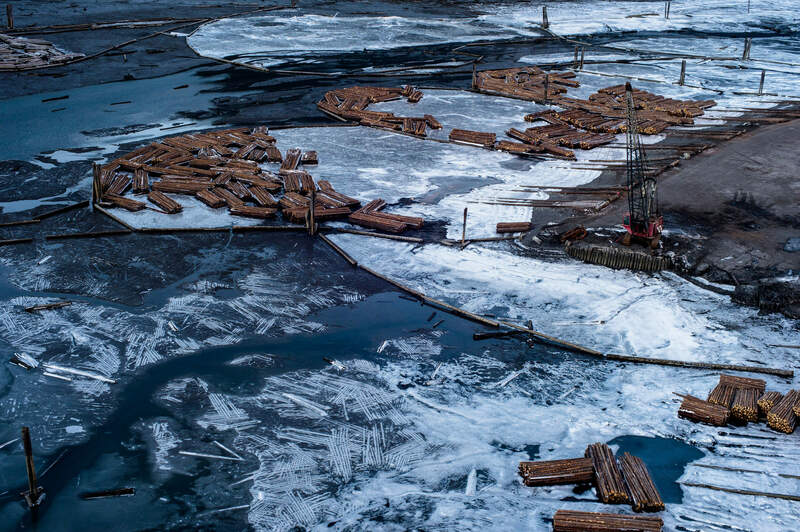 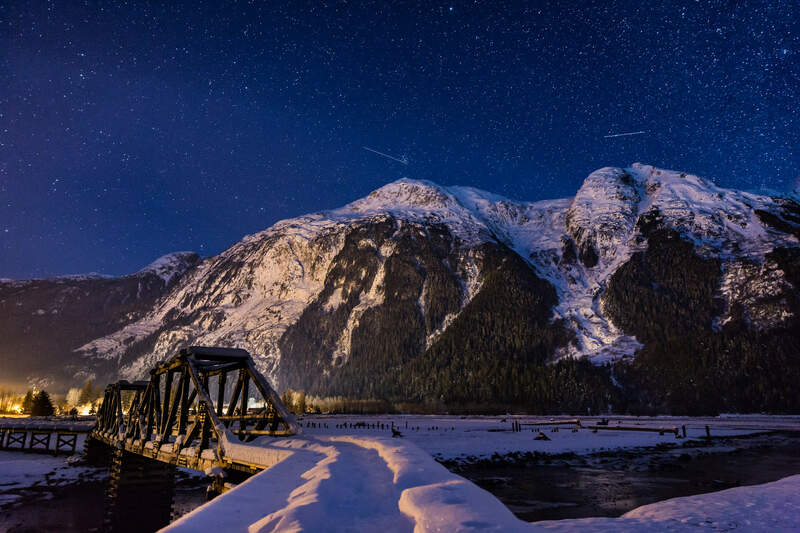 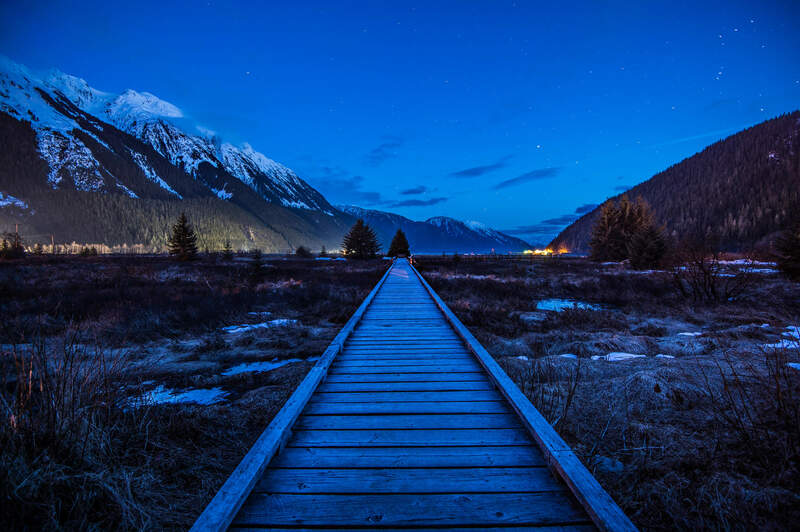 Set completely off the grid in the heart of the Skeena Mountain Range in Northern British Columbia, Bell 2 Lodge offers a unique escape in today’s always connected world. 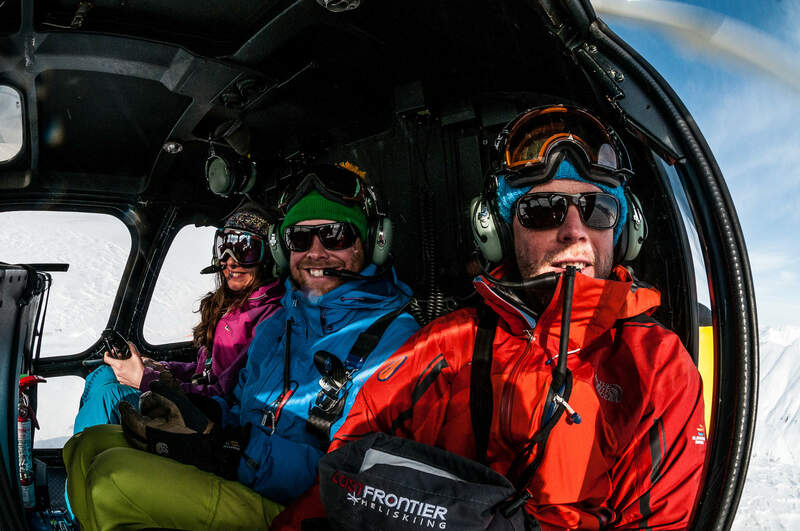 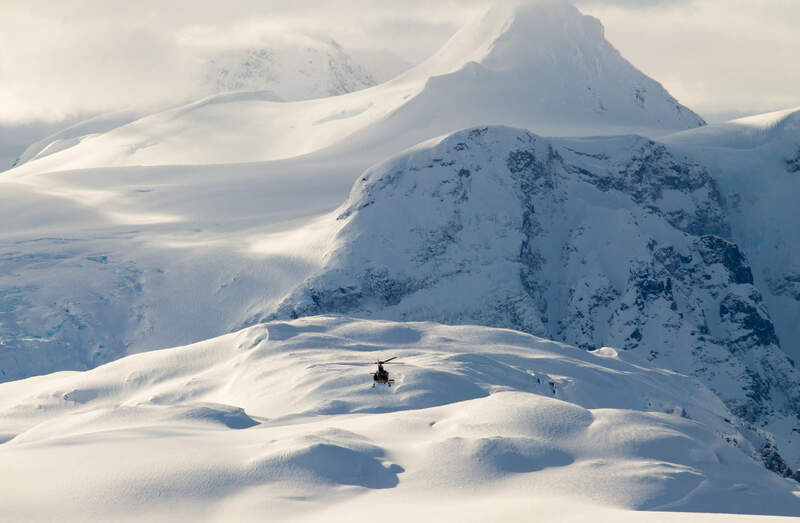 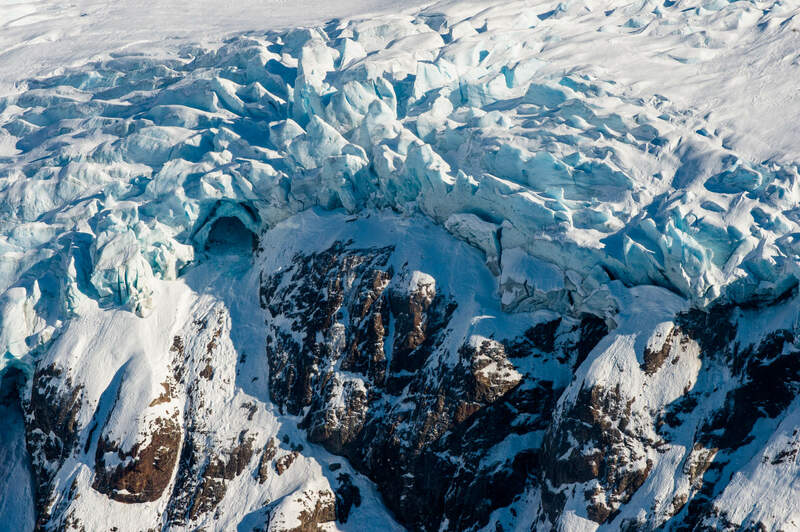 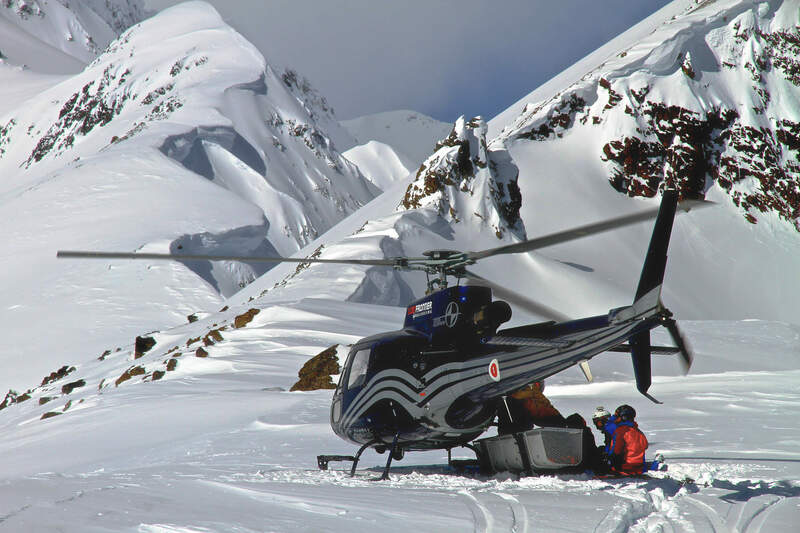 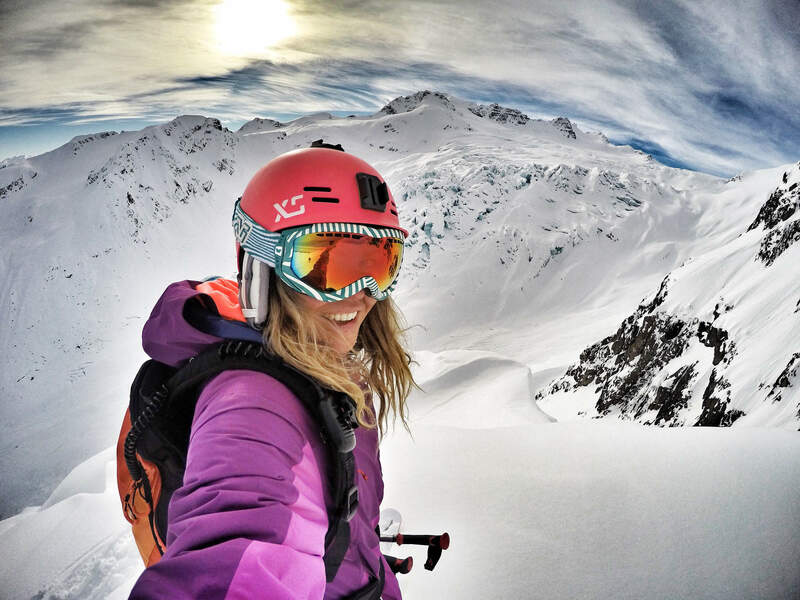 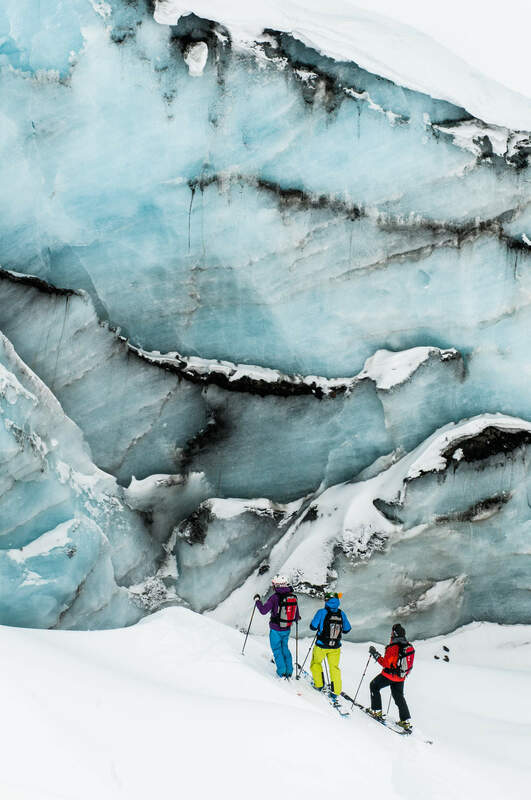 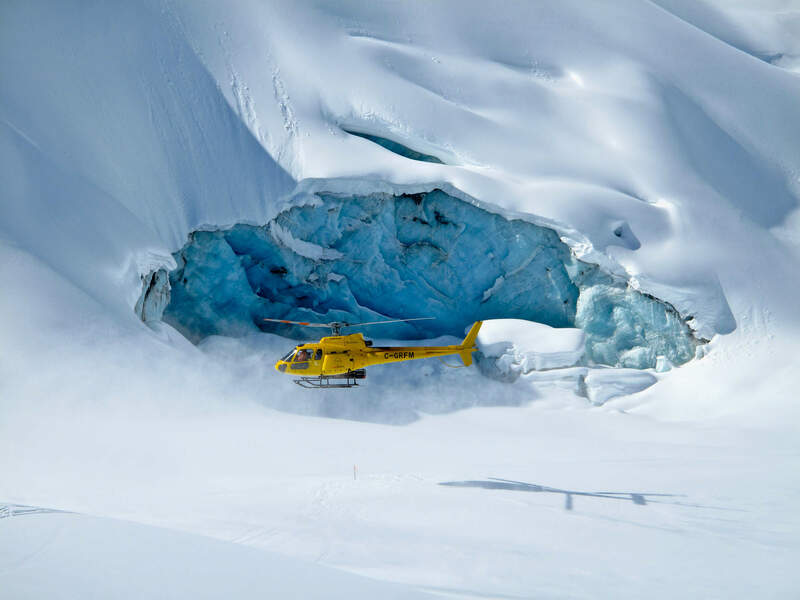 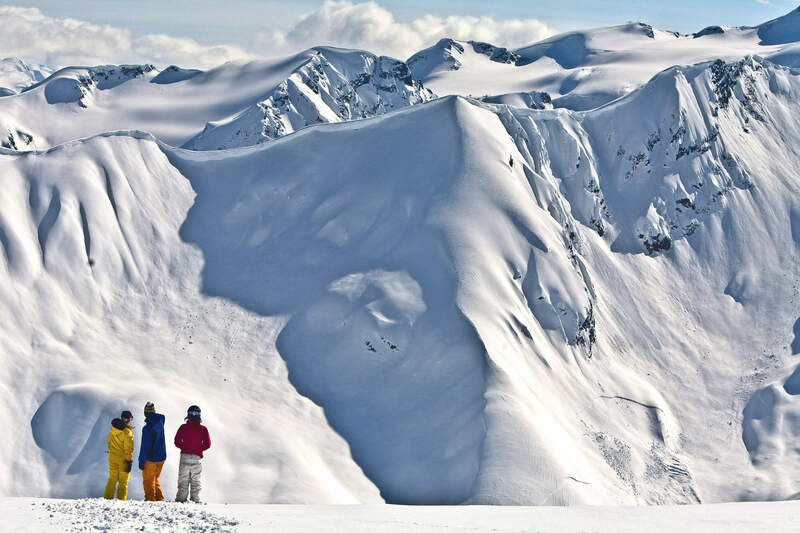 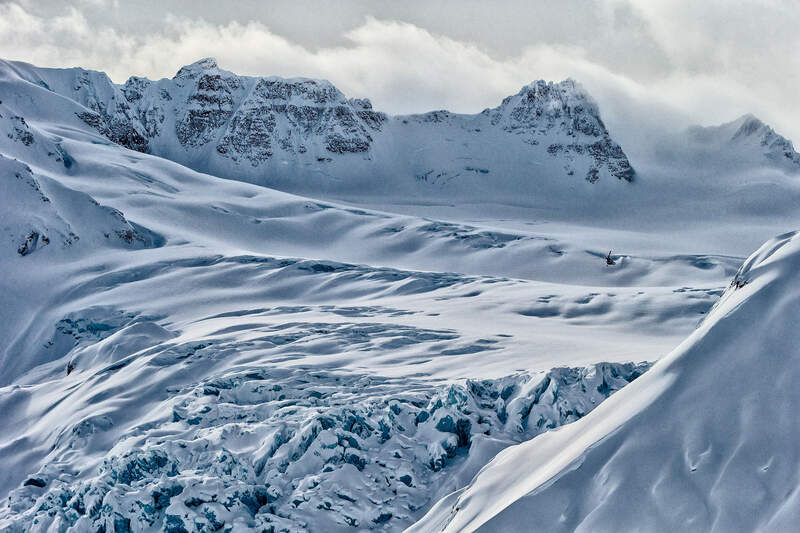 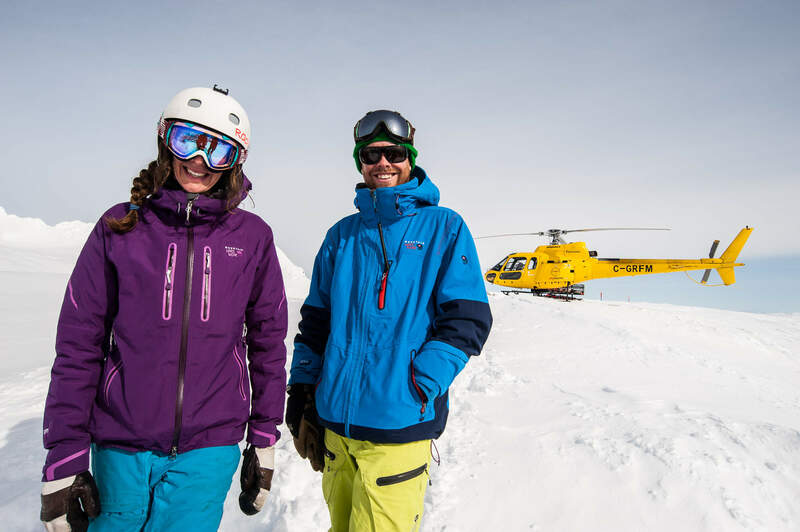 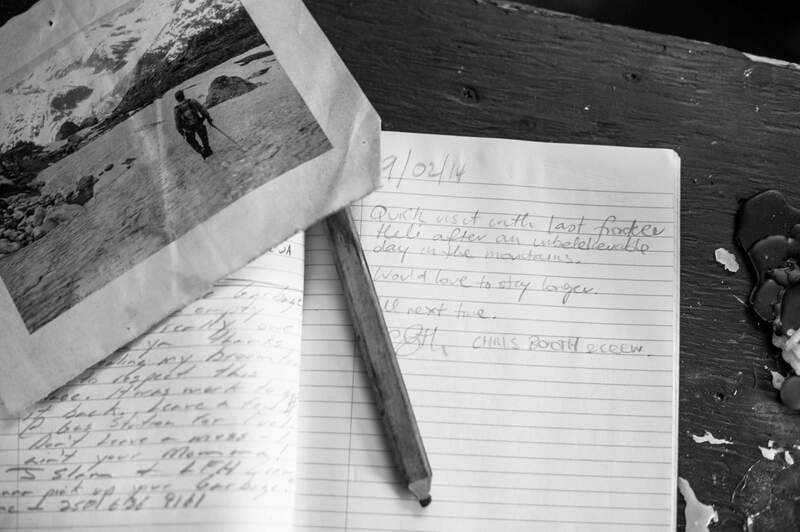 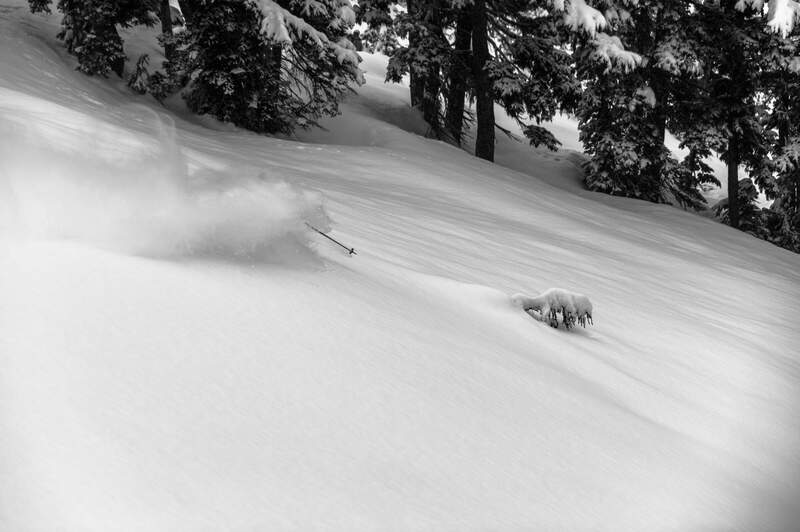 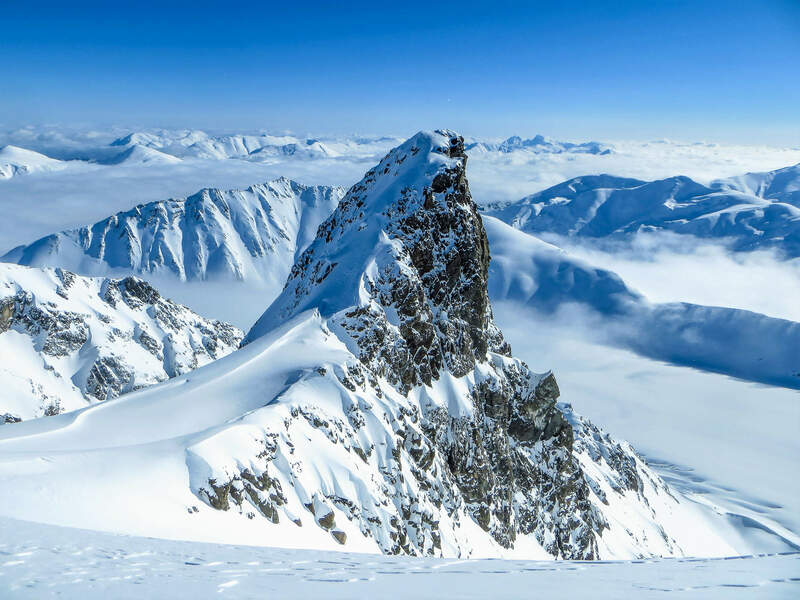 In the wintertime, heli skiing guests visit us from around the world. 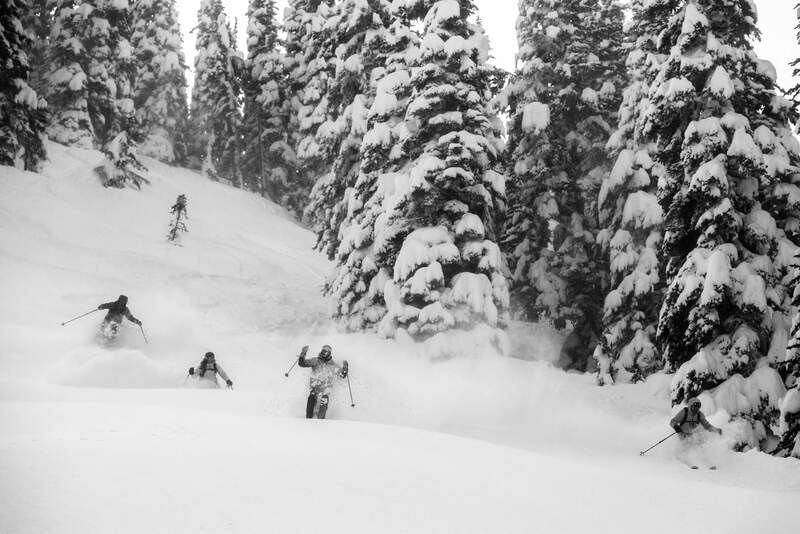 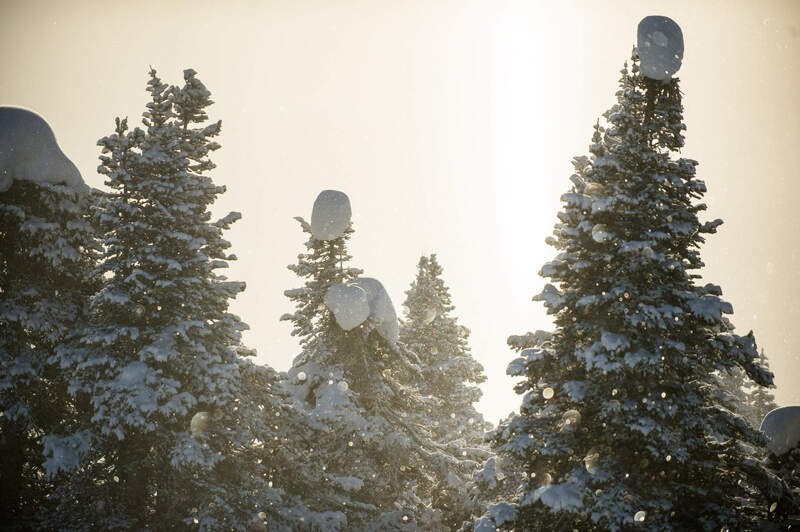 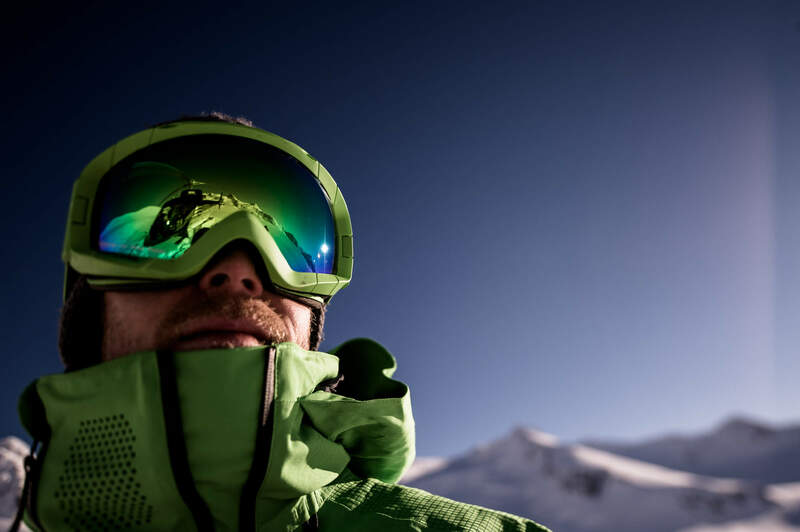 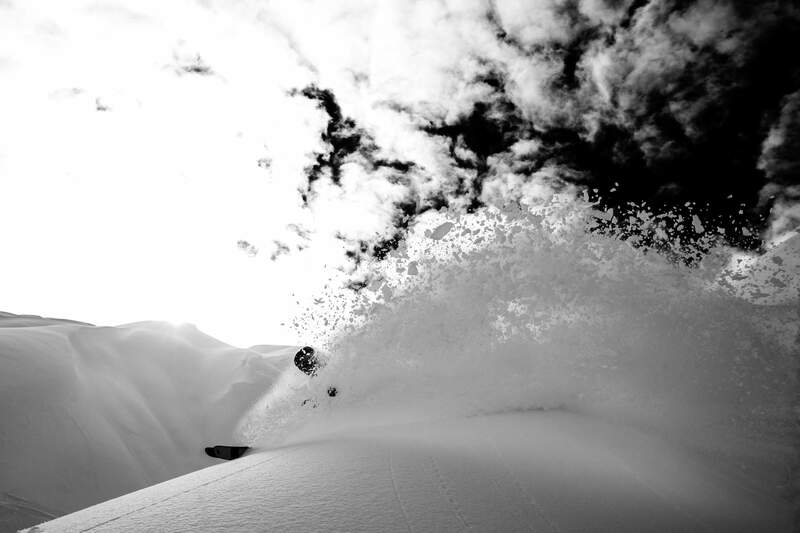 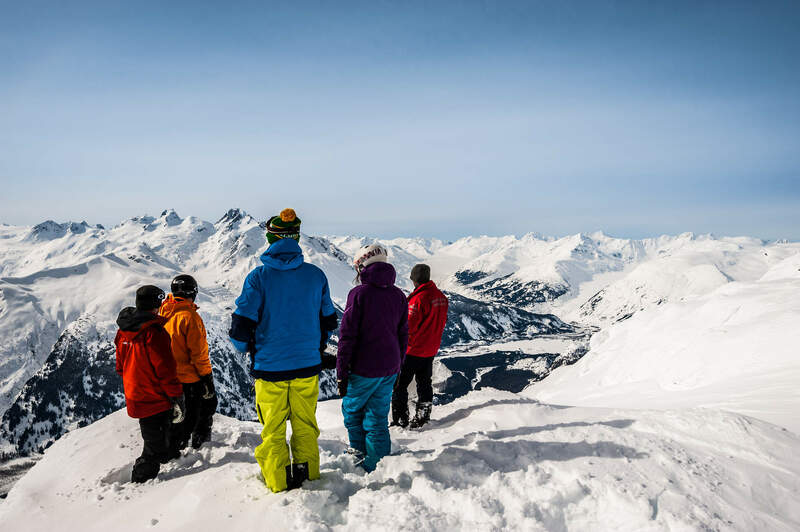 Last season we had skiers and boarders from over 37 countries on 6 continents. 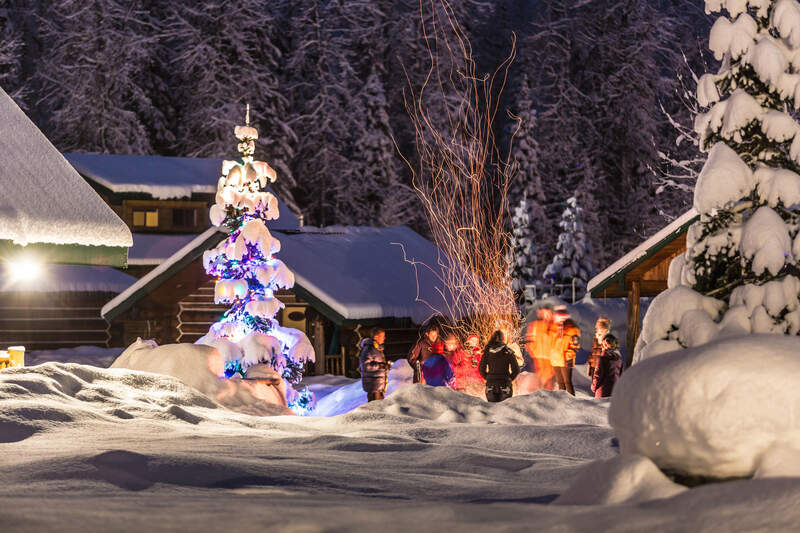 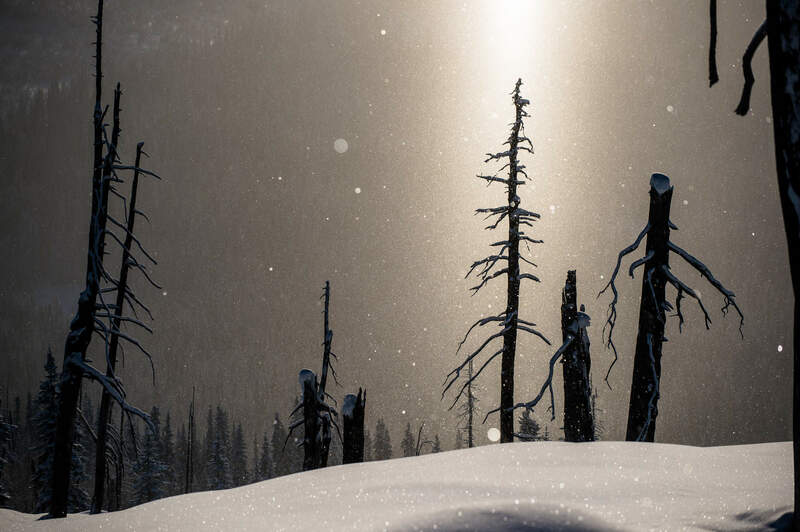 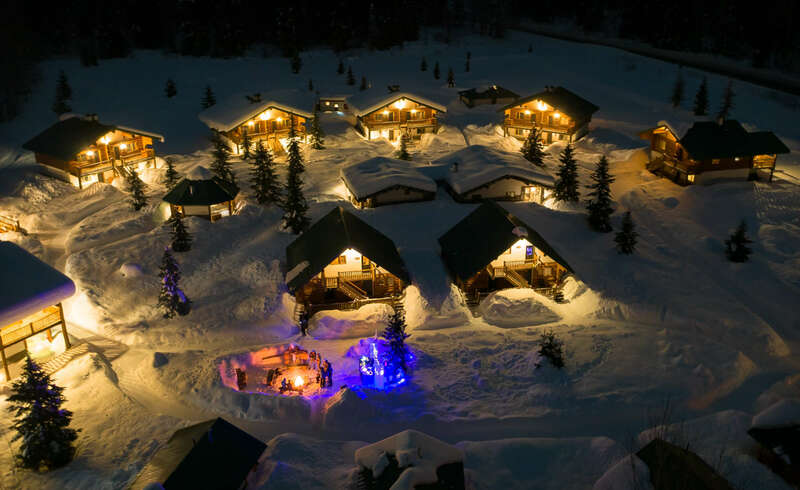 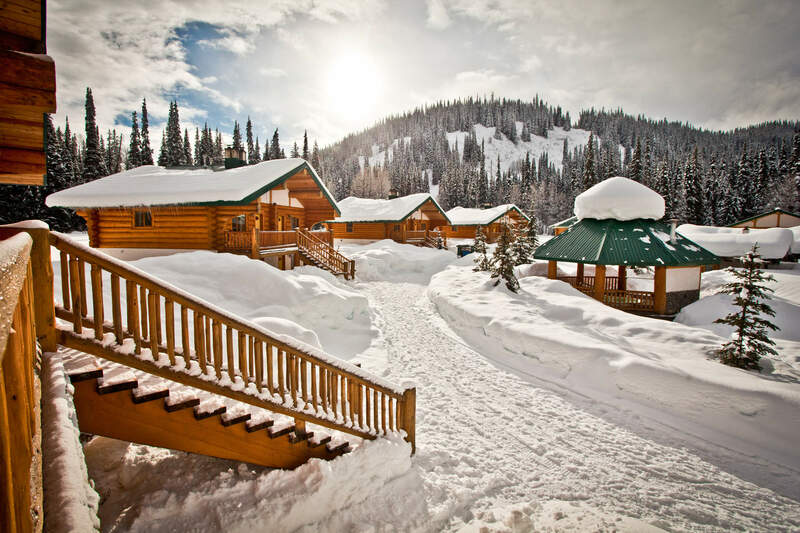 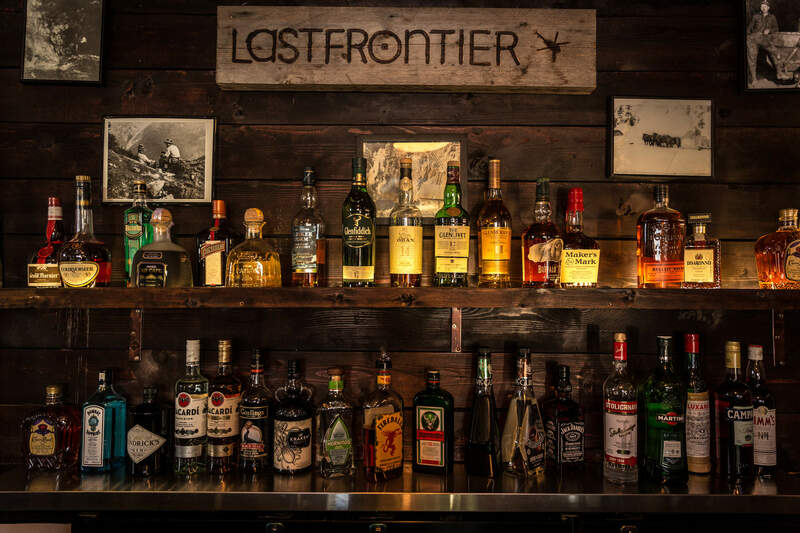 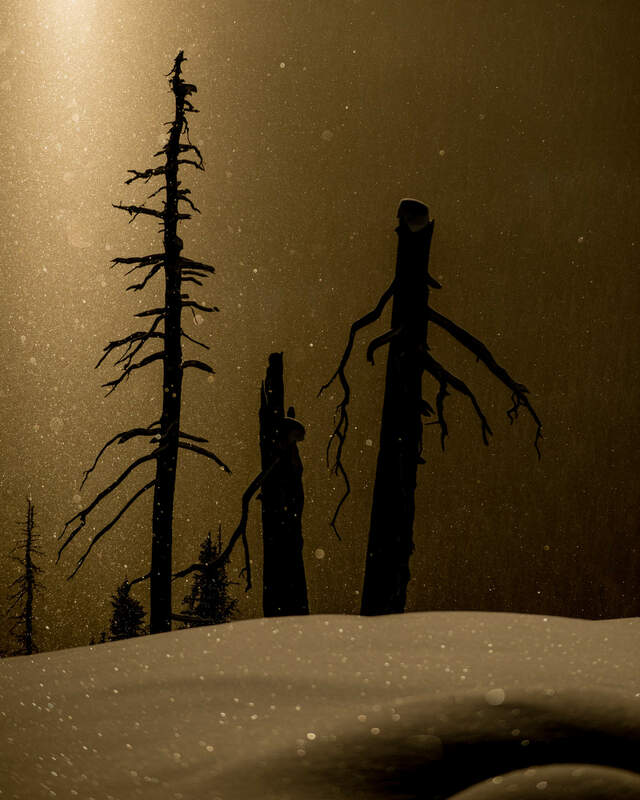 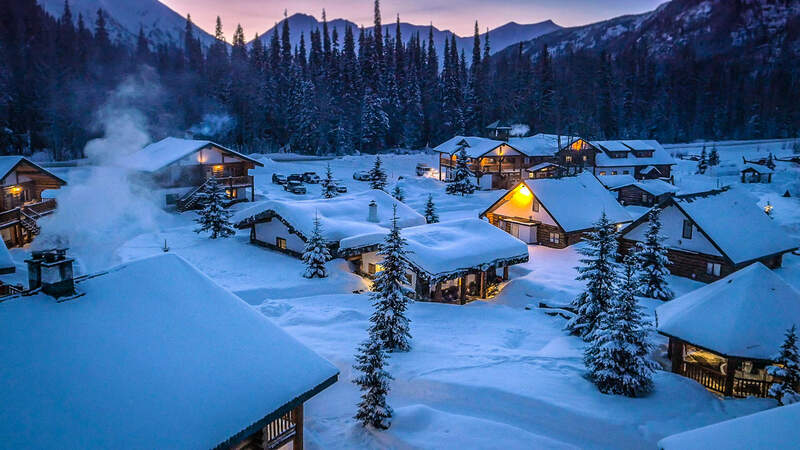 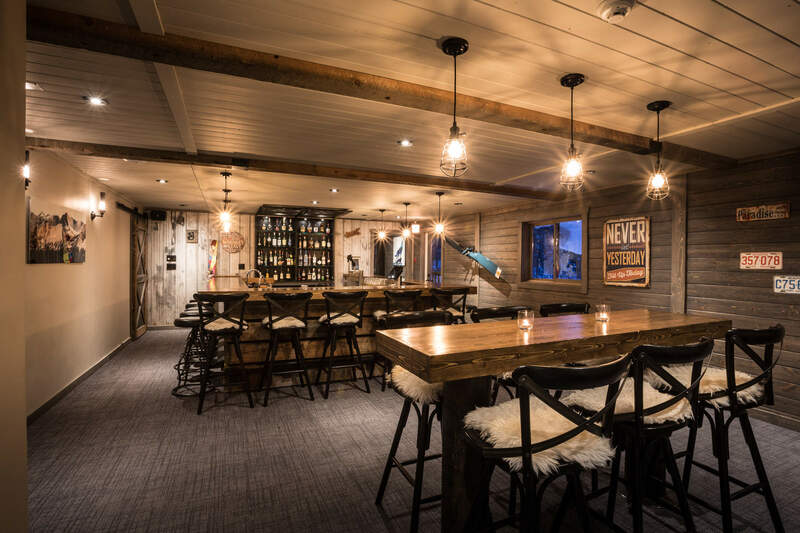 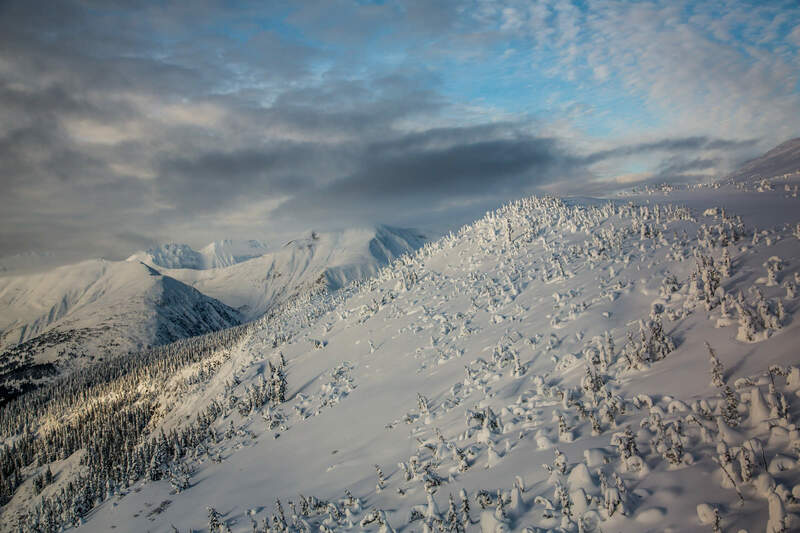 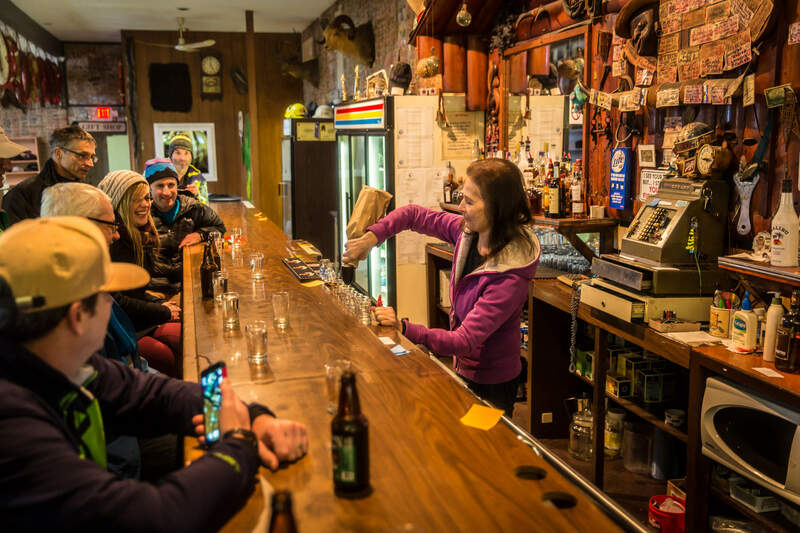 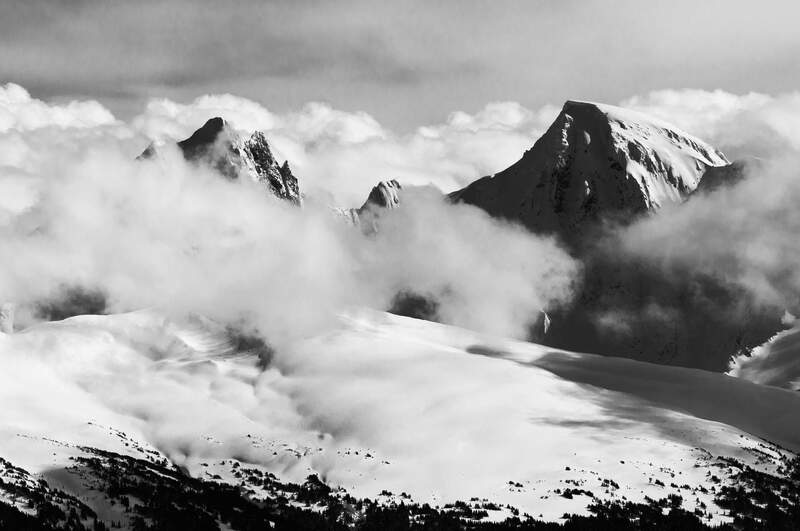 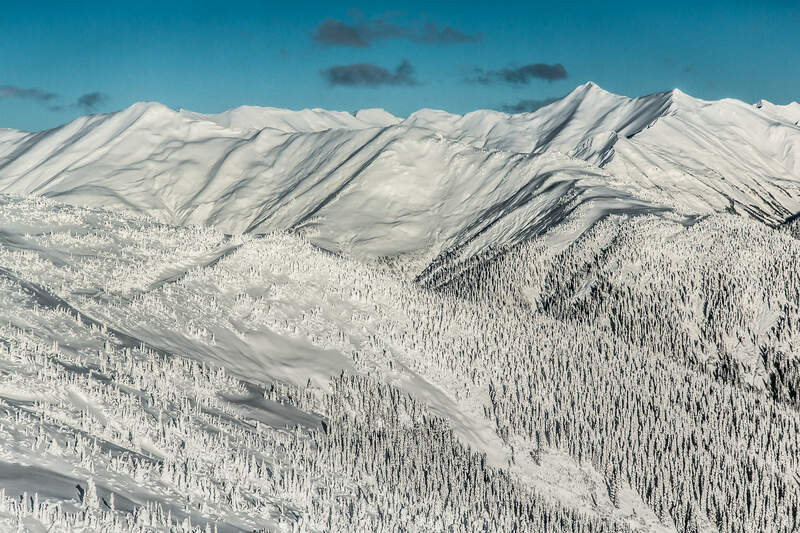 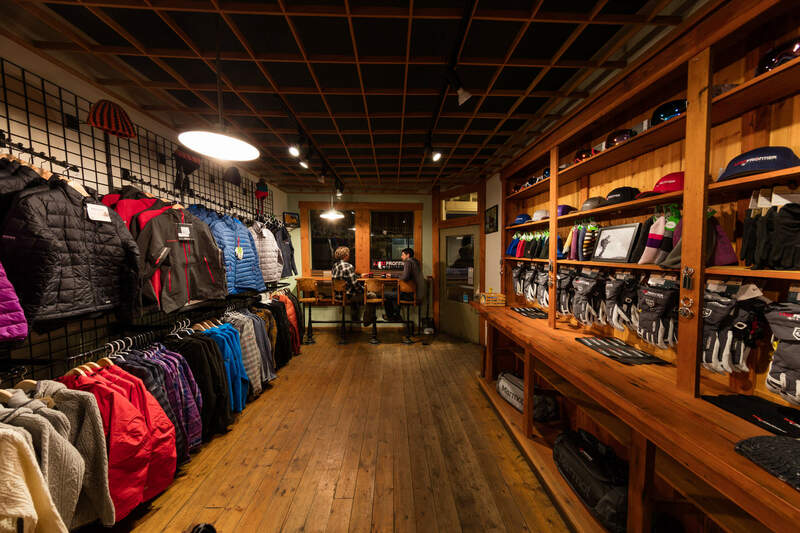 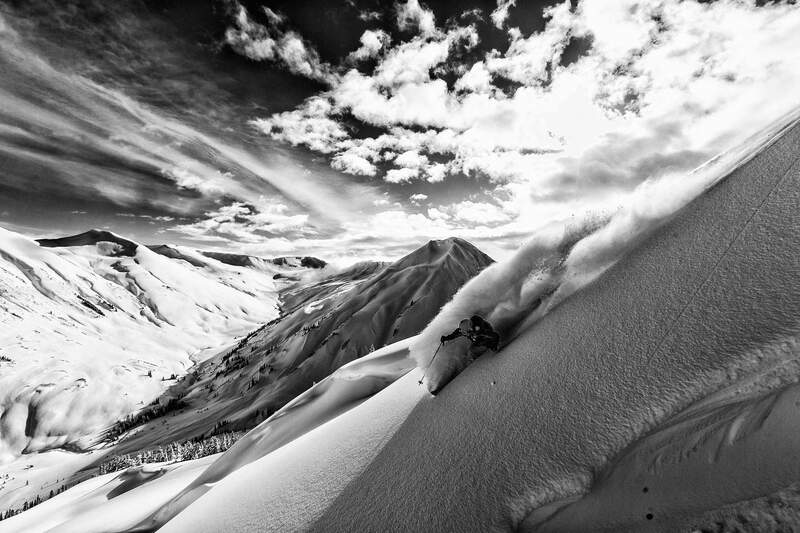 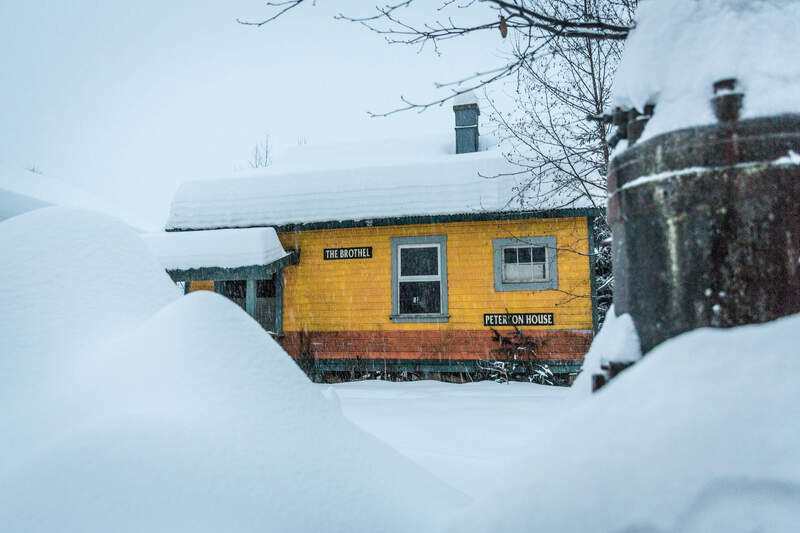 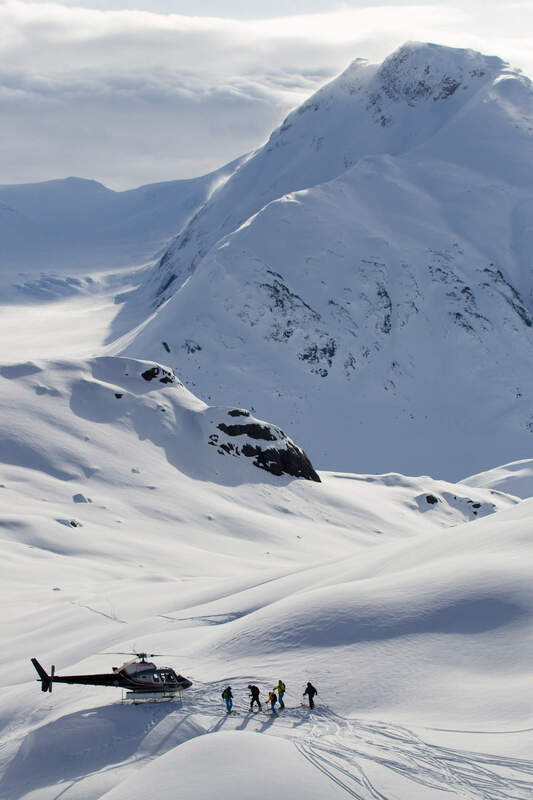 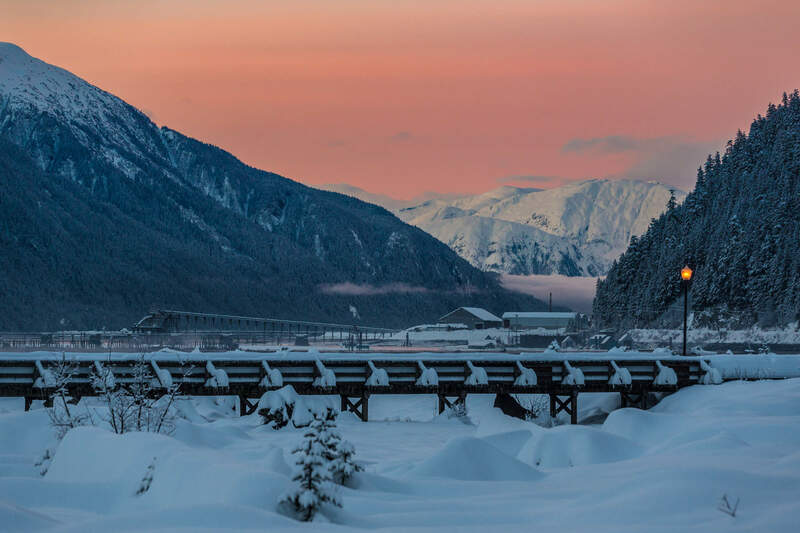 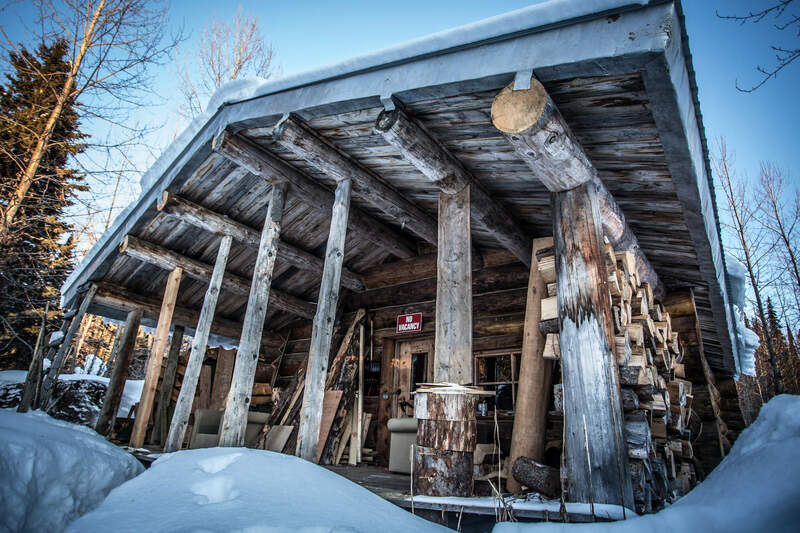 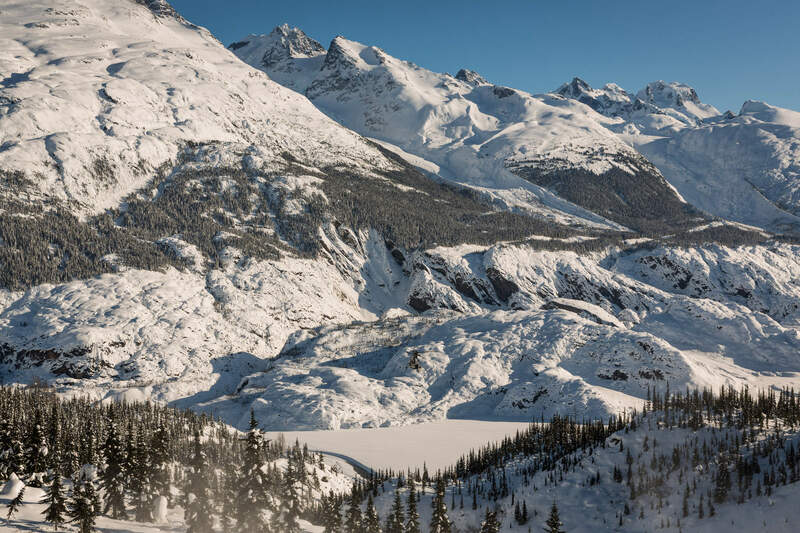 It’s this diversity and distinct lodge atmosphere that makes our little heliski village come alive. 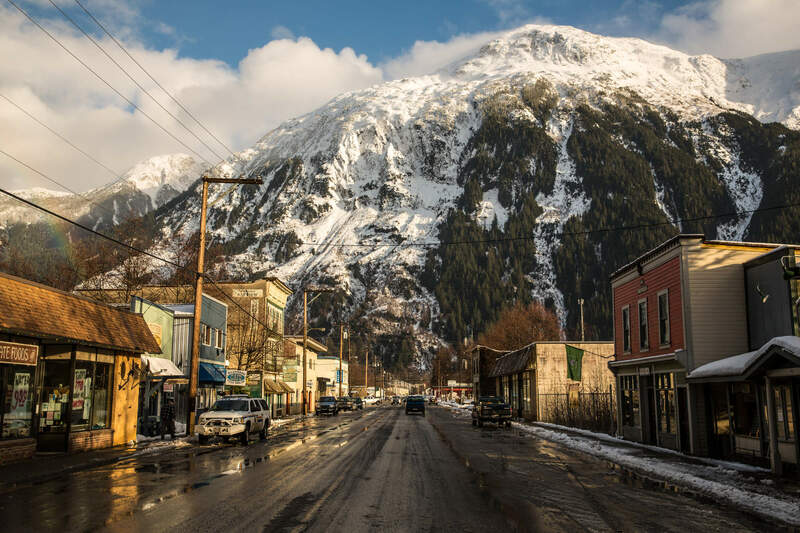 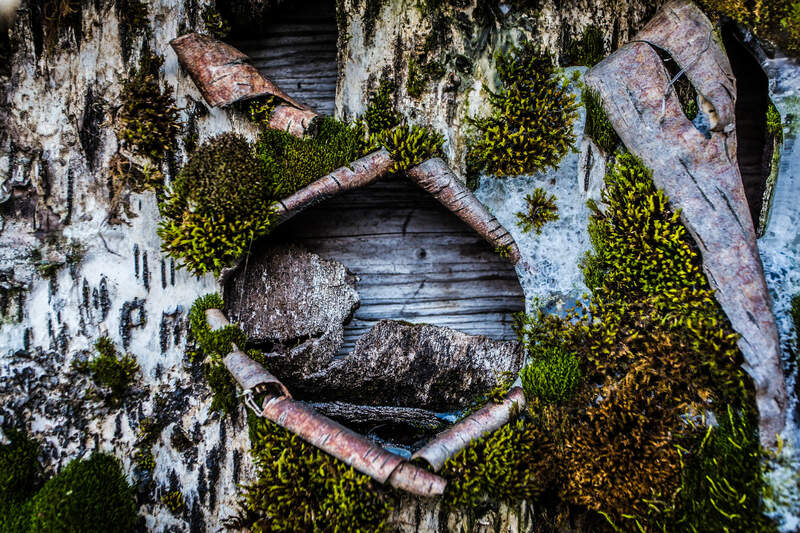 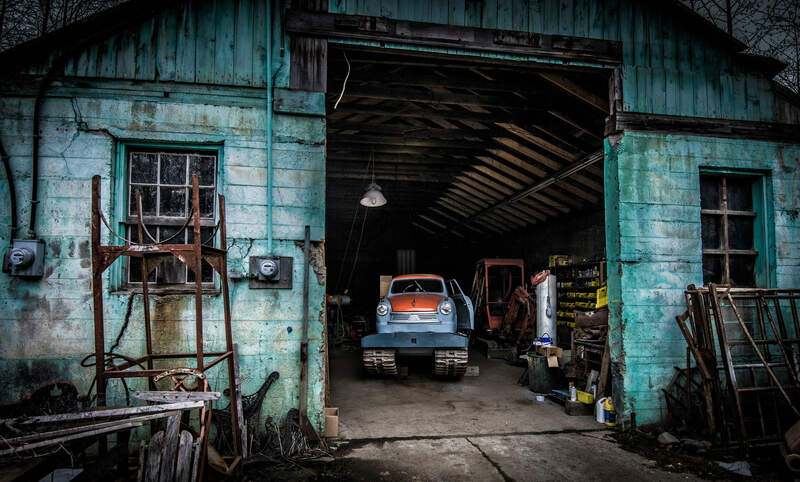 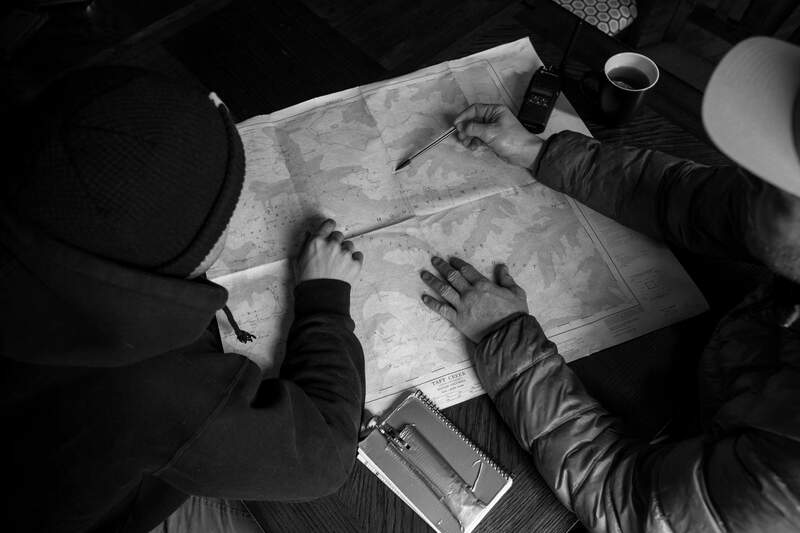 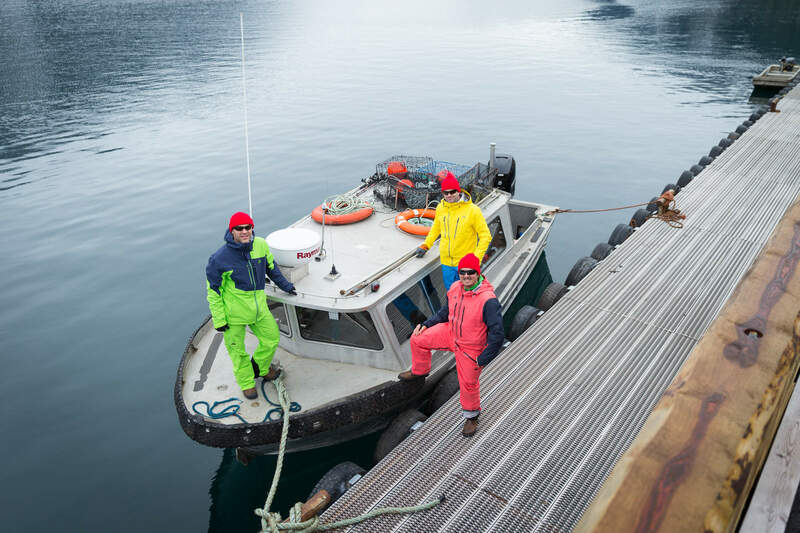 Equally diverse, is our tight-knit crew, many of whom seek the challenge and thrill of working in such a remote lodging environment. 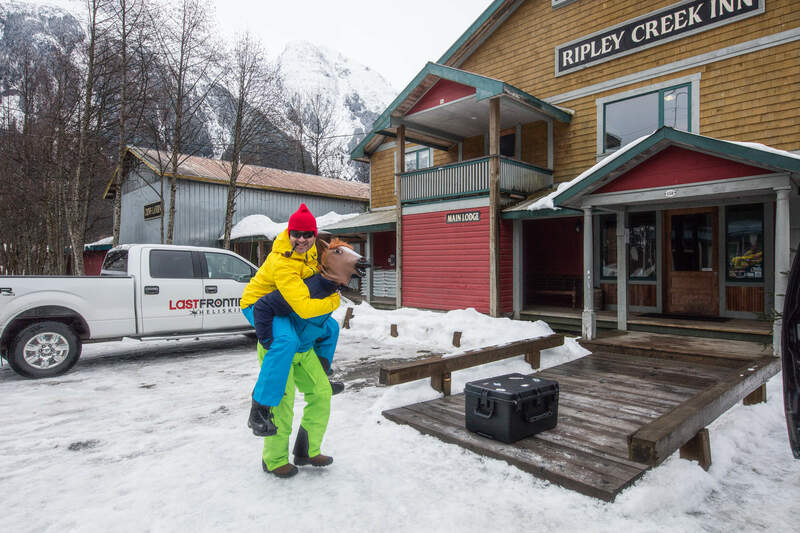 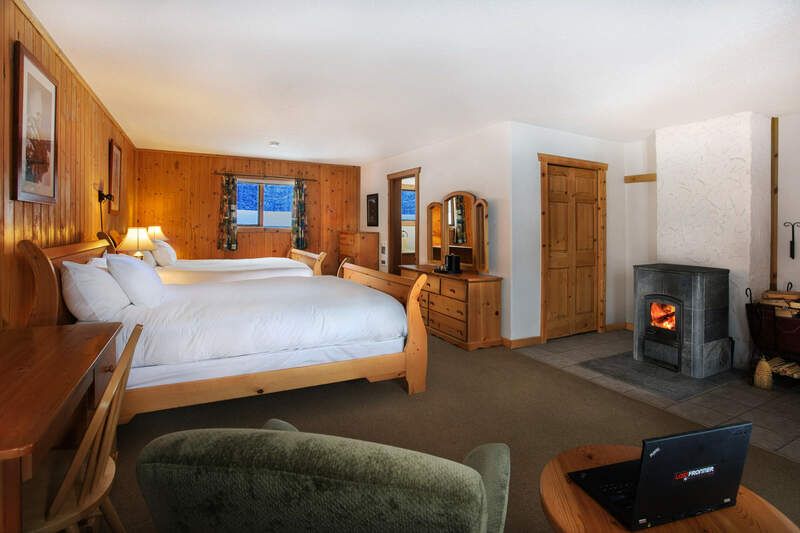 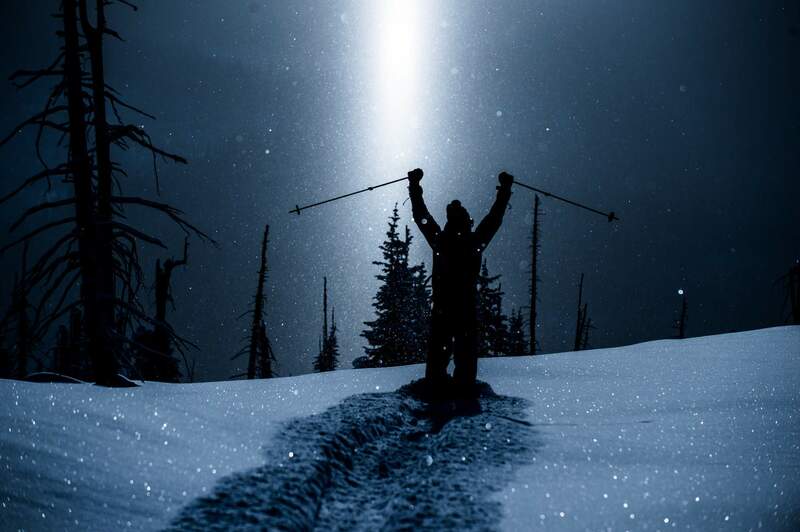 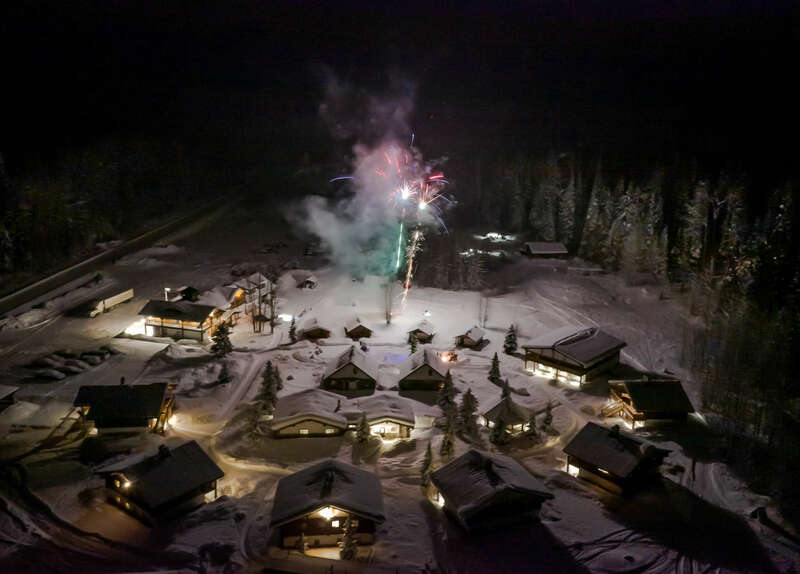 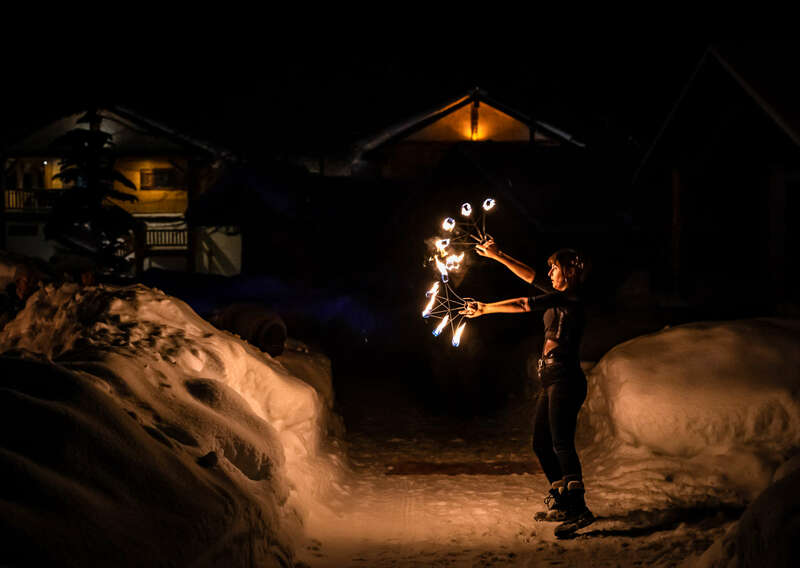 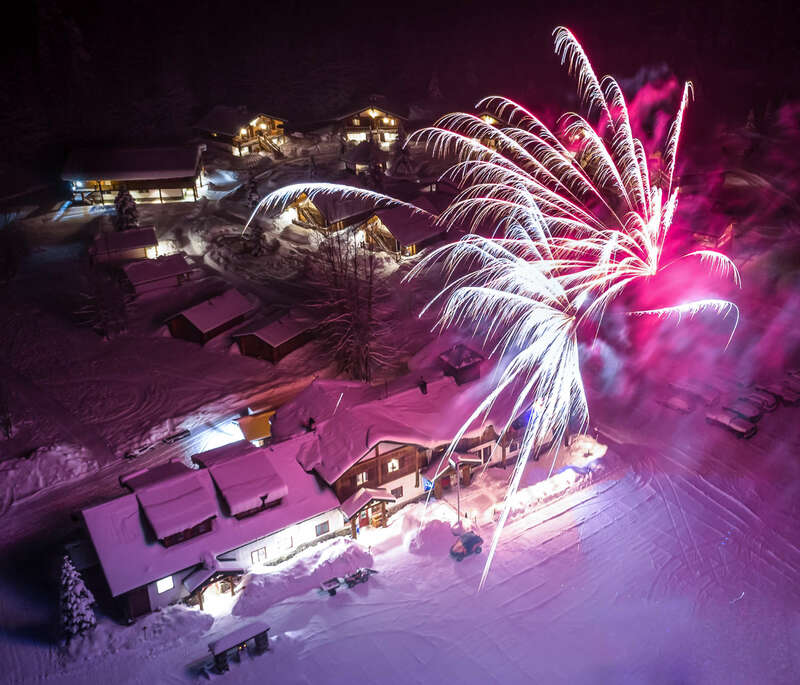 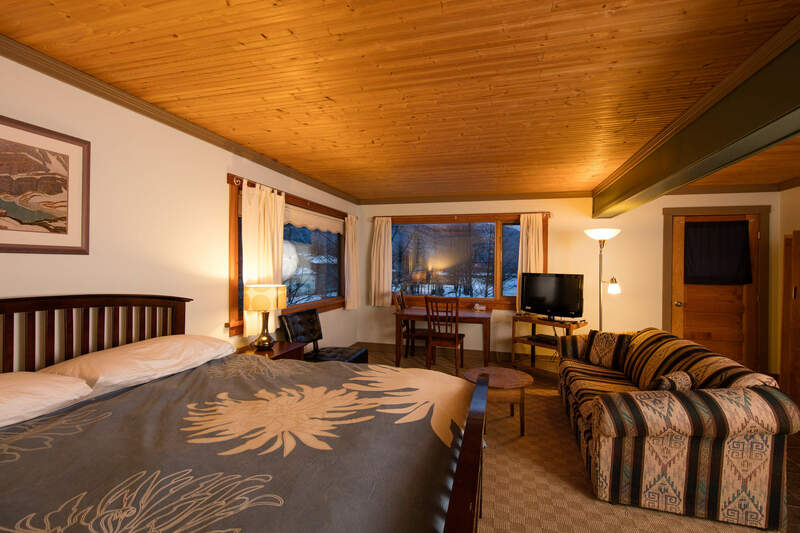 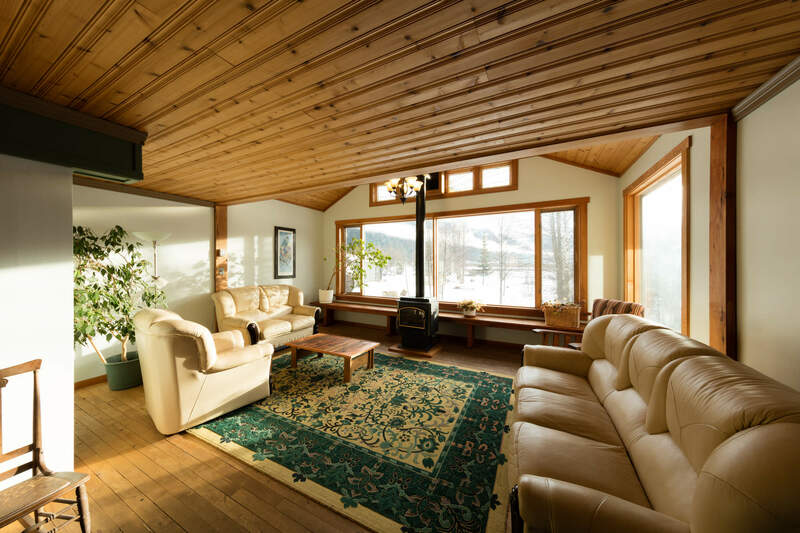 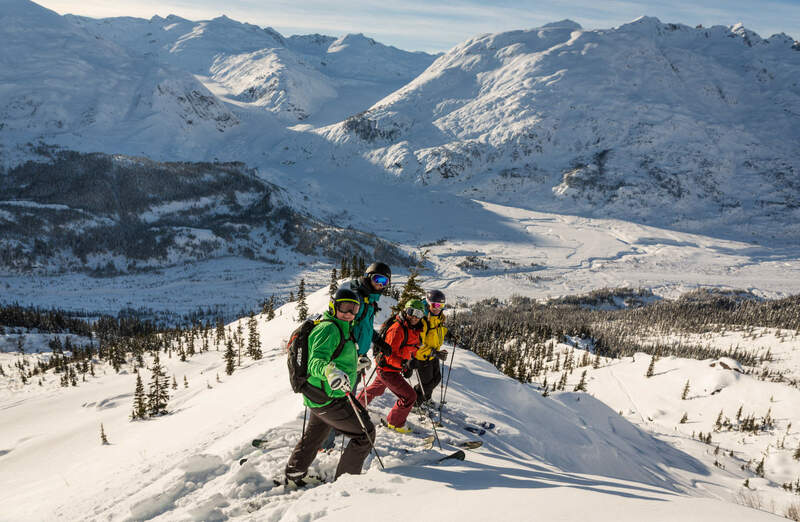 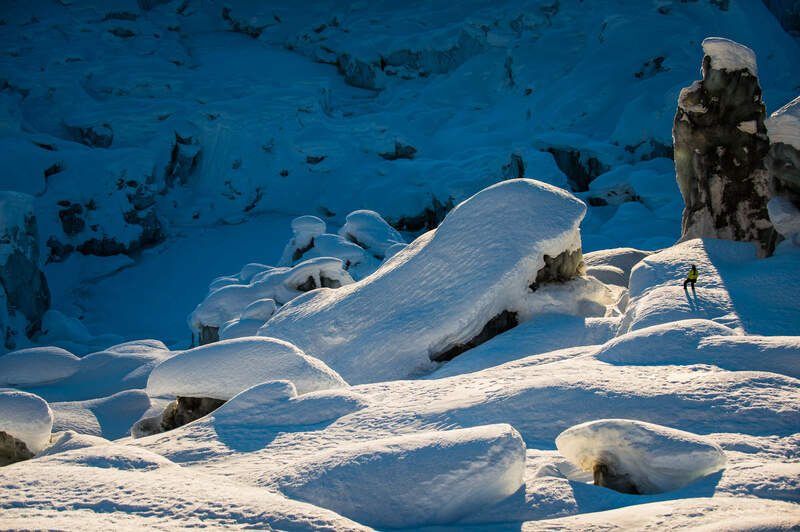 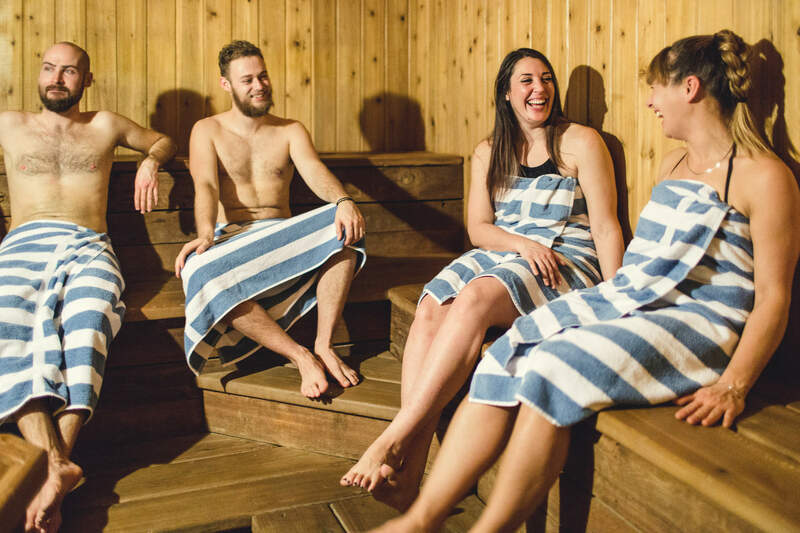 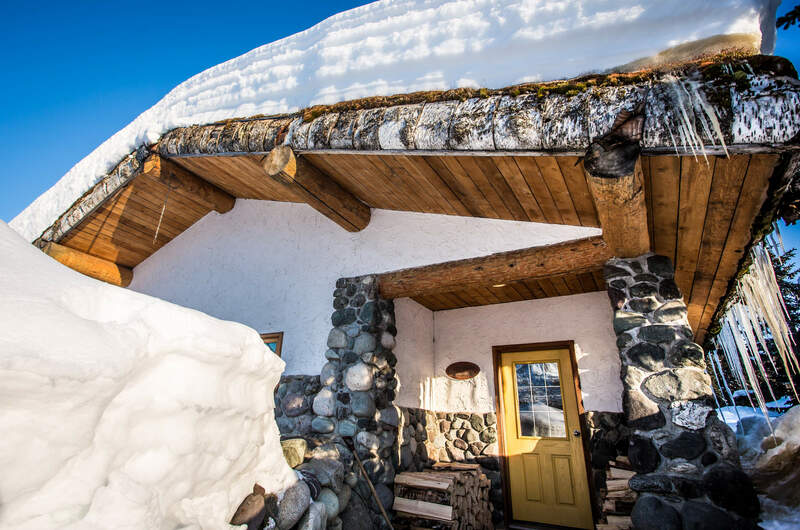 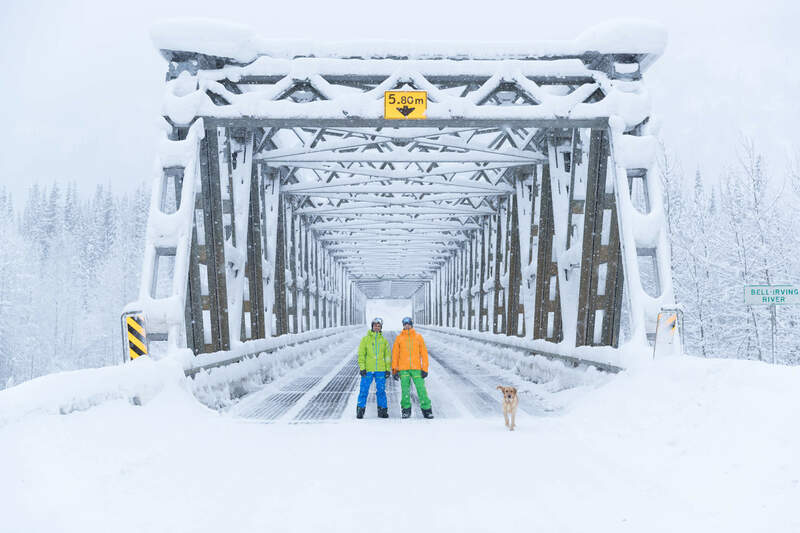 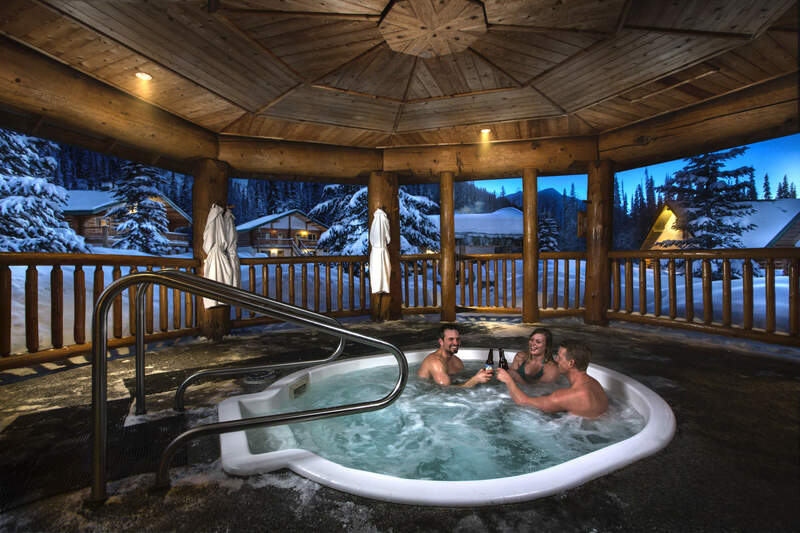 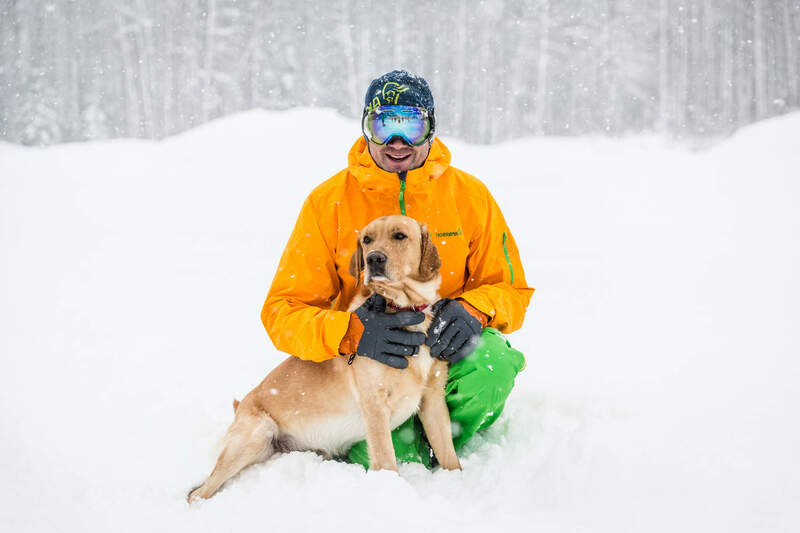 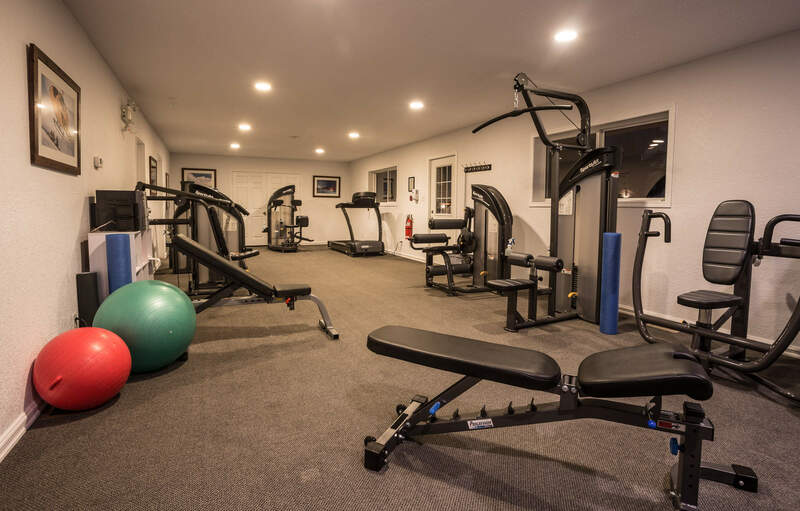 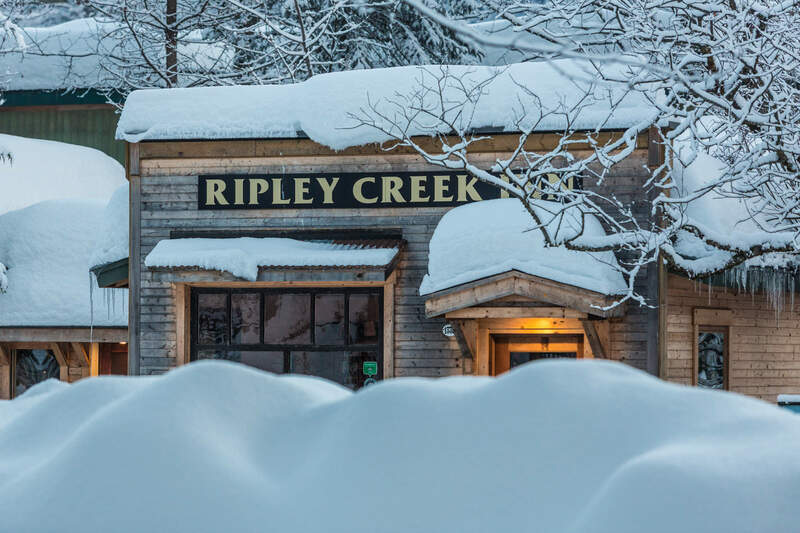 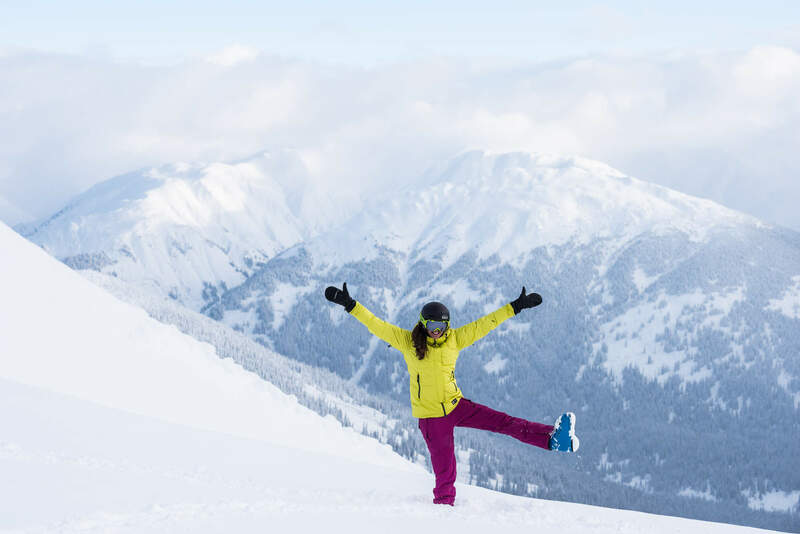 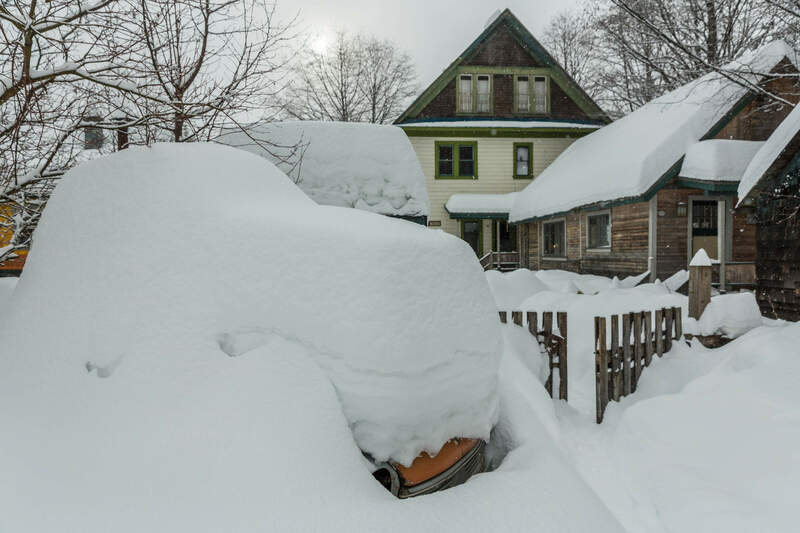 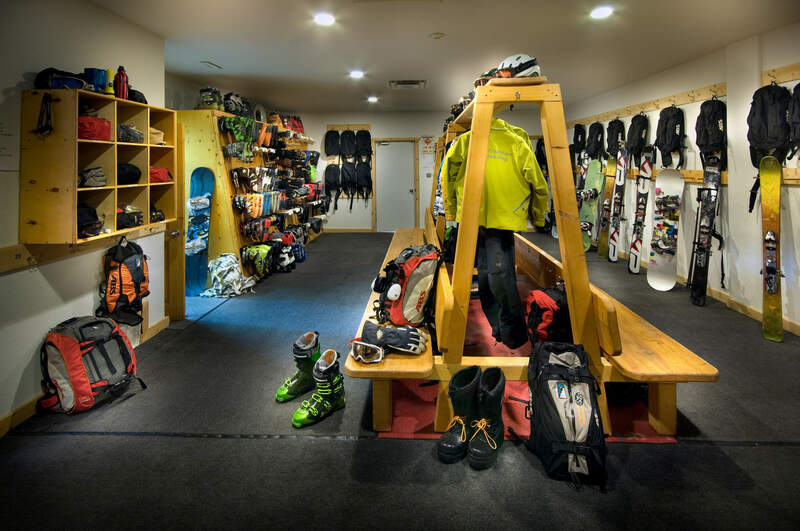 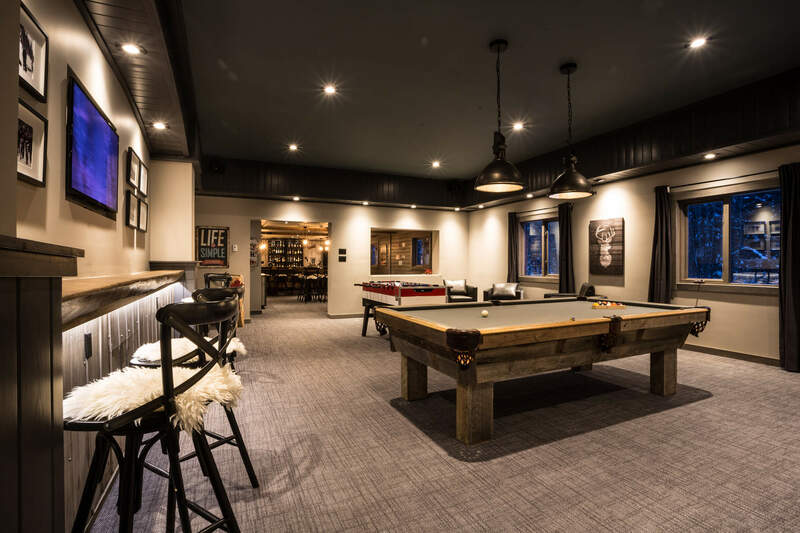 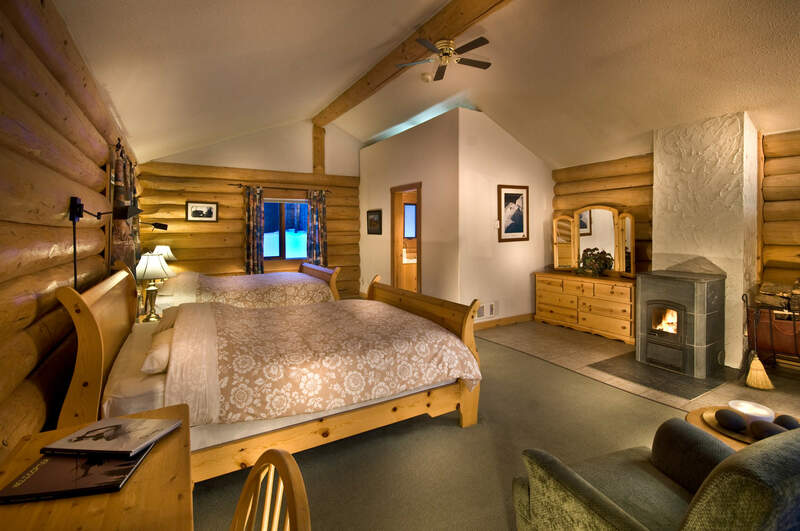 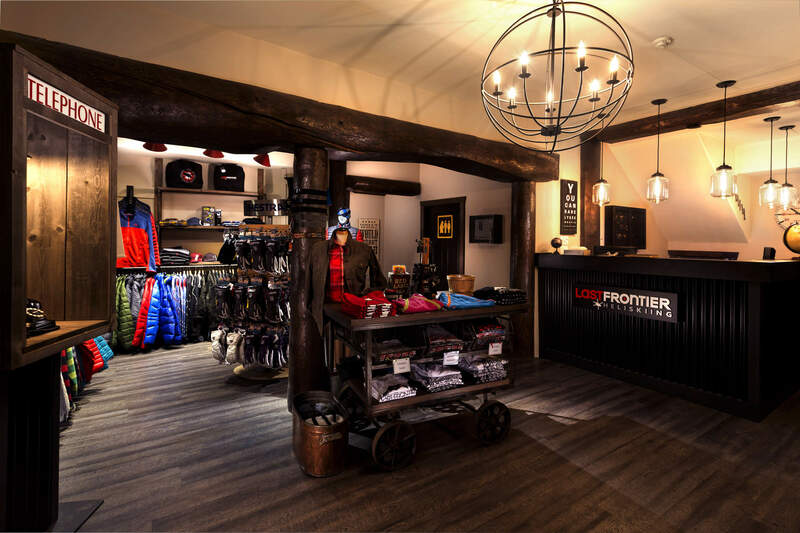 Their overriding goal is to ensure you are having a great time, whether it’s on skis or back at home at the lodge. 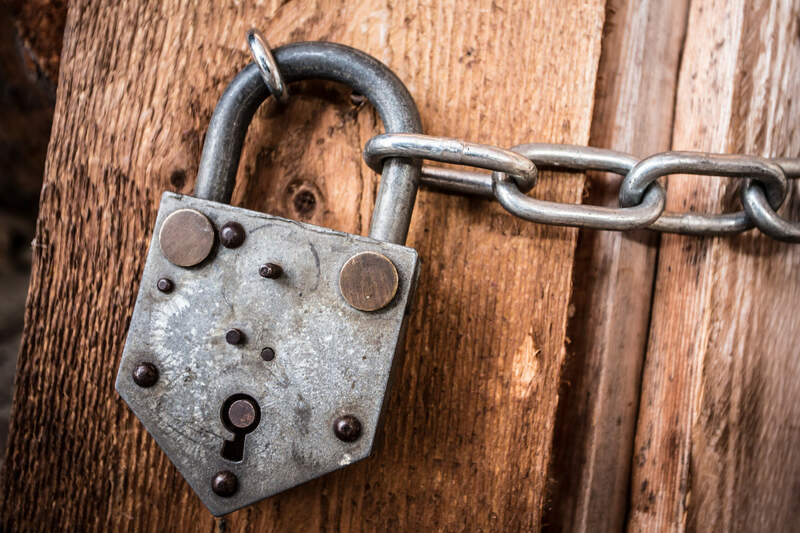 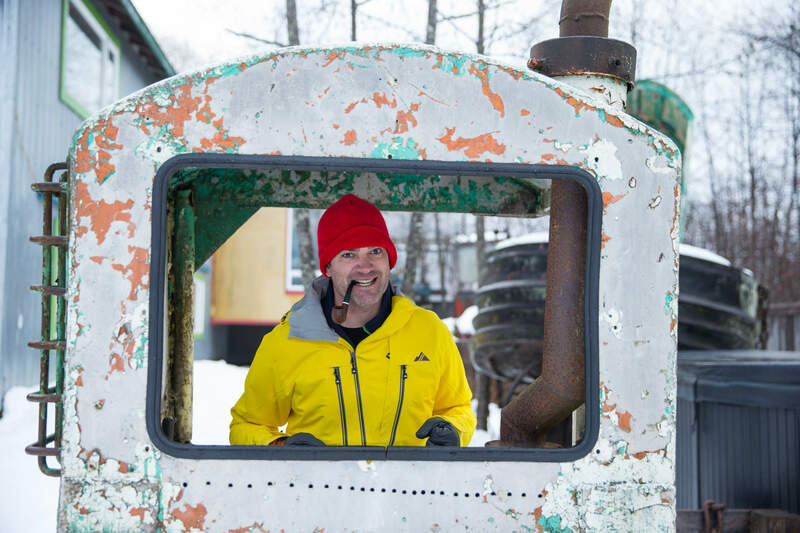 Each week is unique and a low-key approach is used when it comes to entertainment programming. 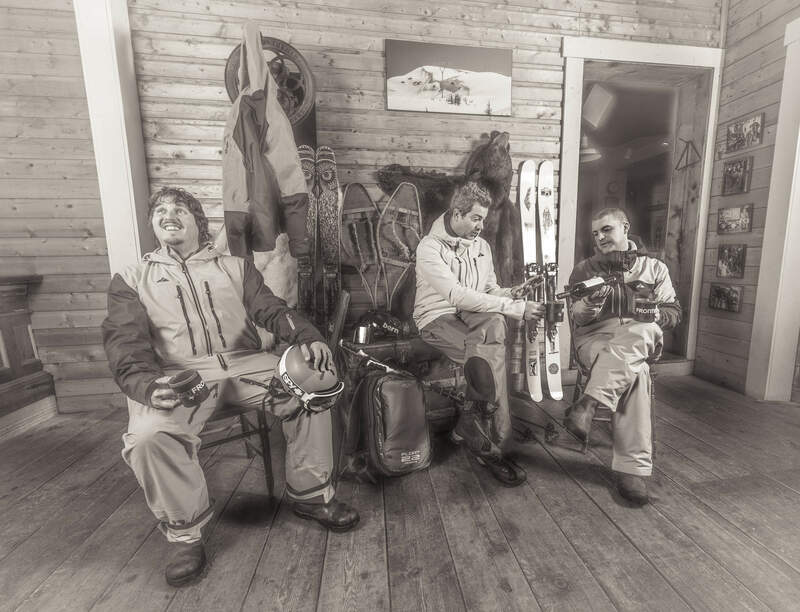 We have been fortunate to attract diverse characters with varying interests and skill sets. 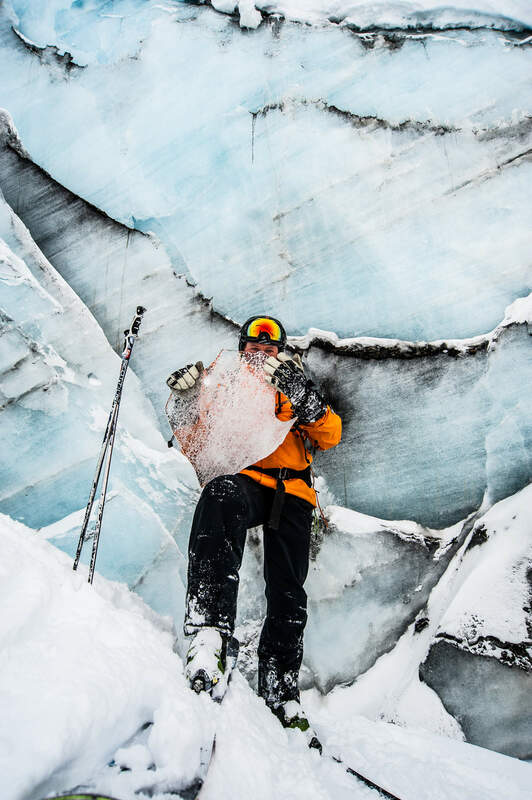 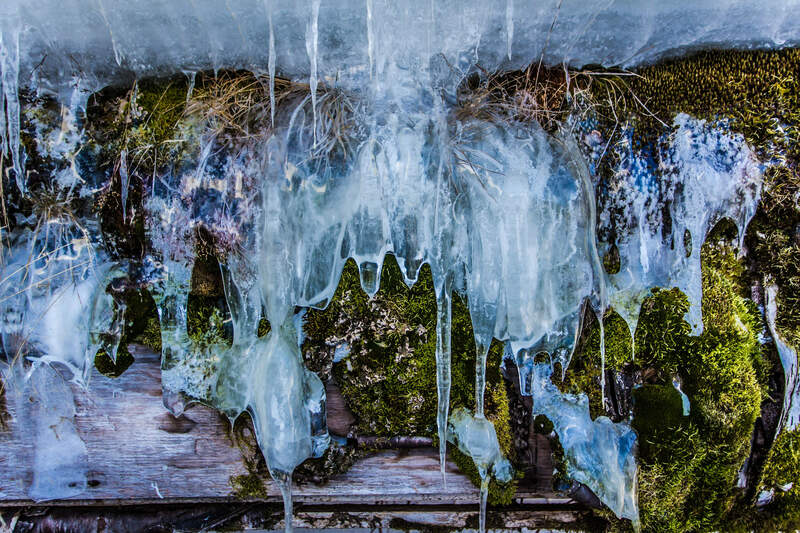 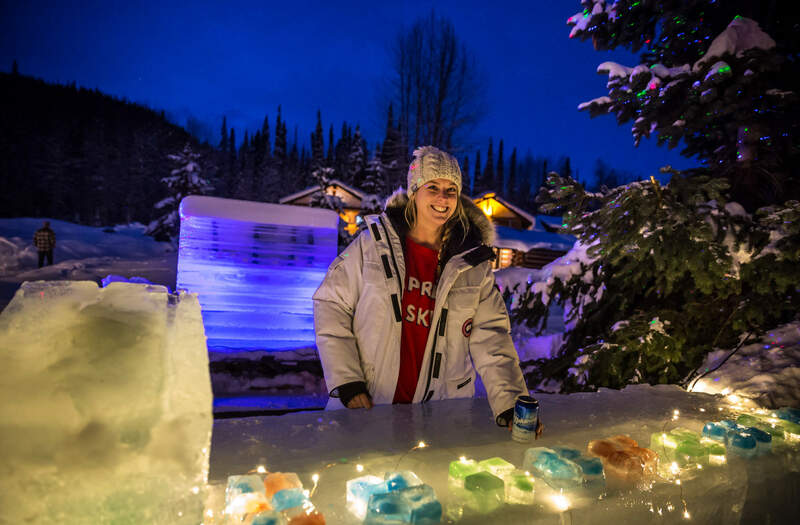 Mitja our head Chef has been working diligently for the past few weeks building a beautiful Ice Bar in the heart of our little heliski village. 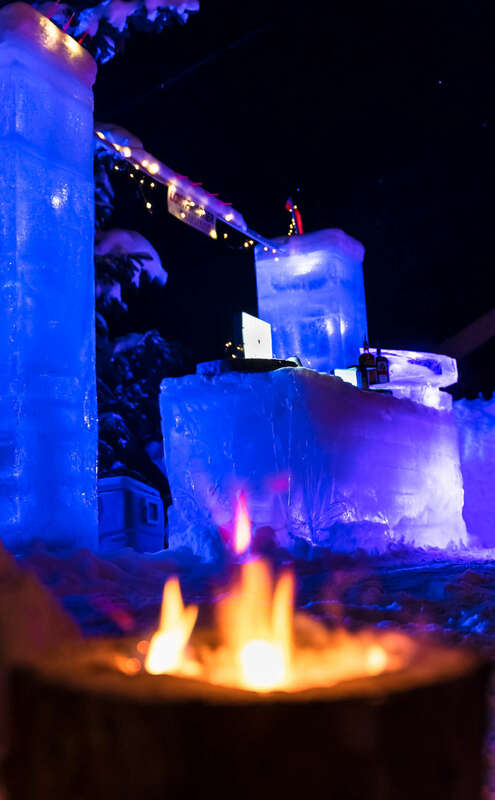 It’s even better than the one he assembled last winter. 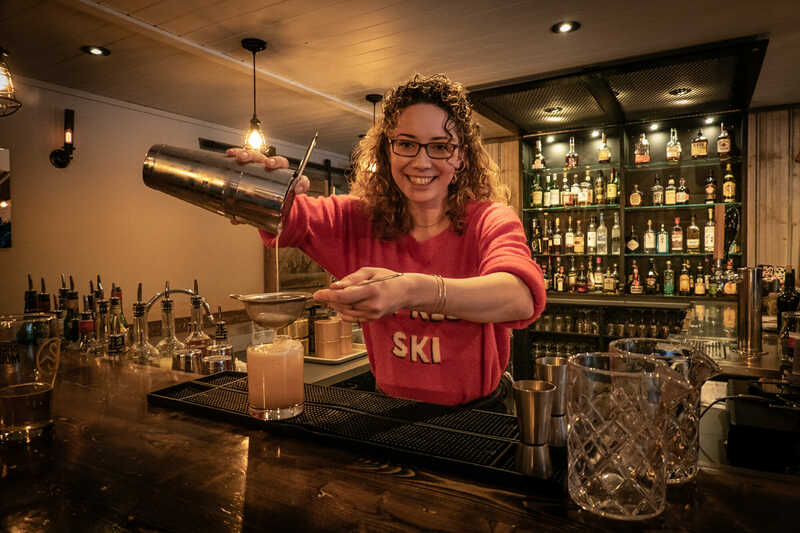 Wendy, our Lodge Manager, has been working closely with her team to keep the lodge atmosphere fun and engaging. 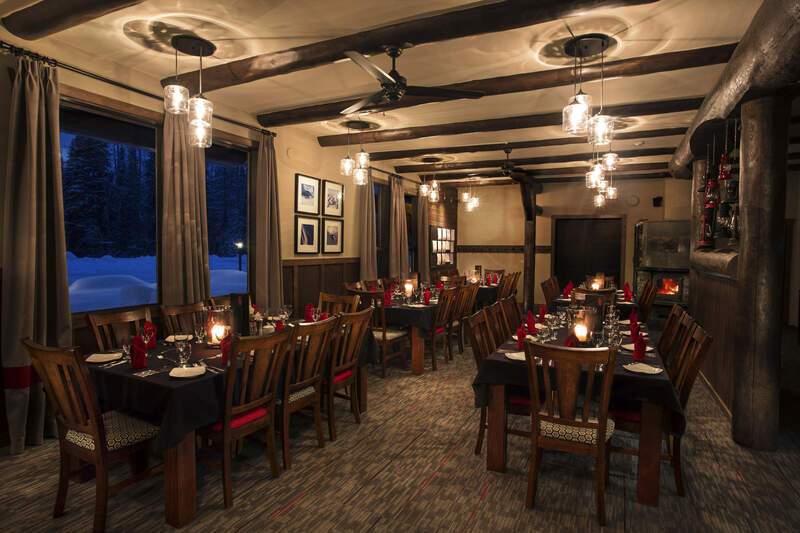 Our enthusiastic team of servers, bartenders, front desk personnel and massage therapists stand by make you feel at home. 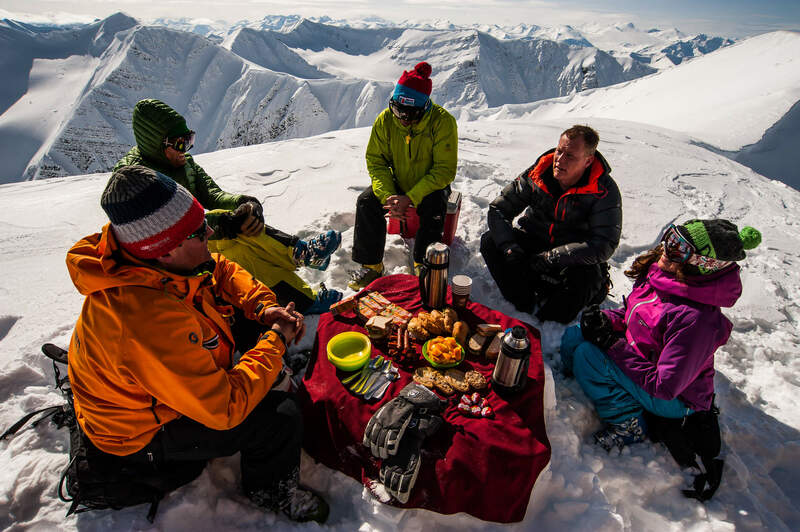 After the choppers return to base from the day’s heli skiing, the late afternoon starts with a well catered Après ski. 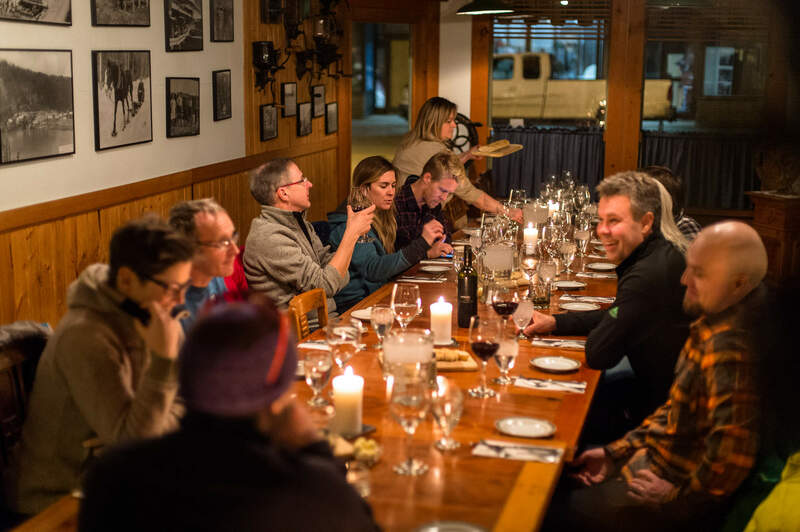 This is followed by dinner around 7 O’clock and the rest of the night’s festivities unfolds depending how energized our guests are. 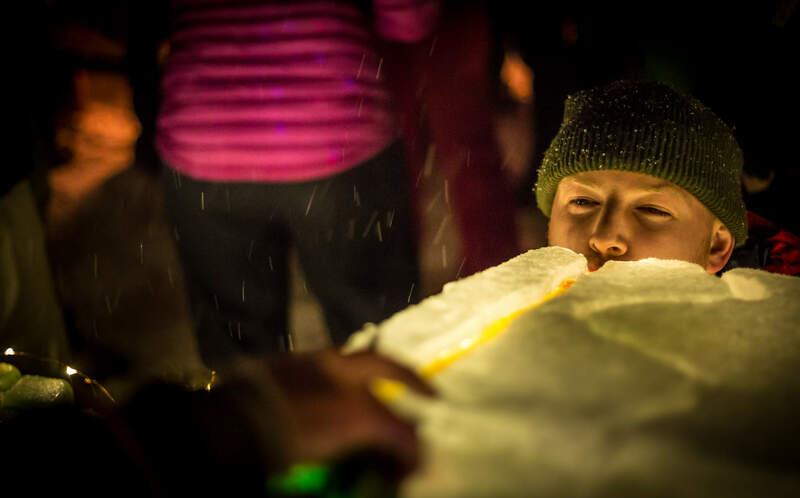 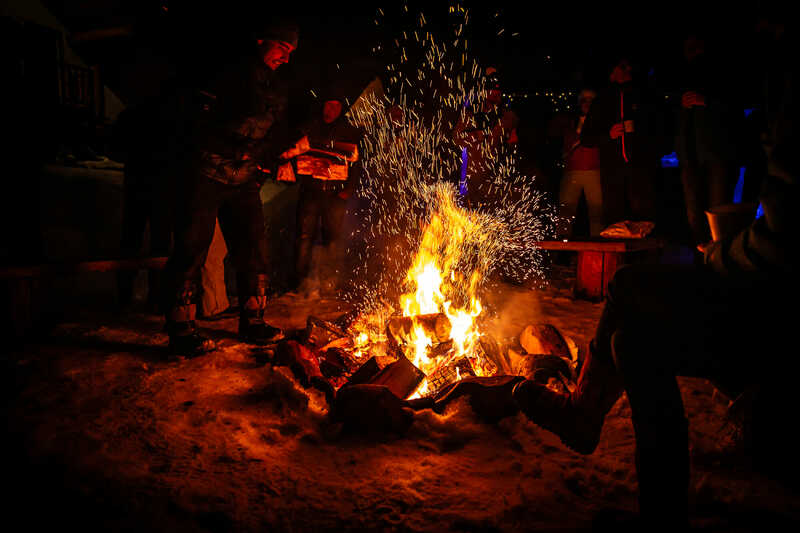 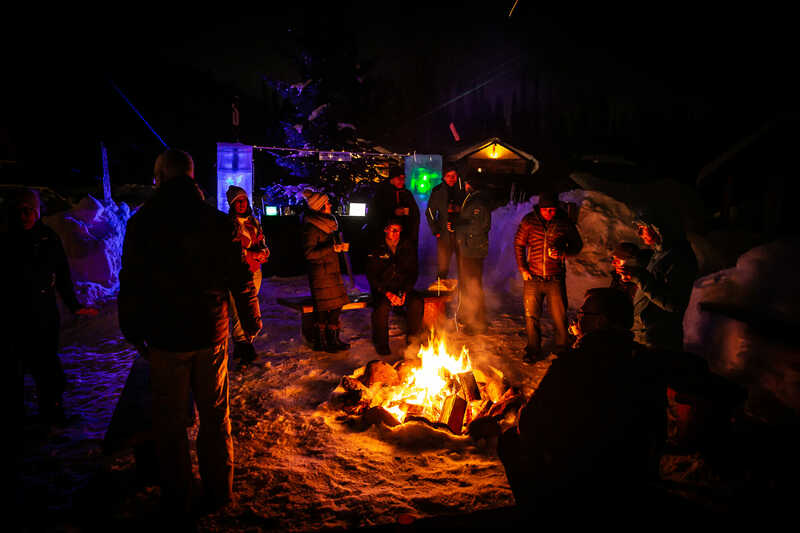 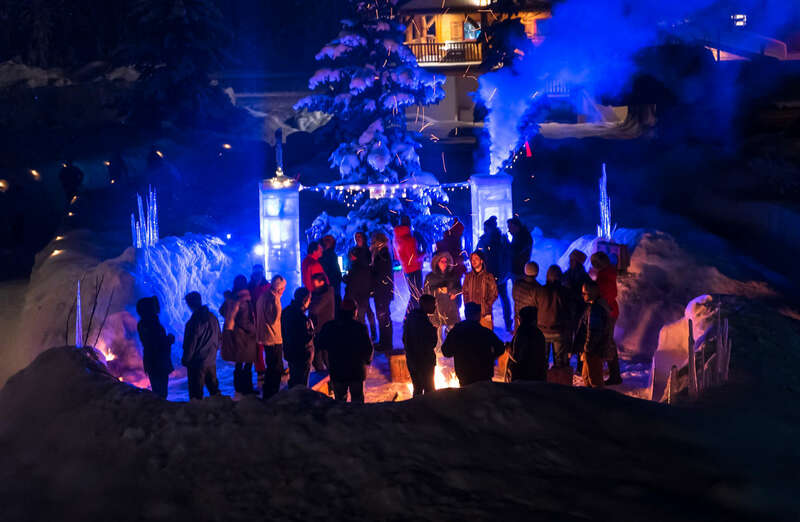 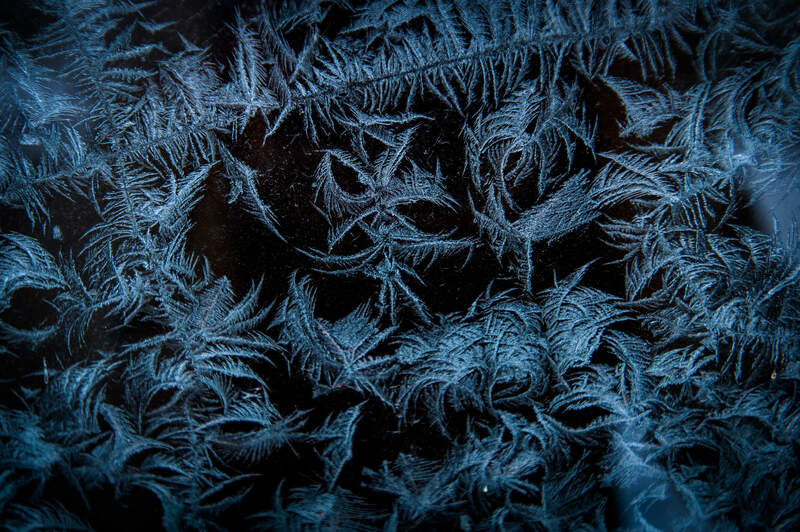 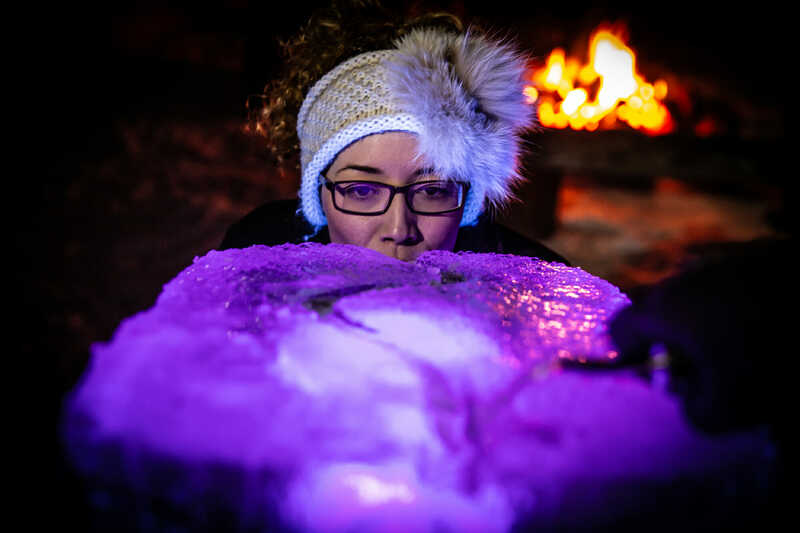 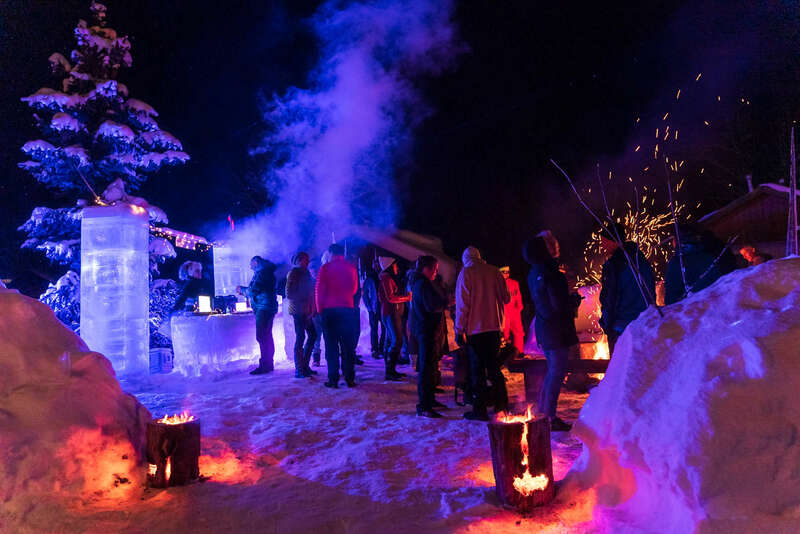 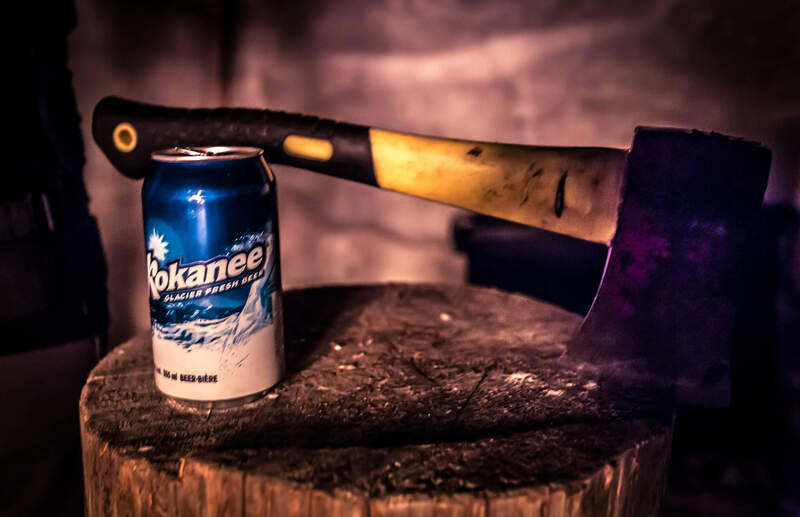 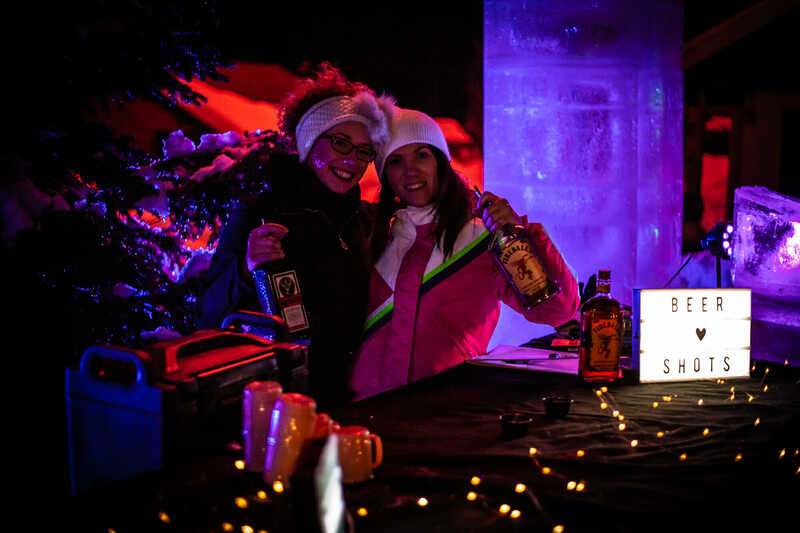 Once a week, we generally have a small bonfire and serve drinks at the Bell 2 Ice Bar. 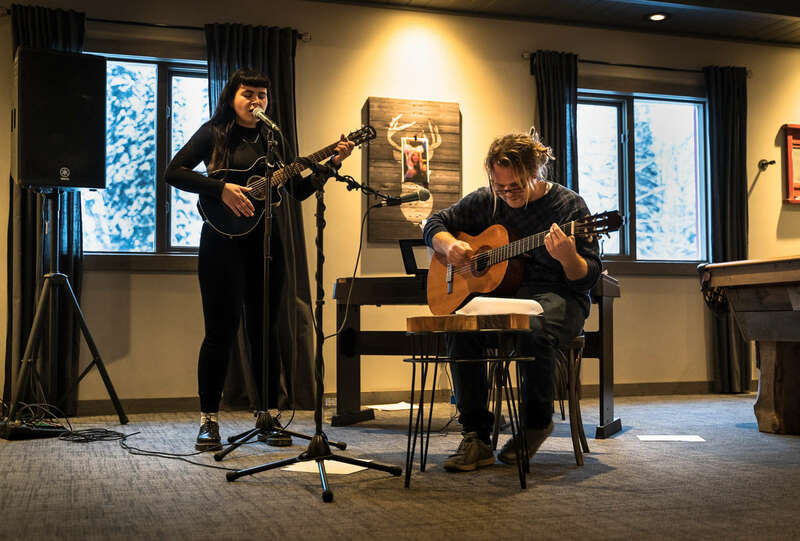 We’ve even got some live music programming happening occasionally too. 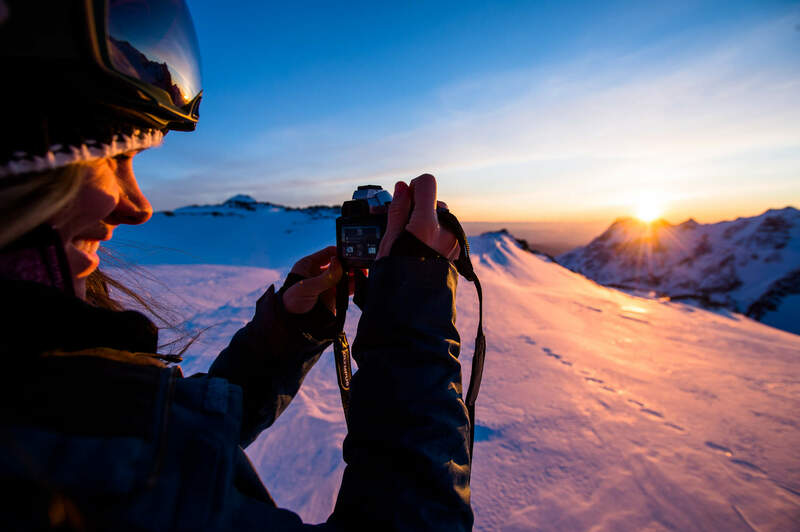 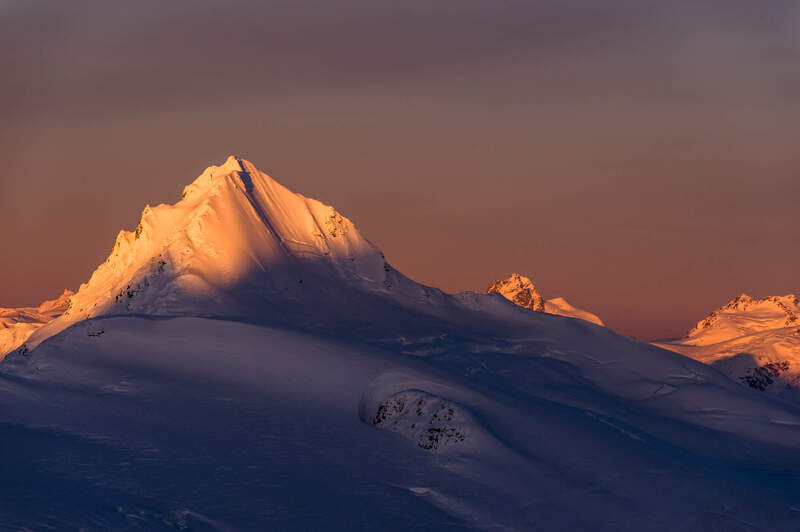 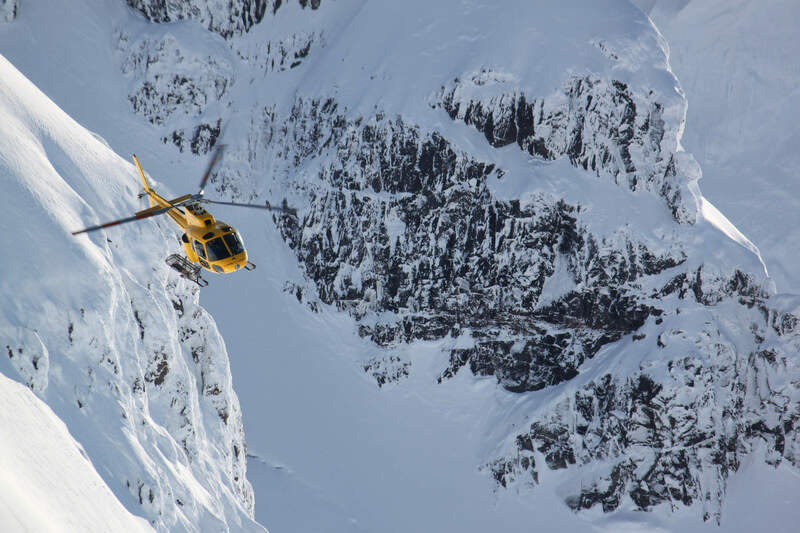 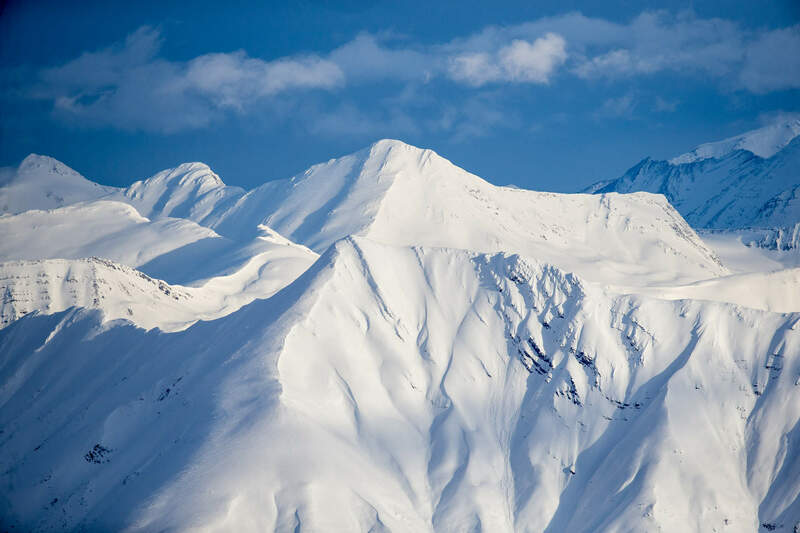 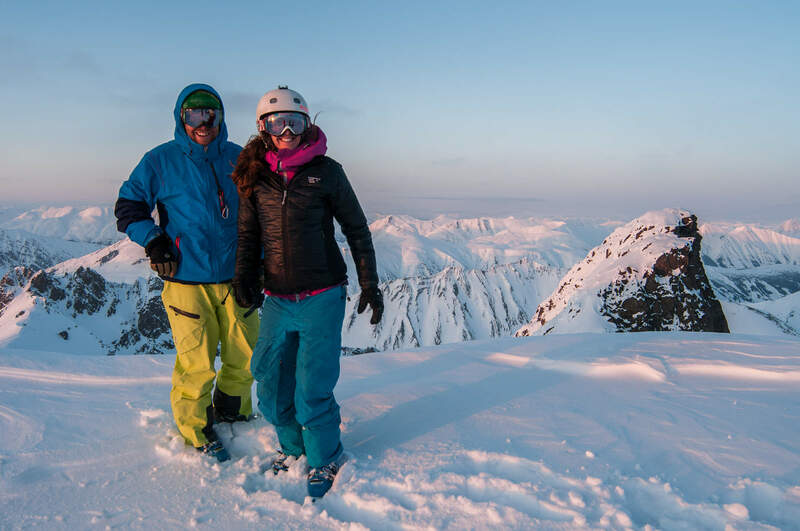 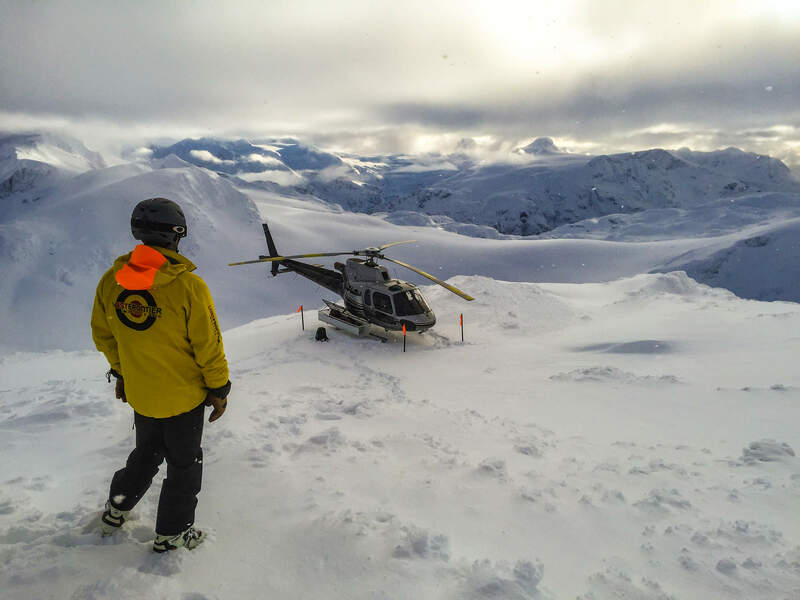 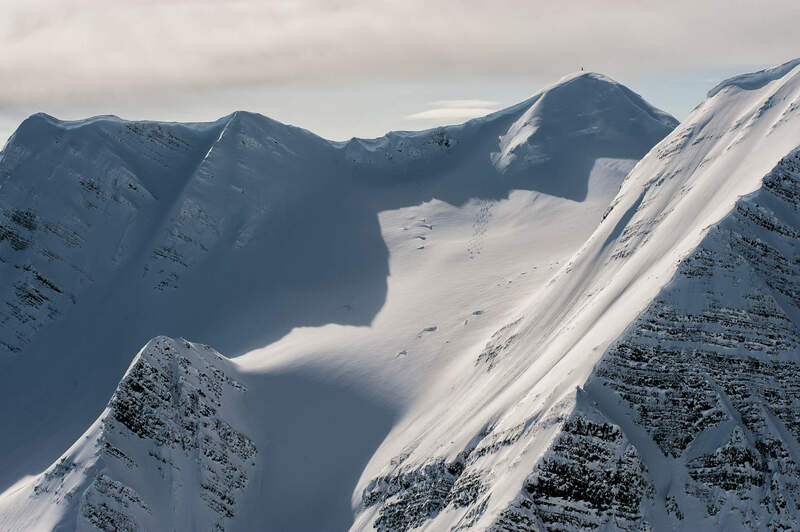 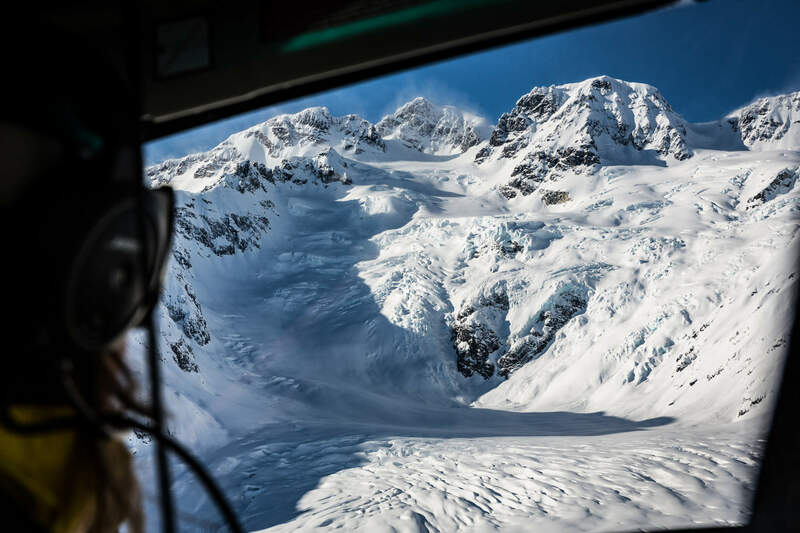 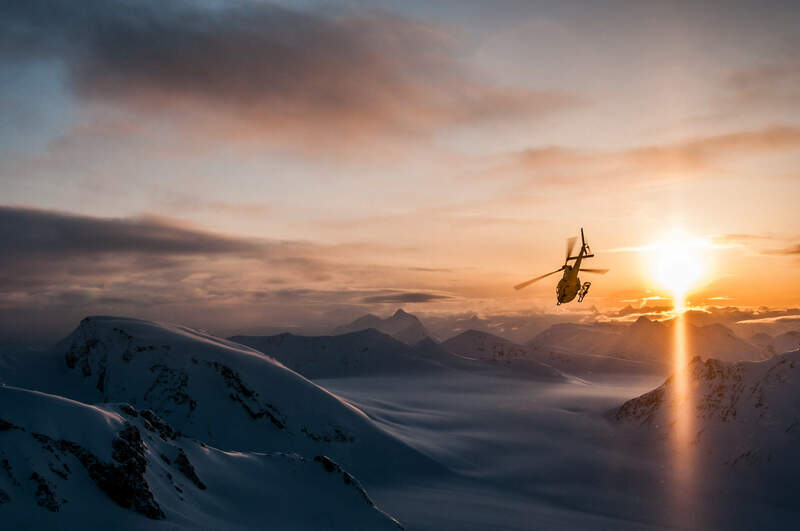 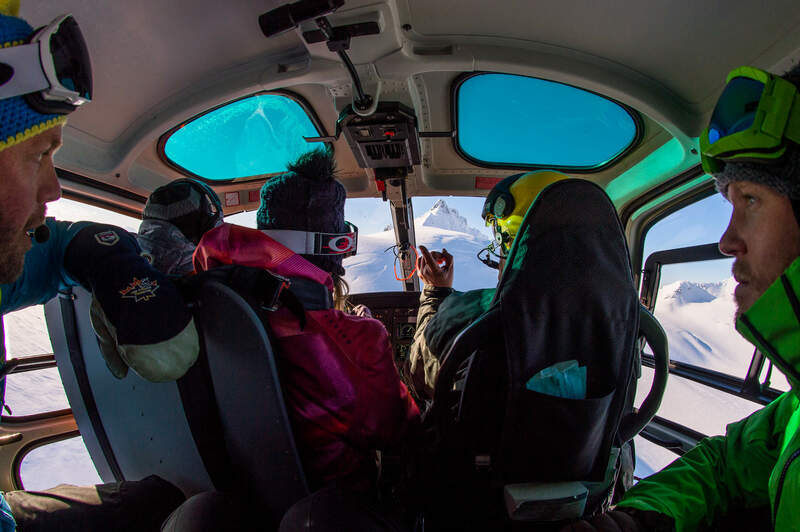 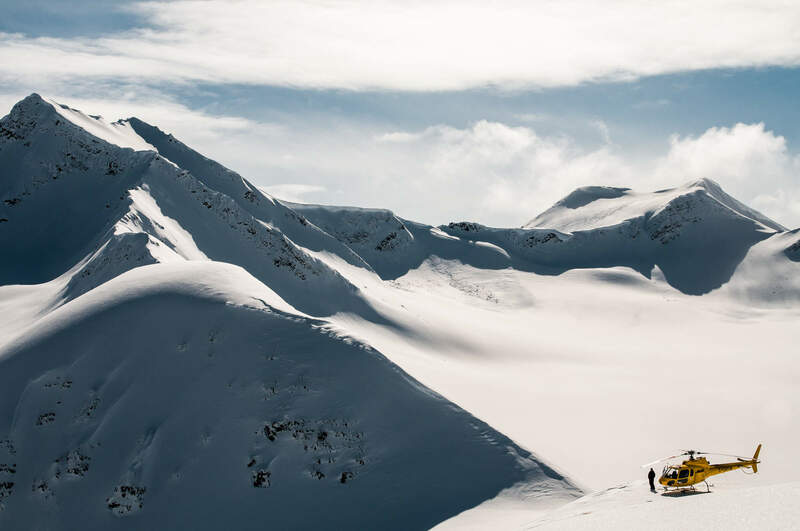 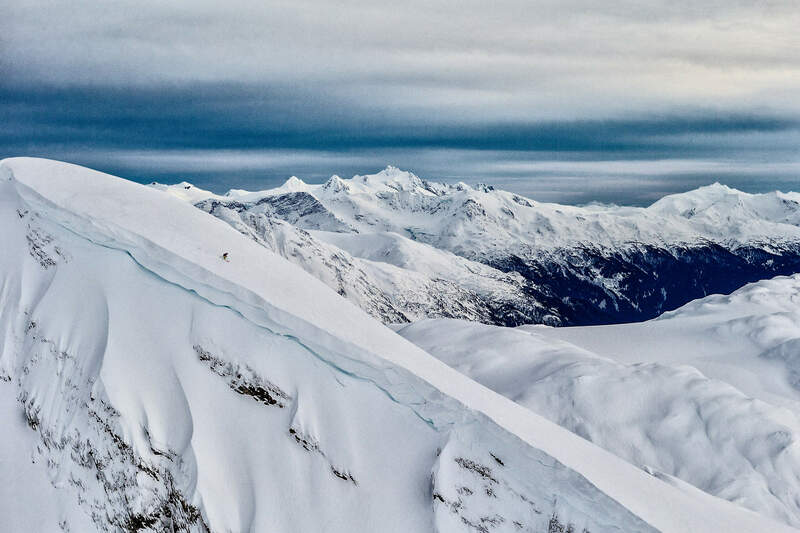 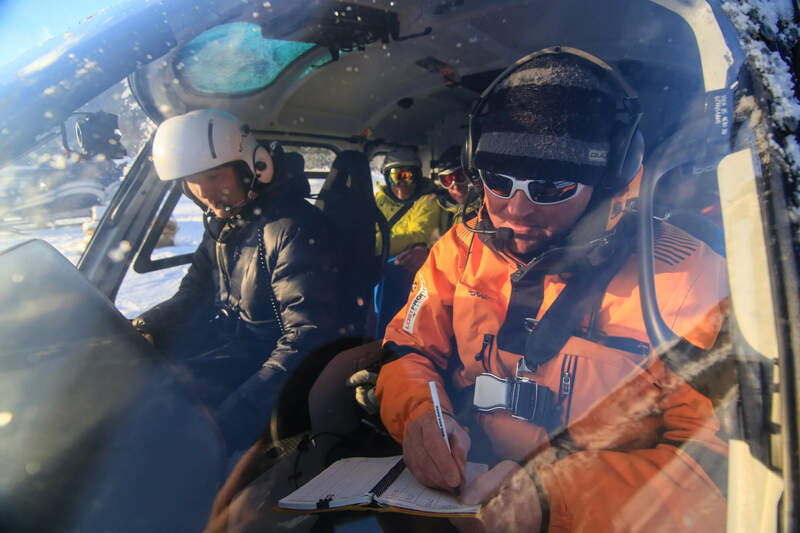 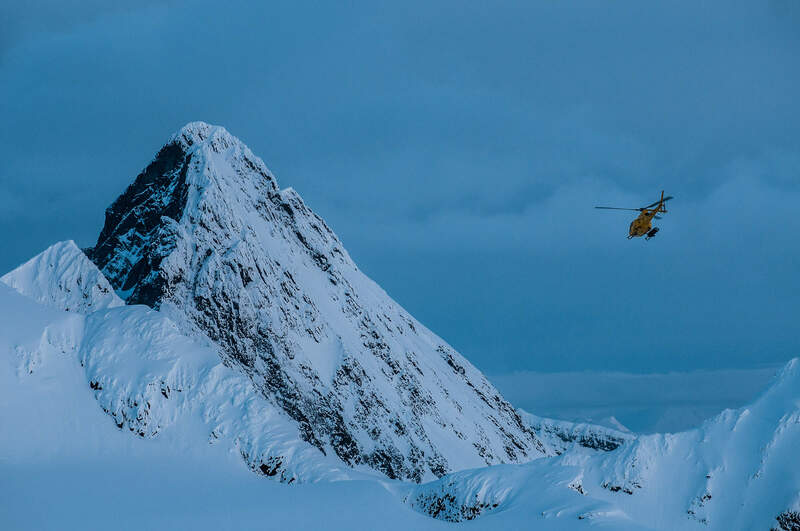 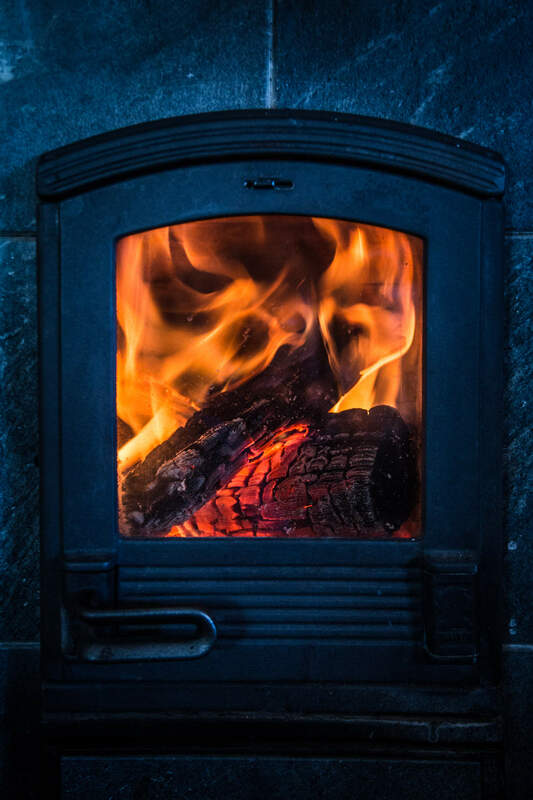 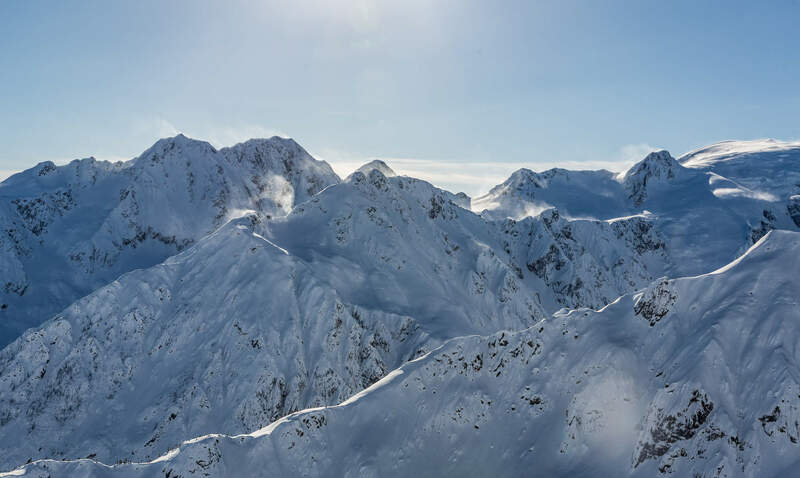 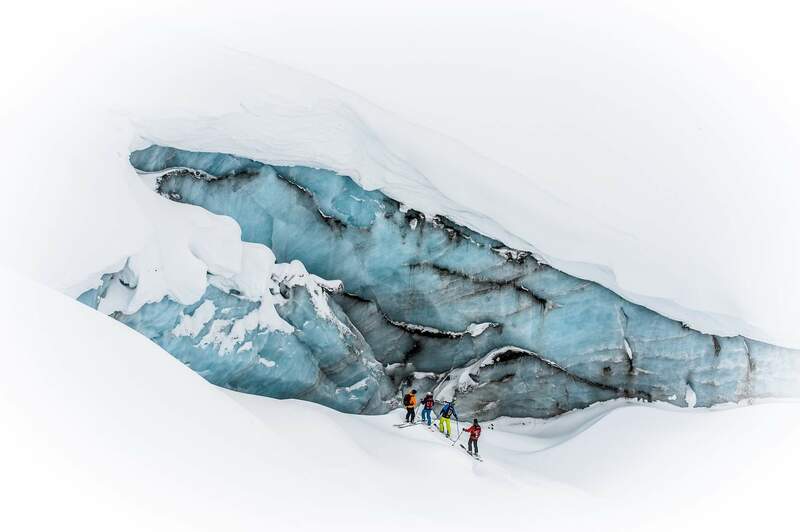 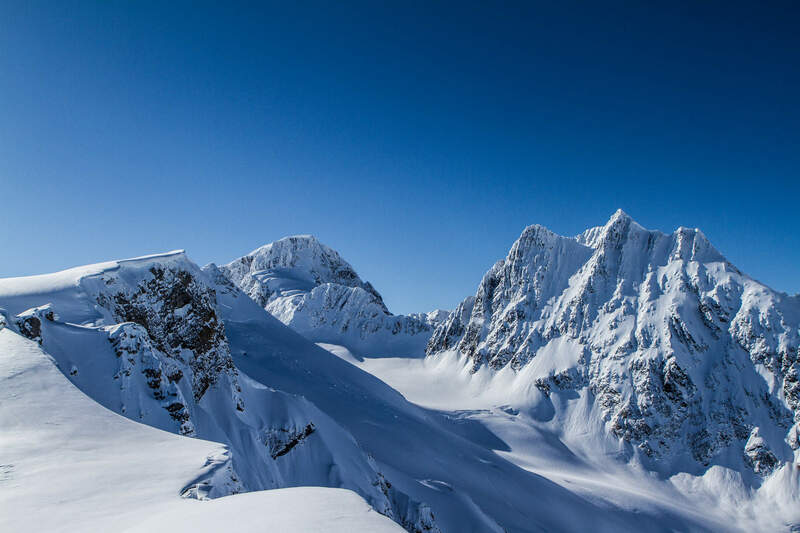 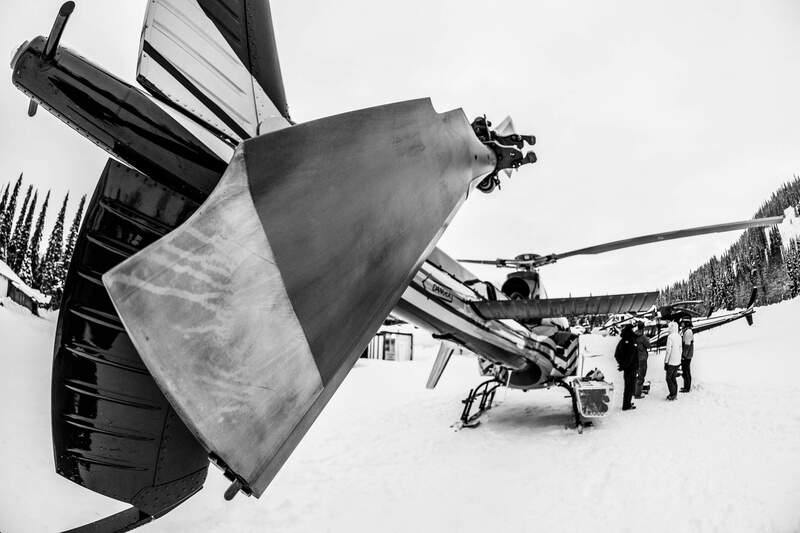 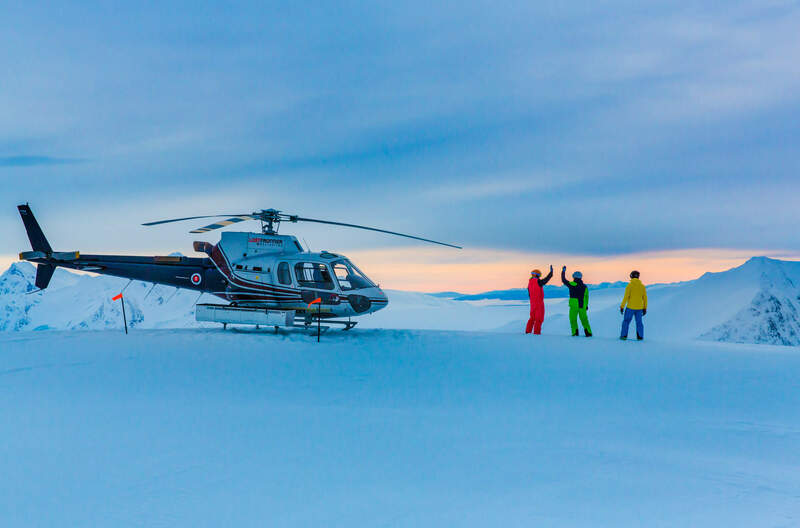 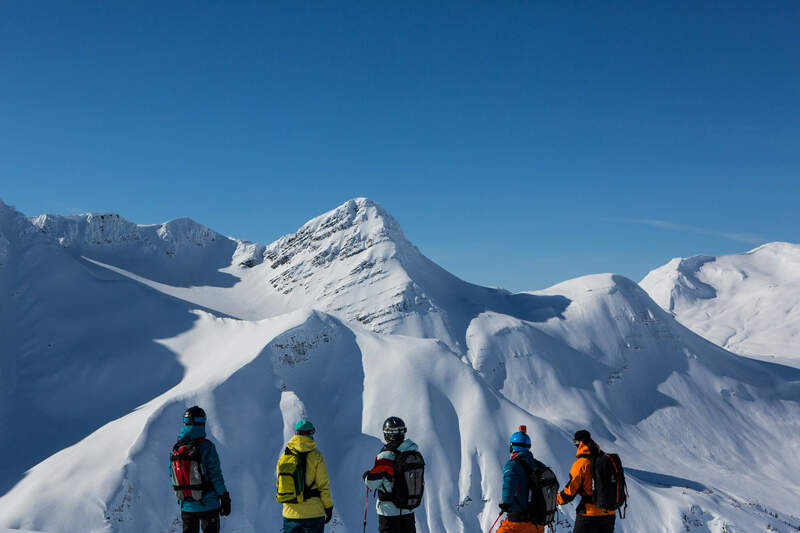 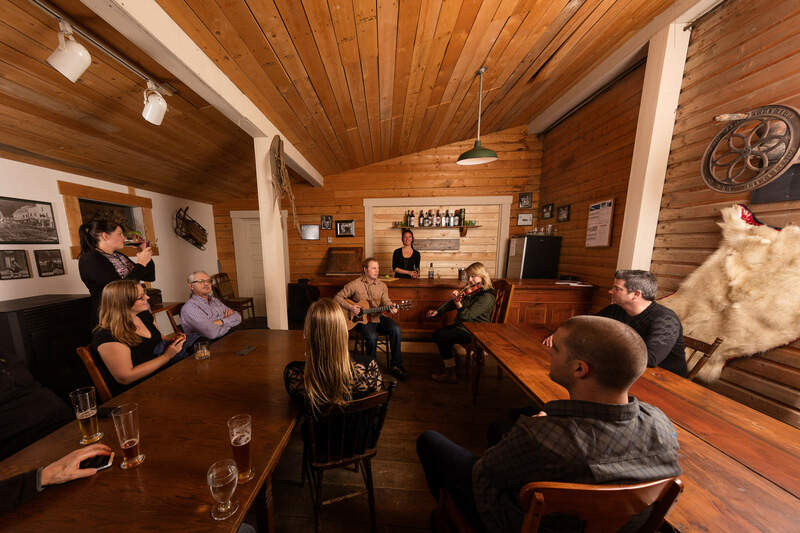 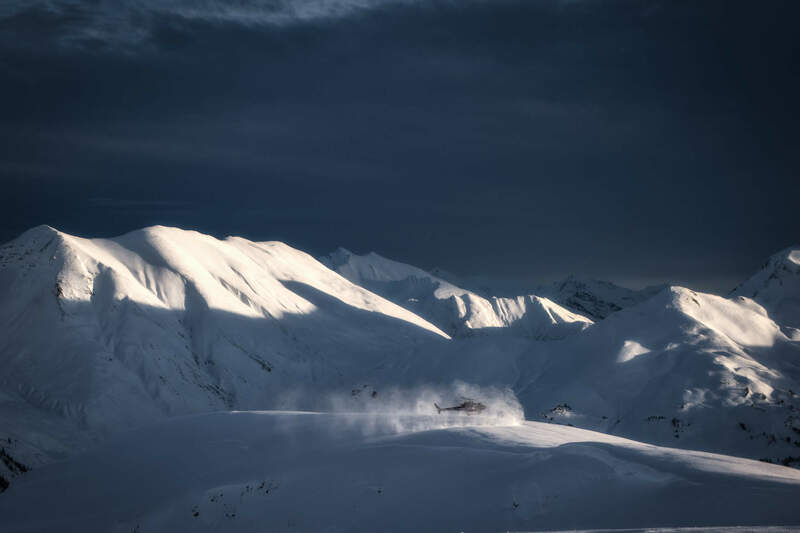 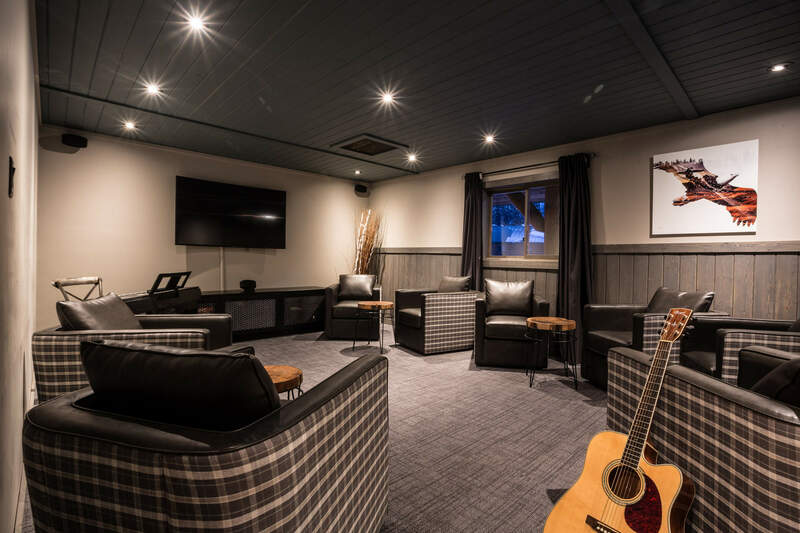 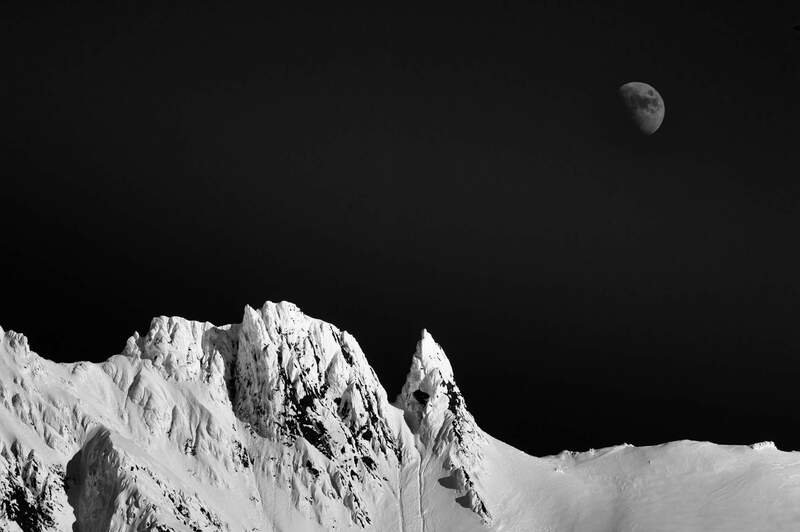 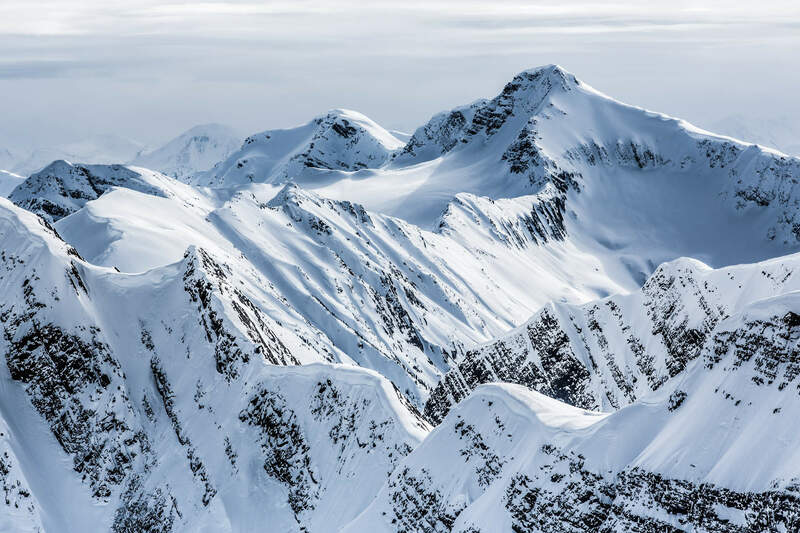 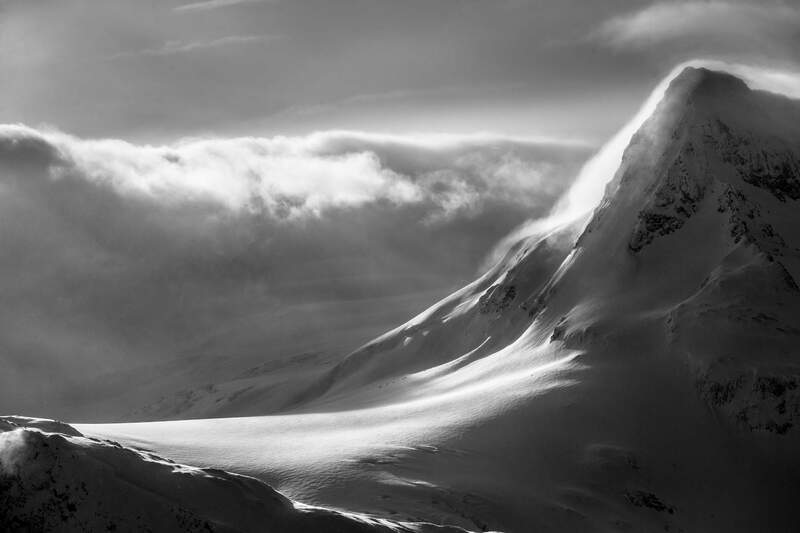 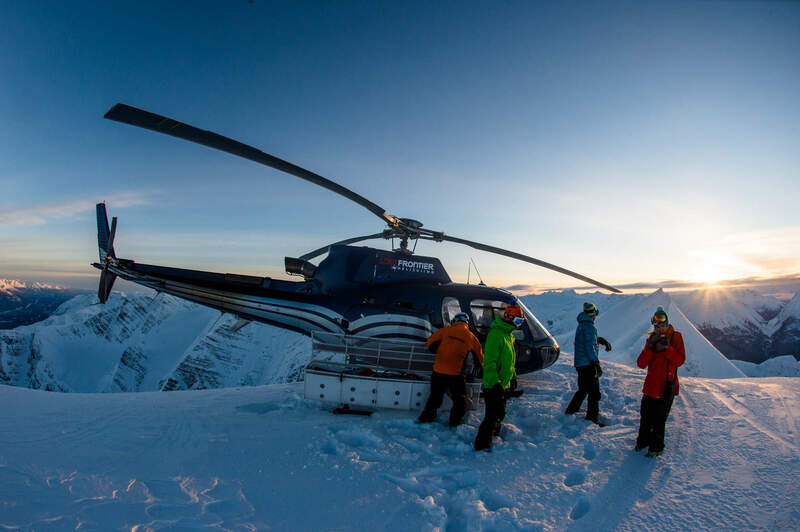 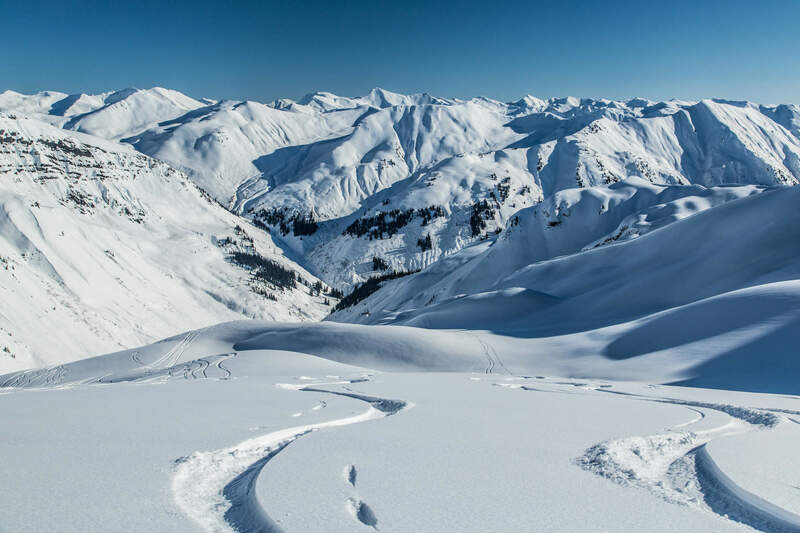 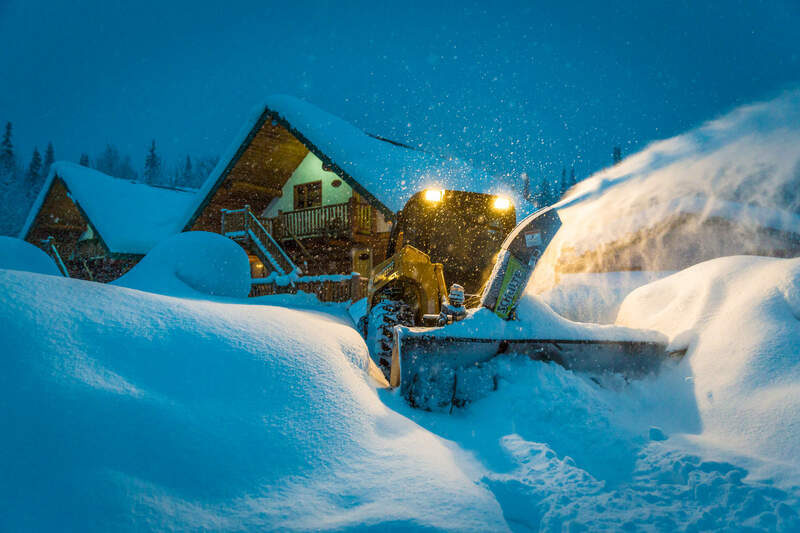 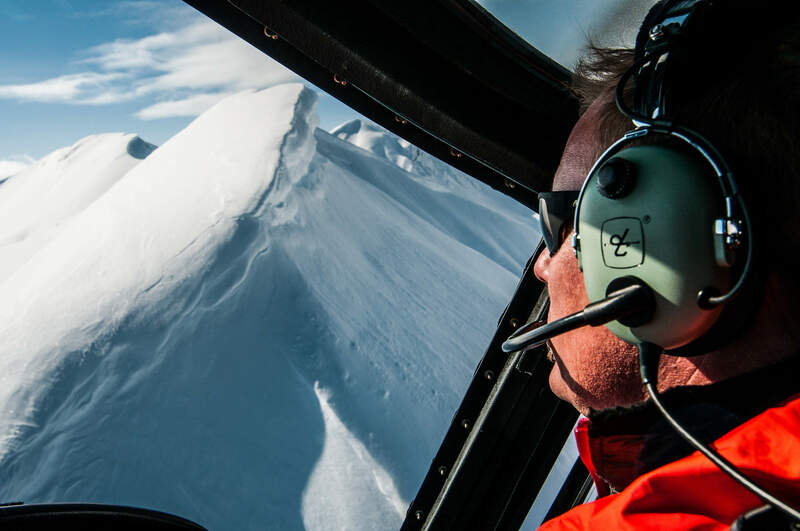 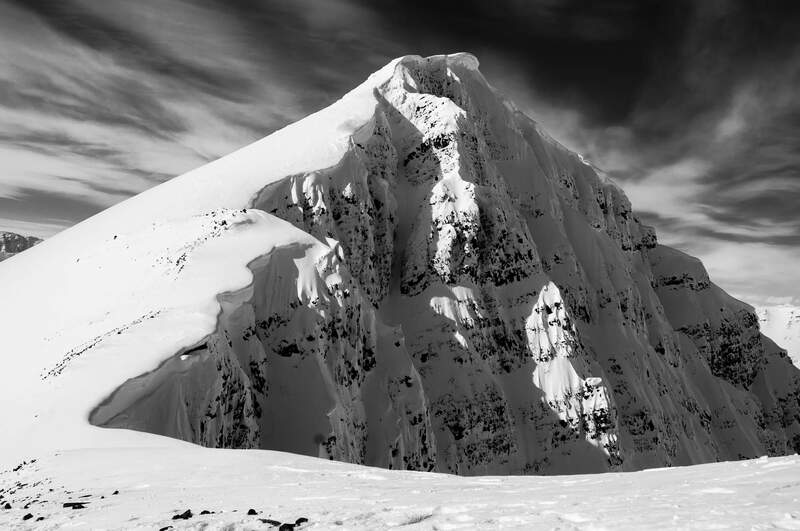 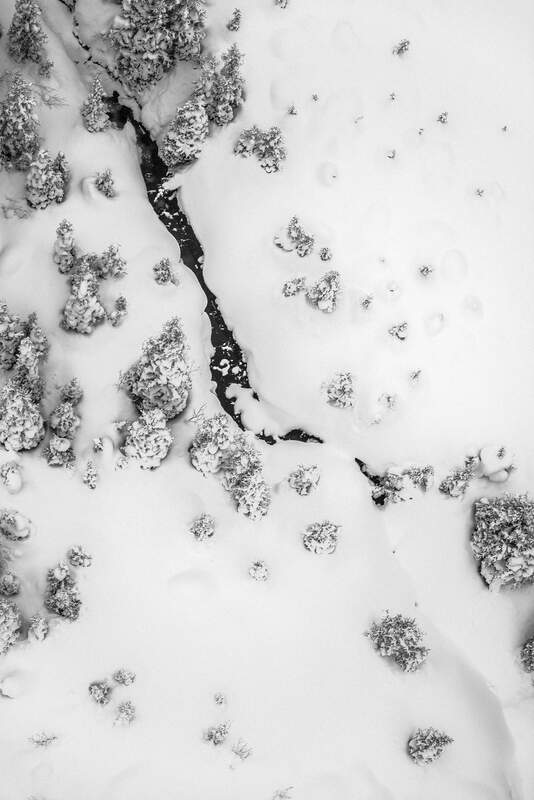 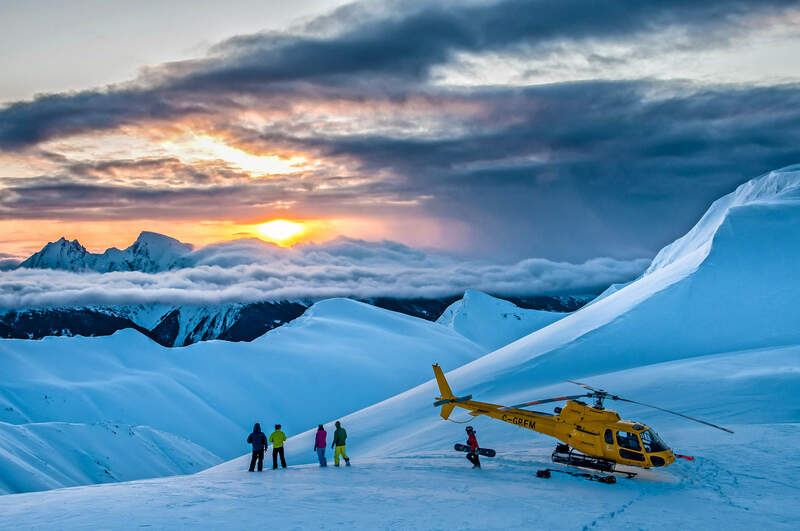 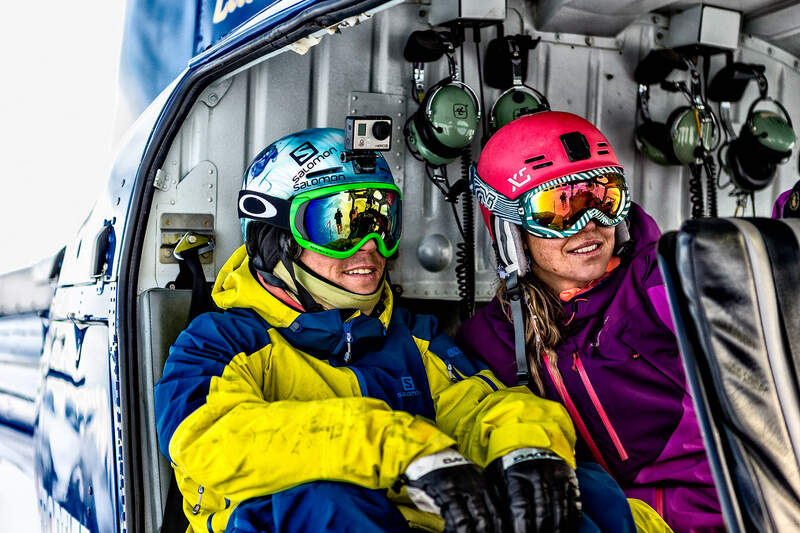 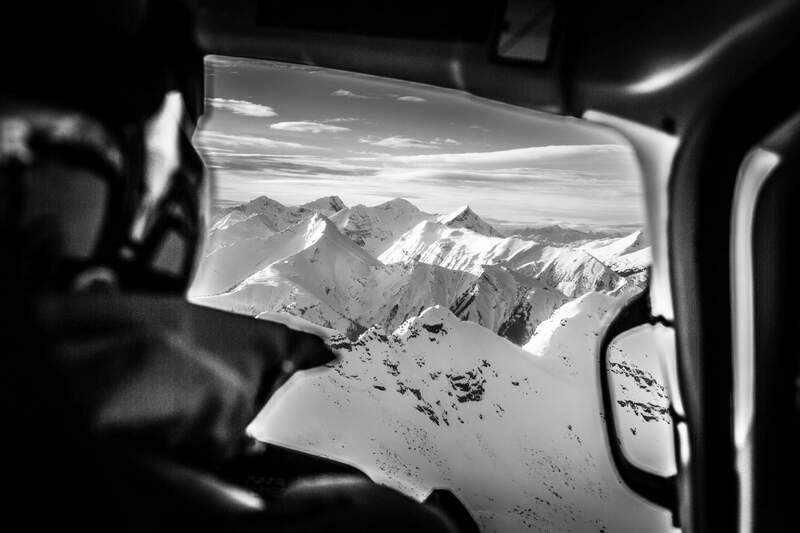 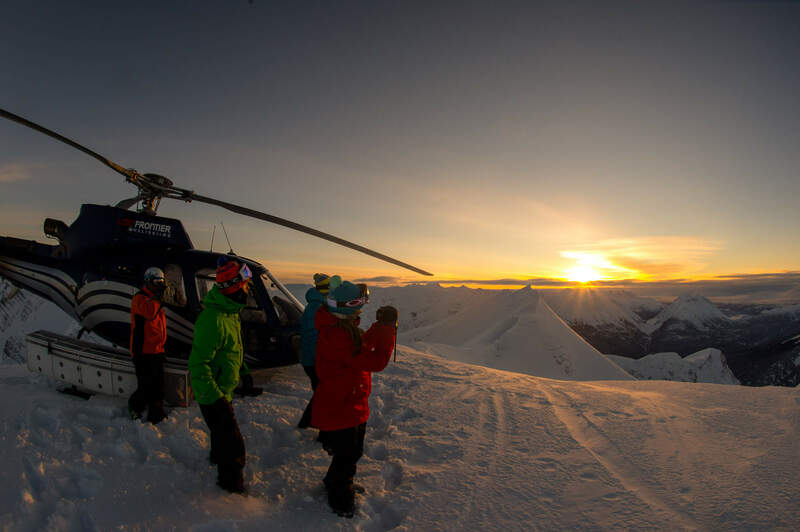 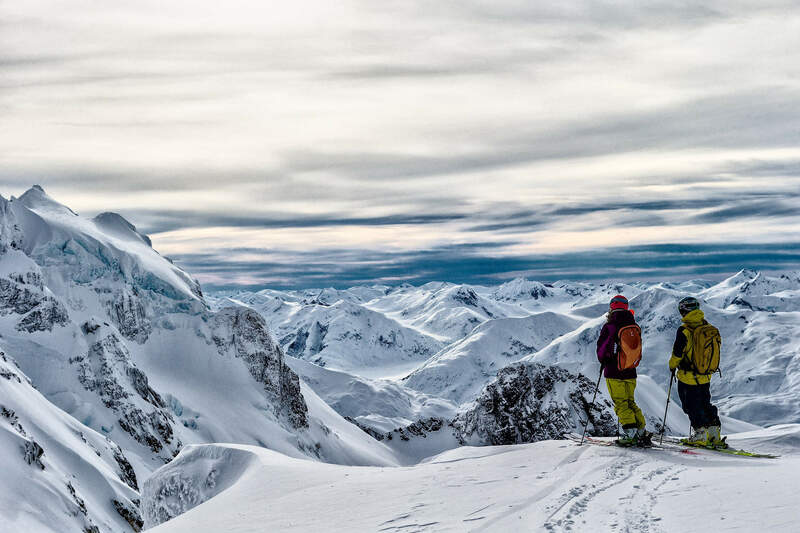 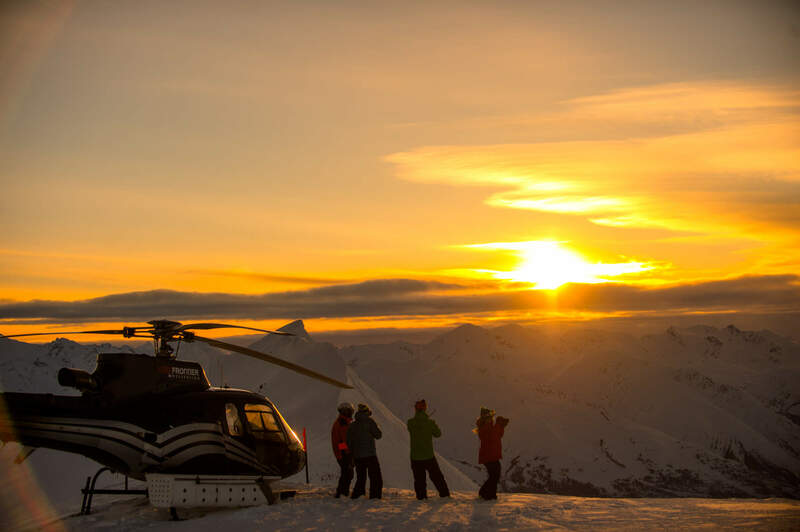 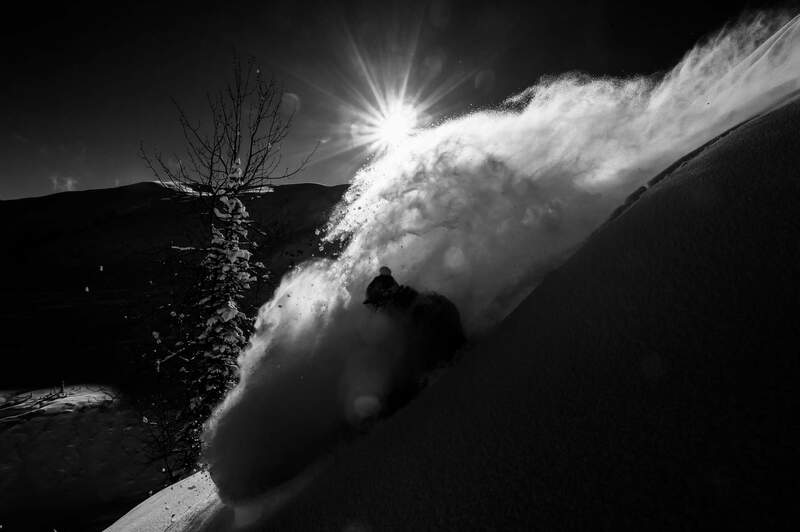 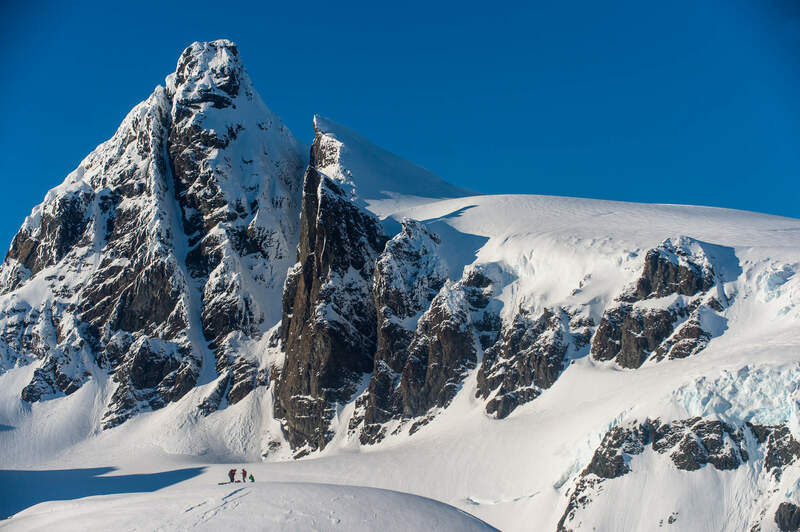 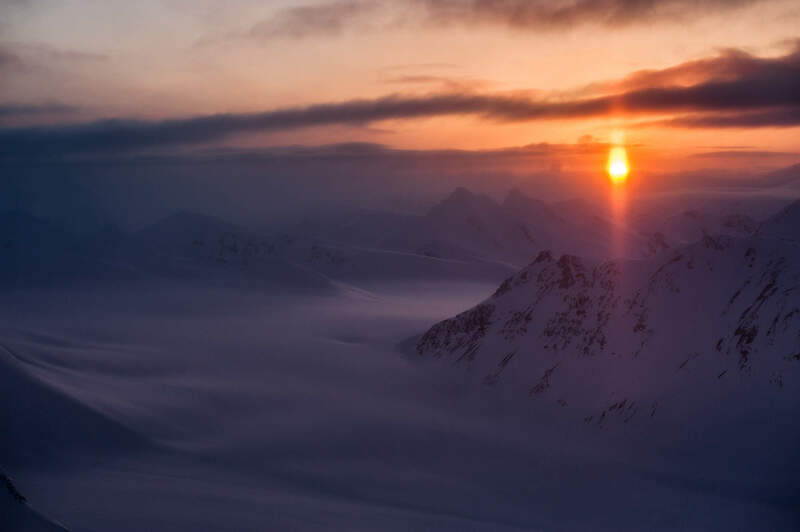 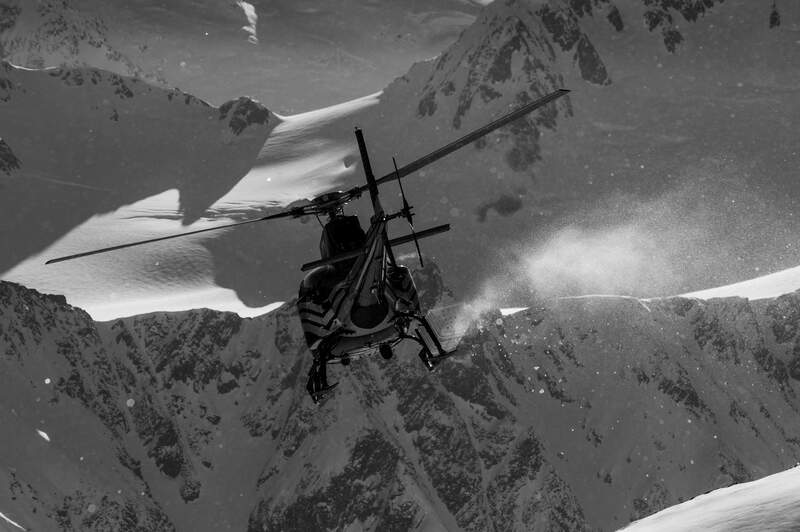 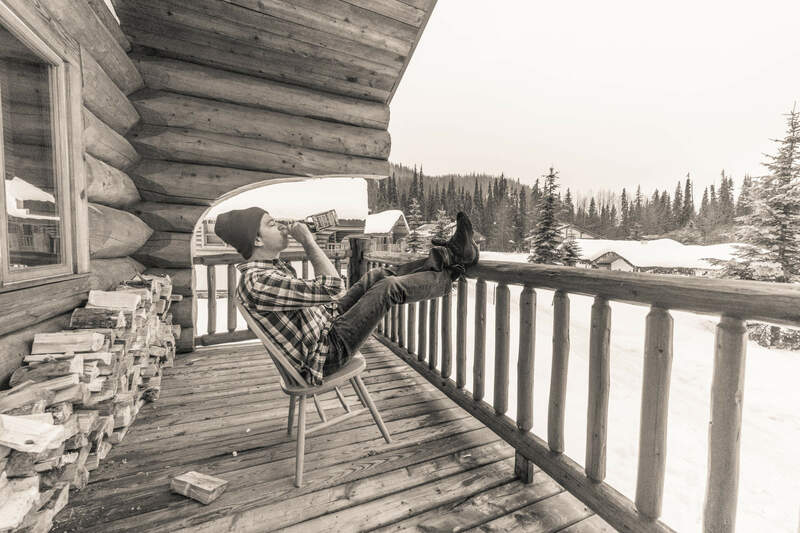 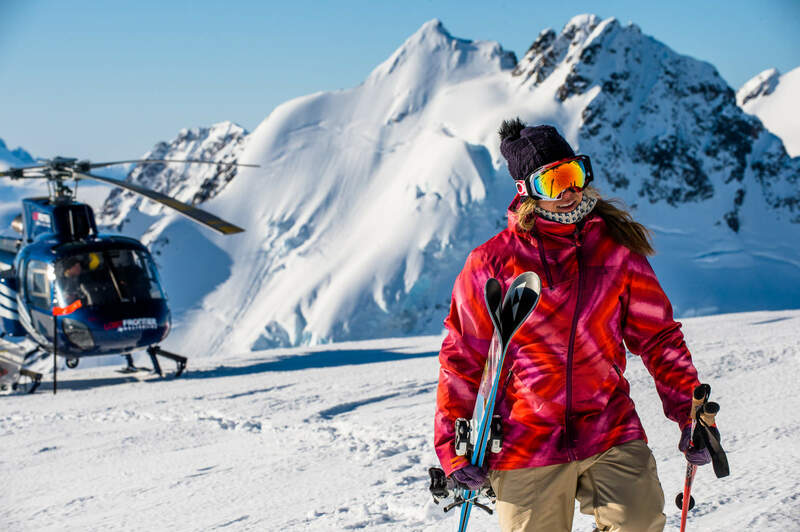 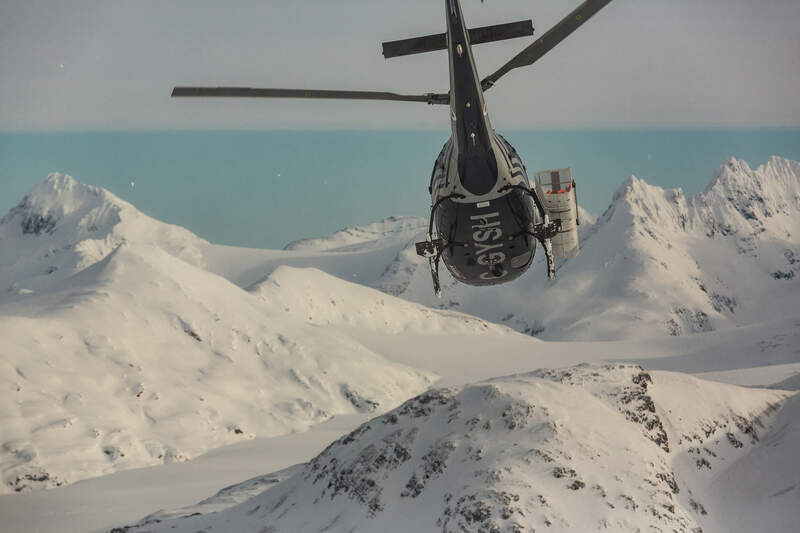 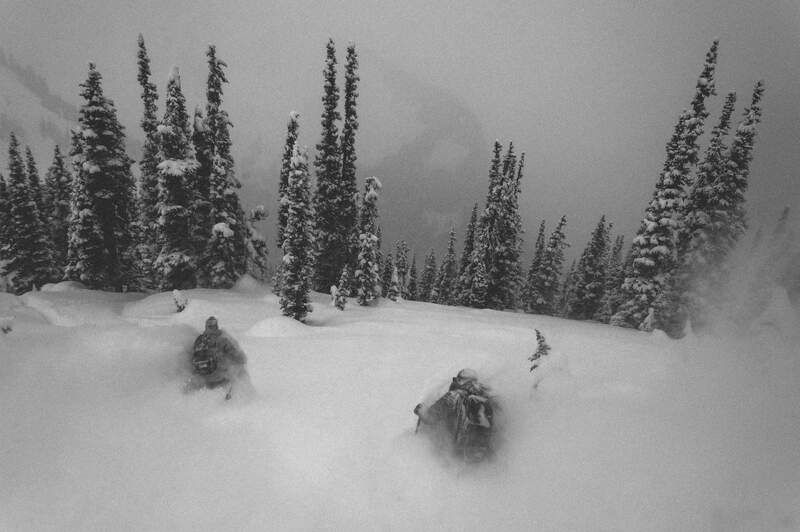 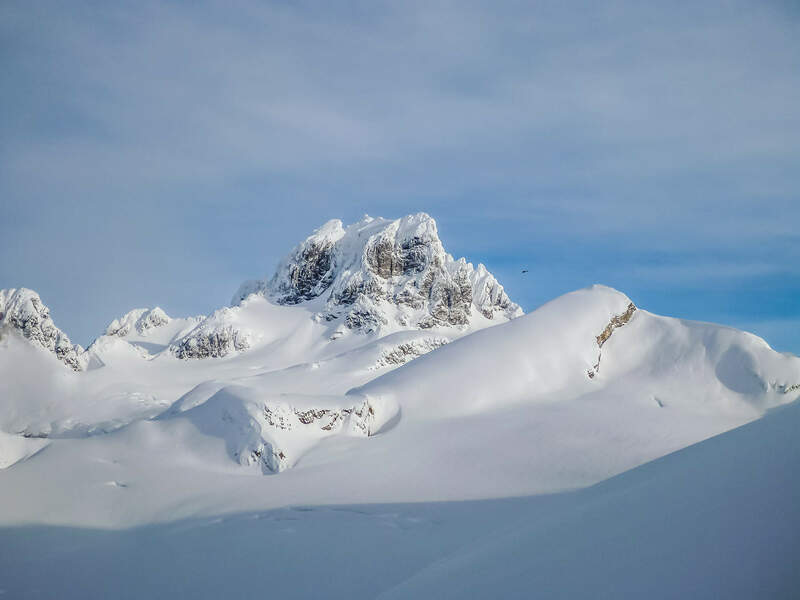 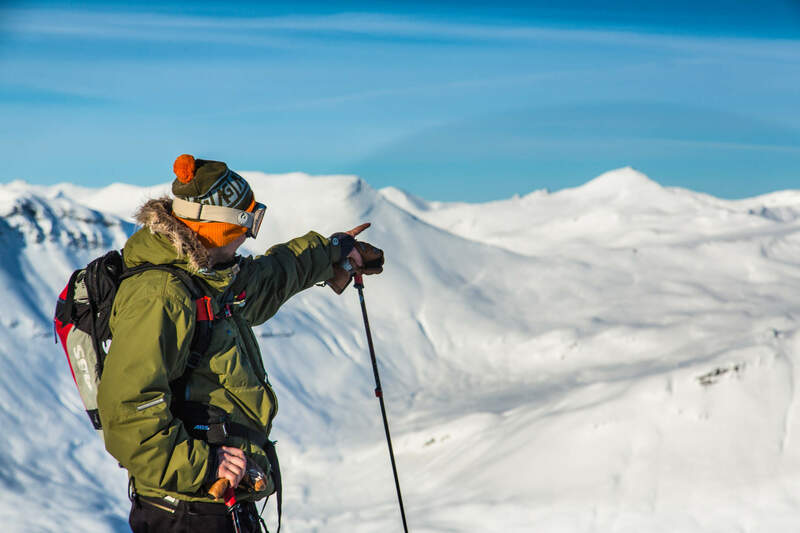 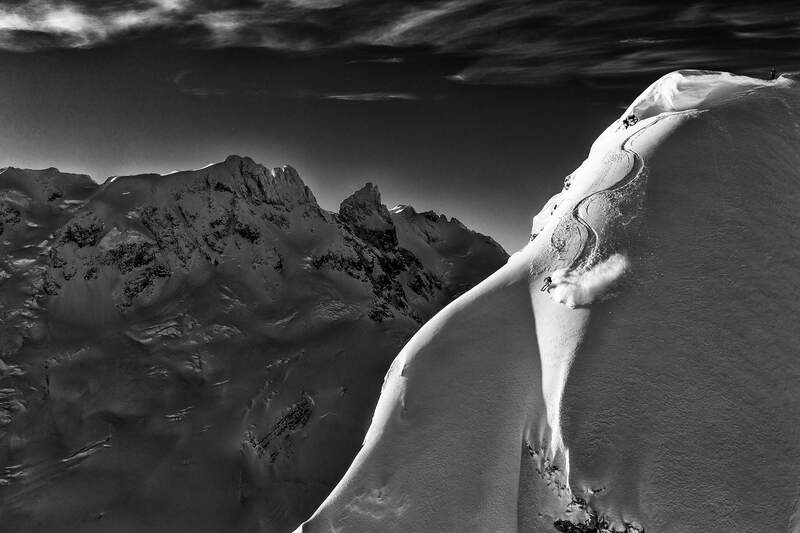 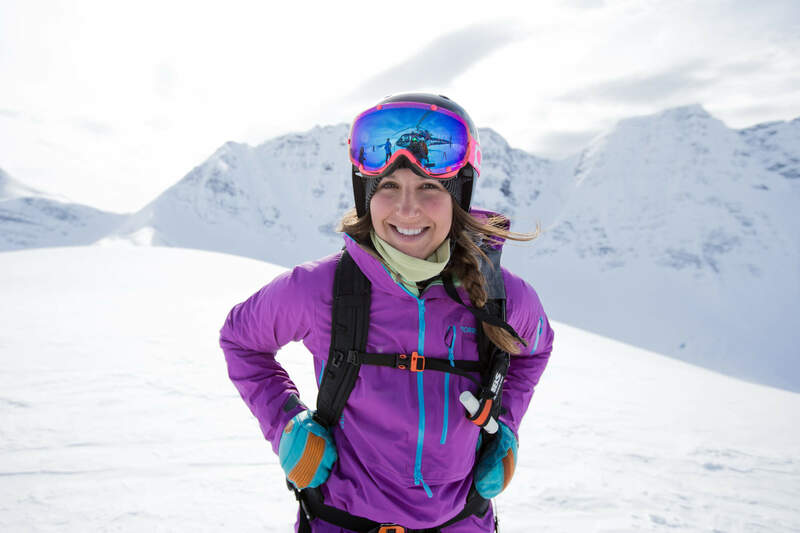 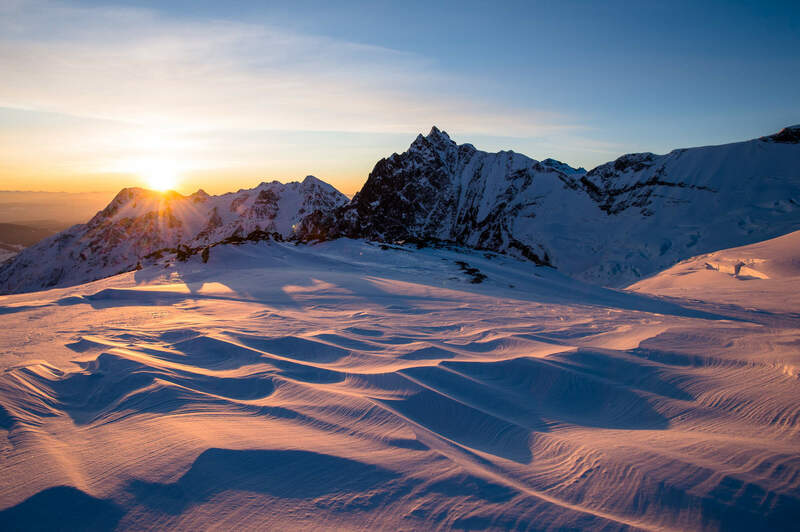 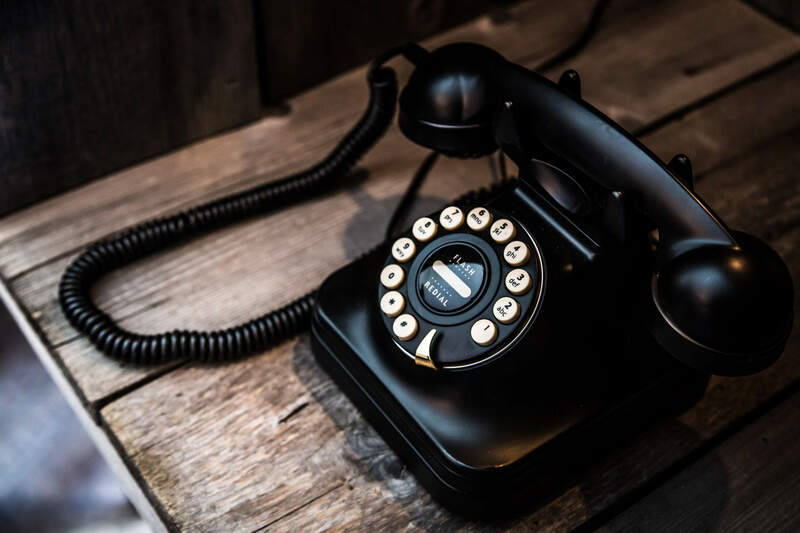 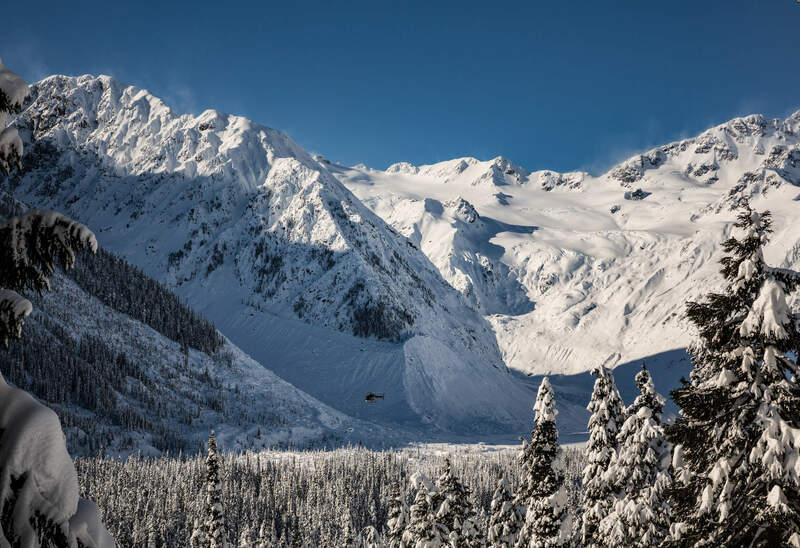 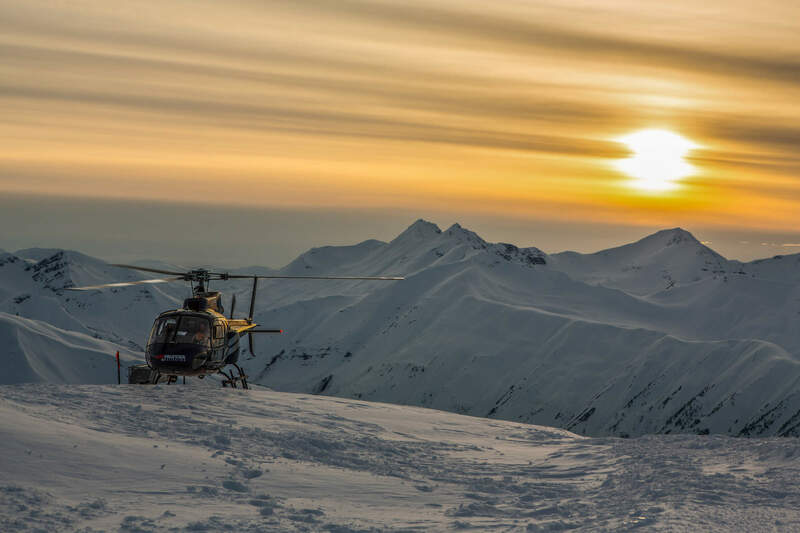 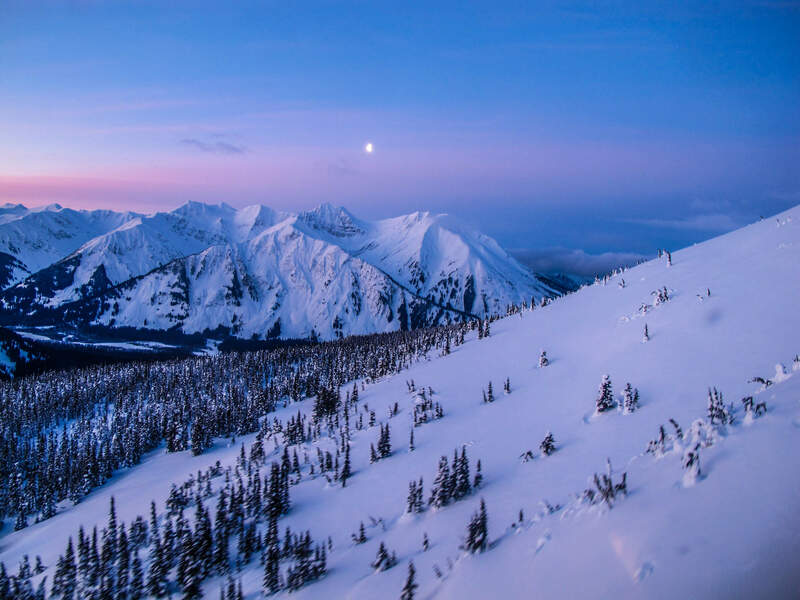 We recognize that our guests are here first and foremost for the heliski experience, but if and when they are inclined to dial up the volume we stand by to make their evenings almost as memorable. 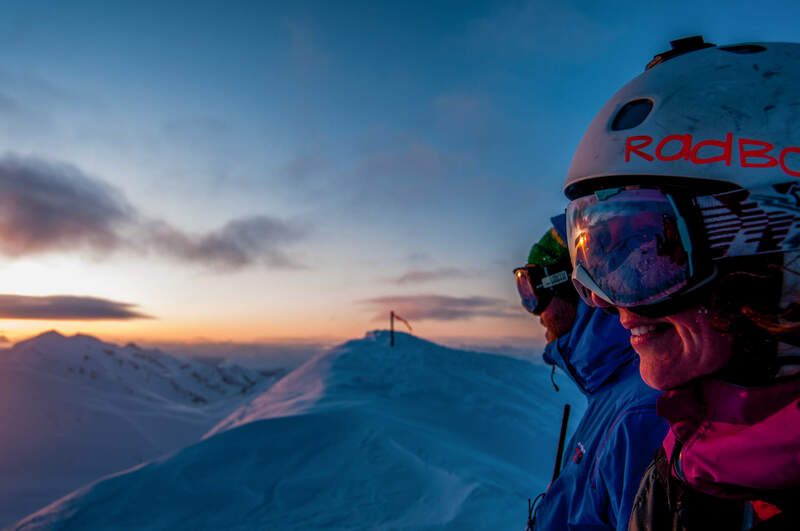 For a full day timeline, visit our daily program section.